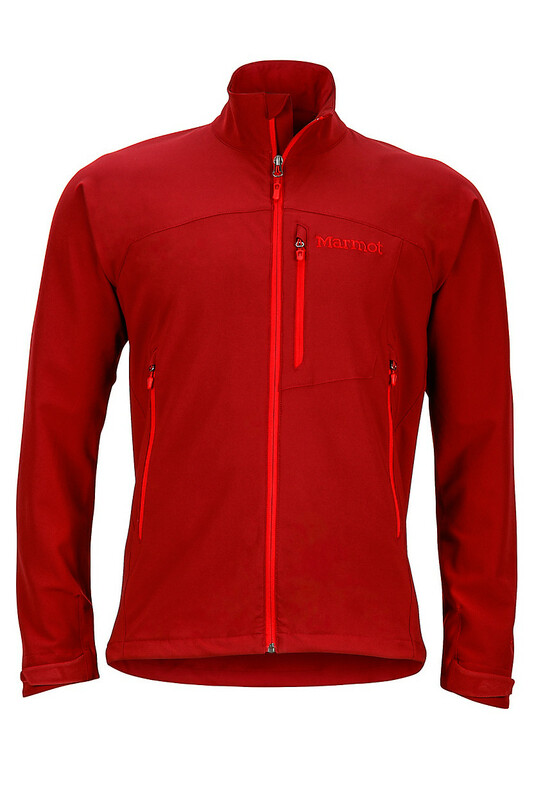 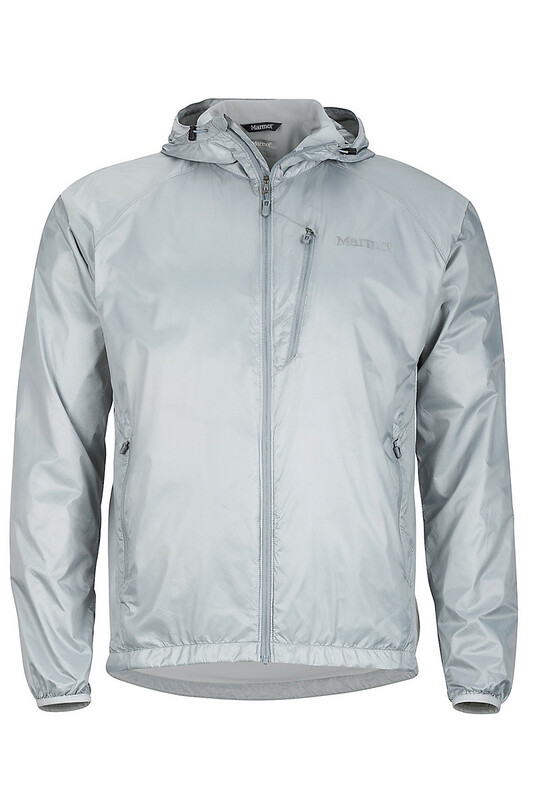 Miniscule in your pack, the lightweight Speed Light Jacket provides heavy duty, three-layer GORE-TEX® protection. 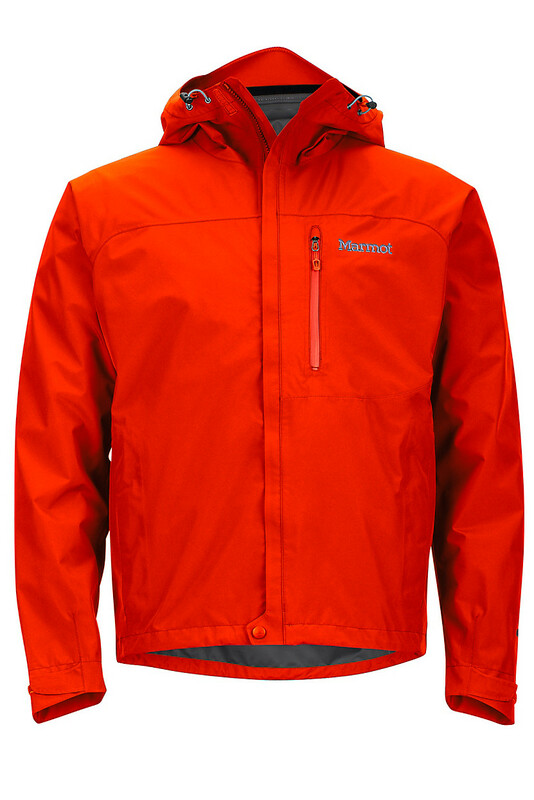 The robust shell is completely seam taped and waterproof, and features Angel-Wing Movement™ for unhindered mobility. 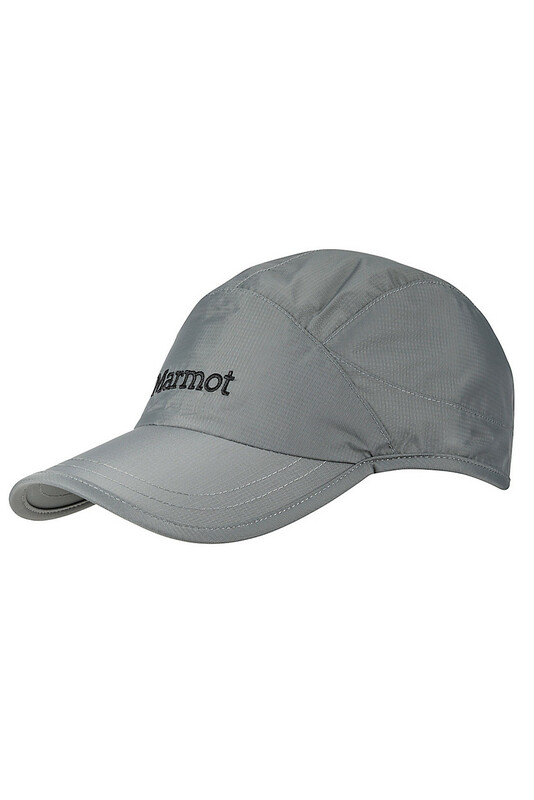 It also has our most technical laminated wire brim hood, designed for the most challenging weather environments. 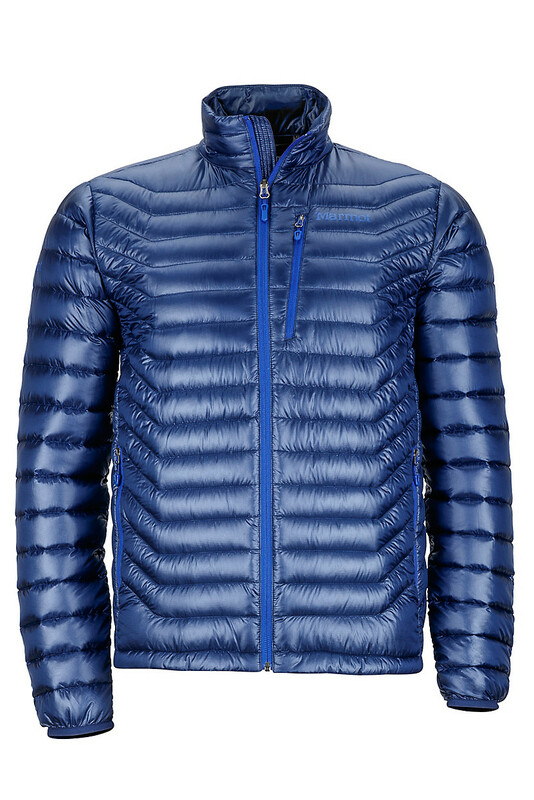 A shell built for the alpine world, the Cerro Torre Jacket utilizes the new GORE-TEX® C-Knit fabric. This fabric is more breathable and comfortable than conventional three-layer GORE-TEX®, with its soft backer that is quieter and less crunchy. 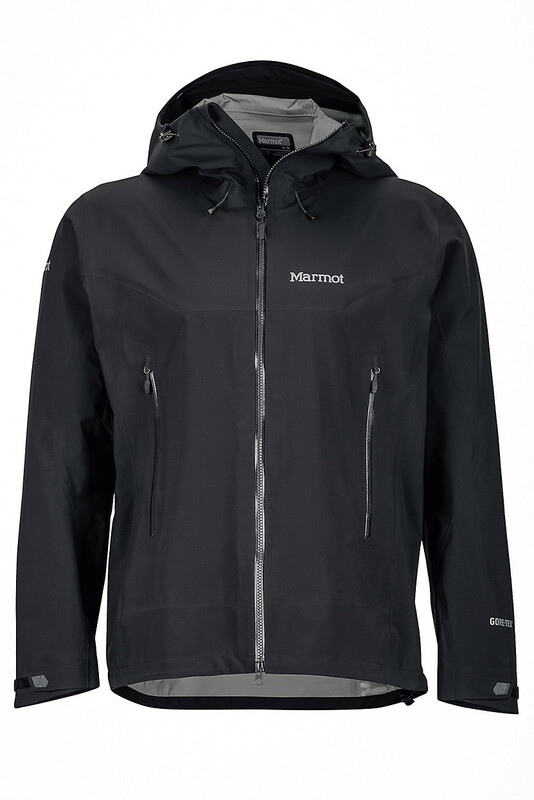 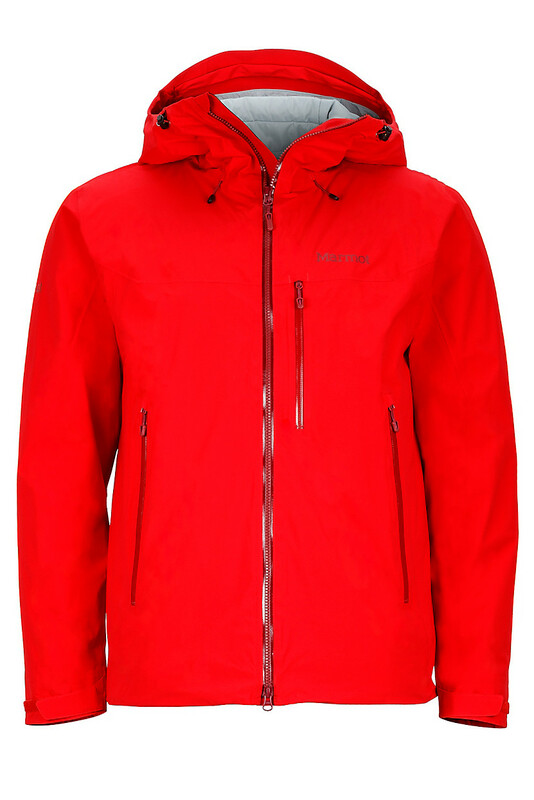 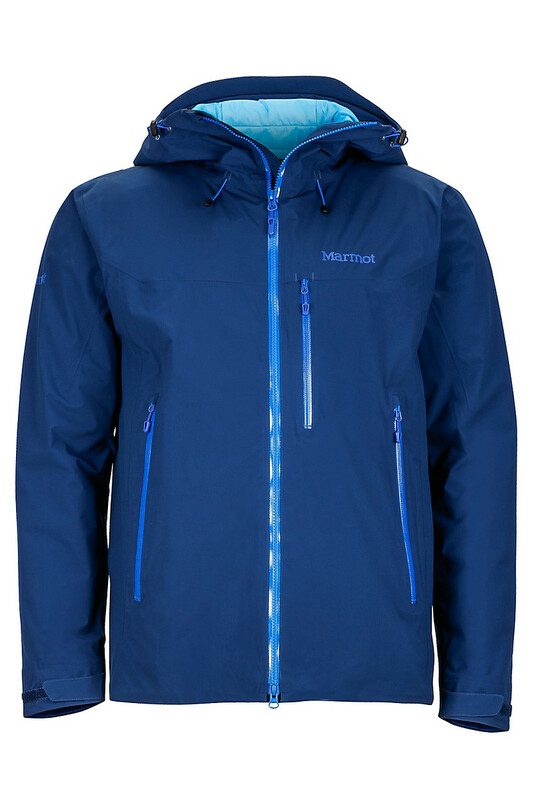 A technical silhouette, state-of-the-art fabric and stack of indispensible features make this jacket a top-rate contender for tackling mountain terrain. 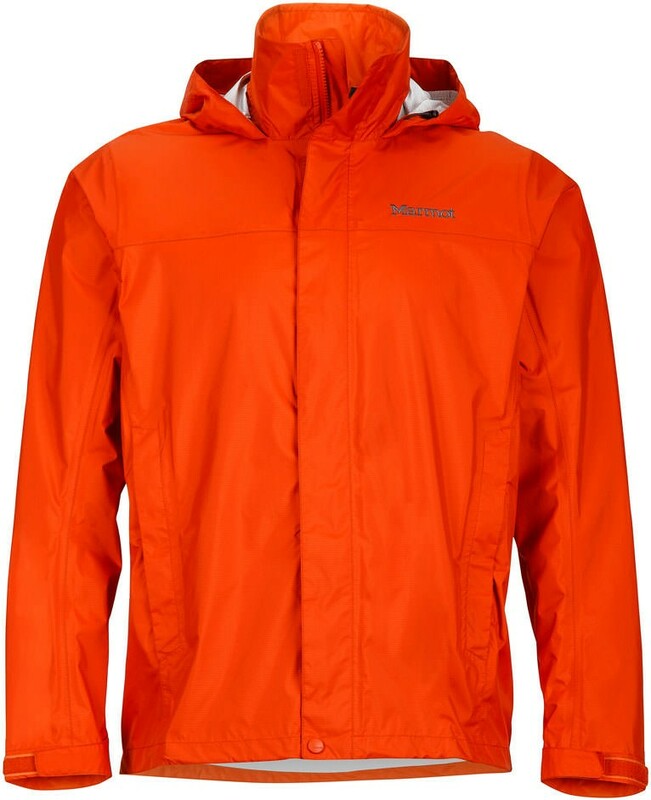 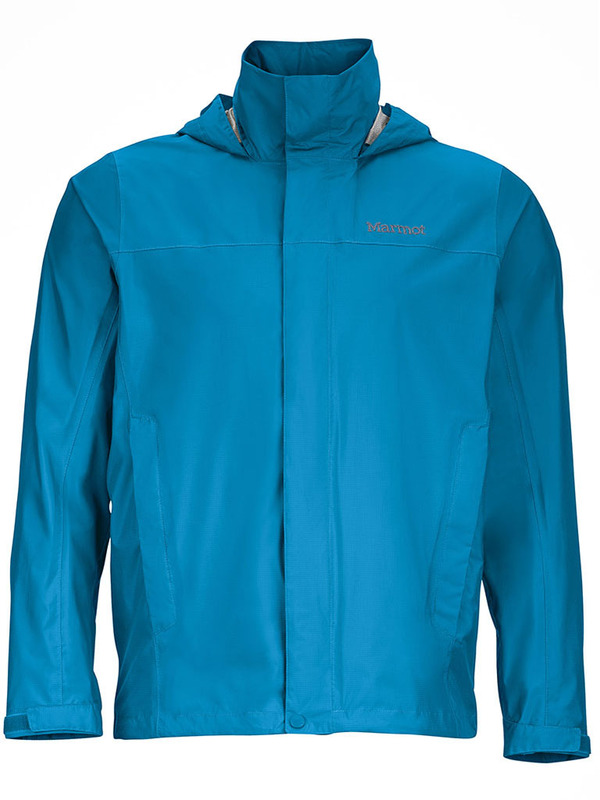 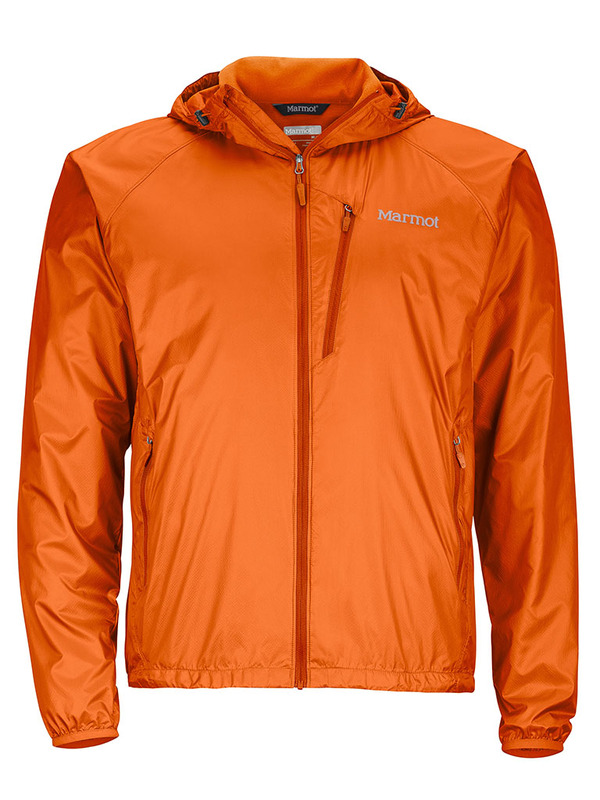 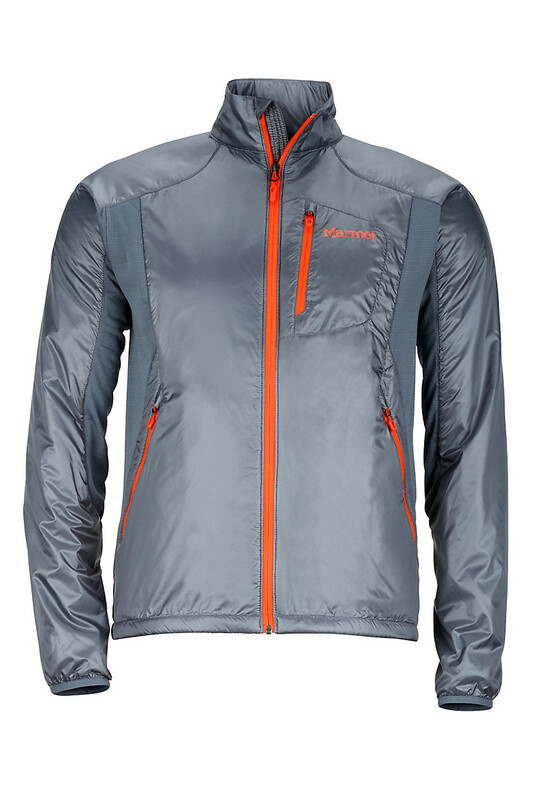 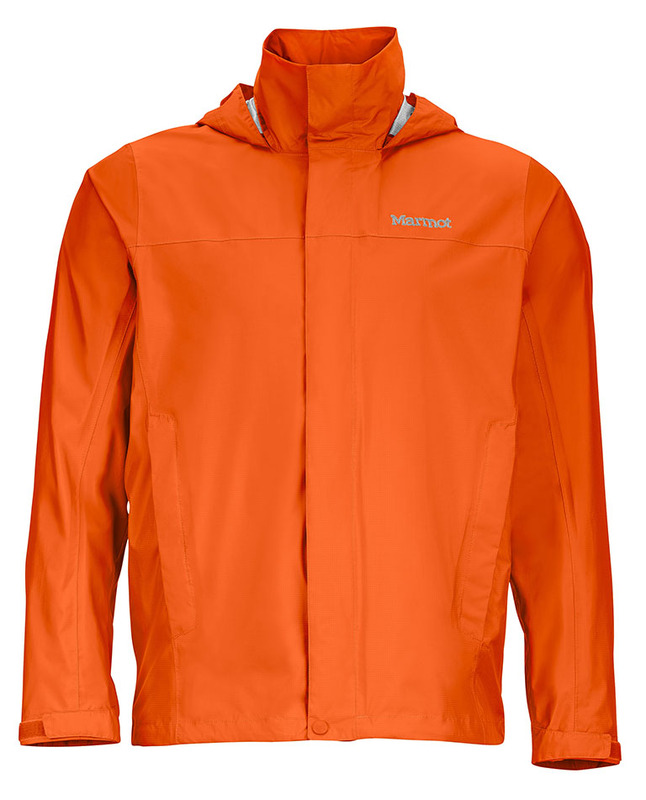 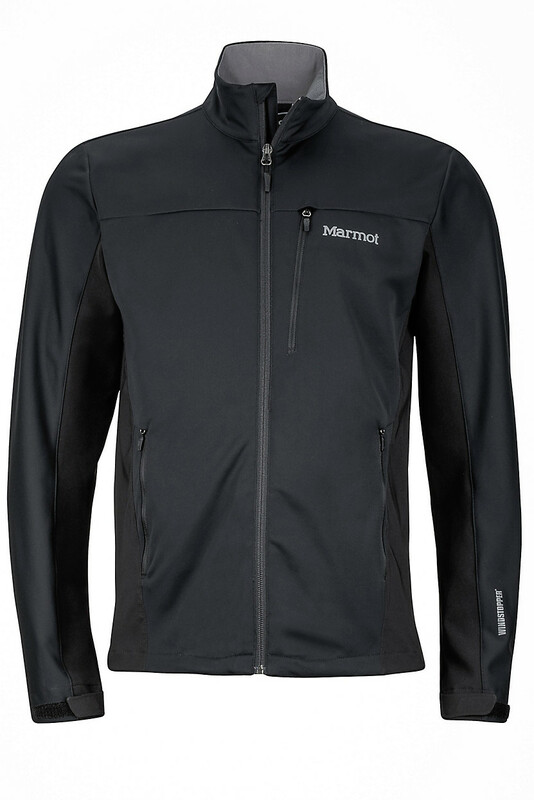 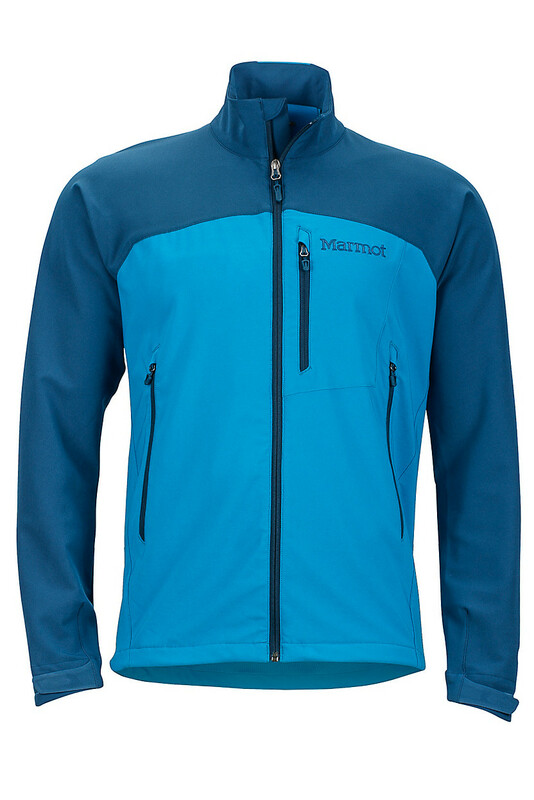 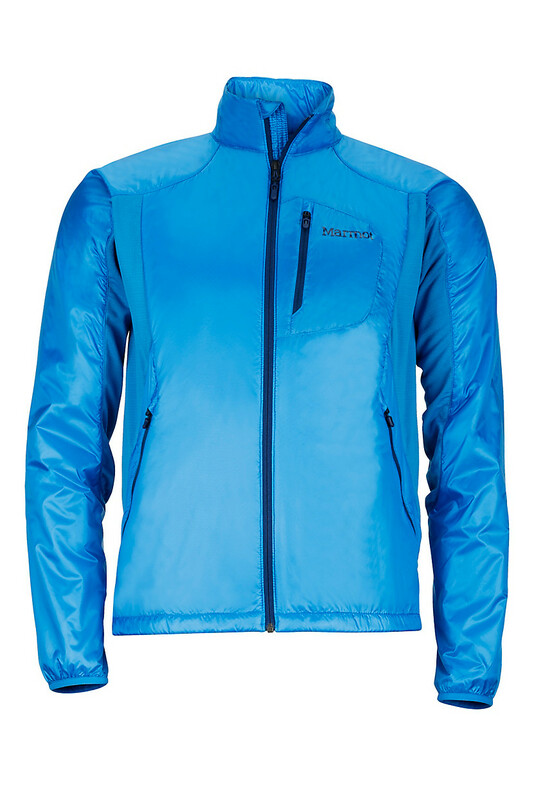 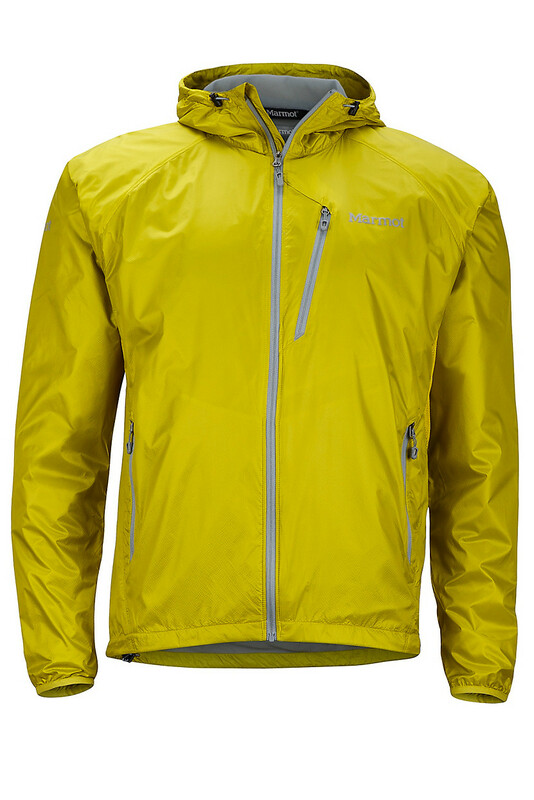 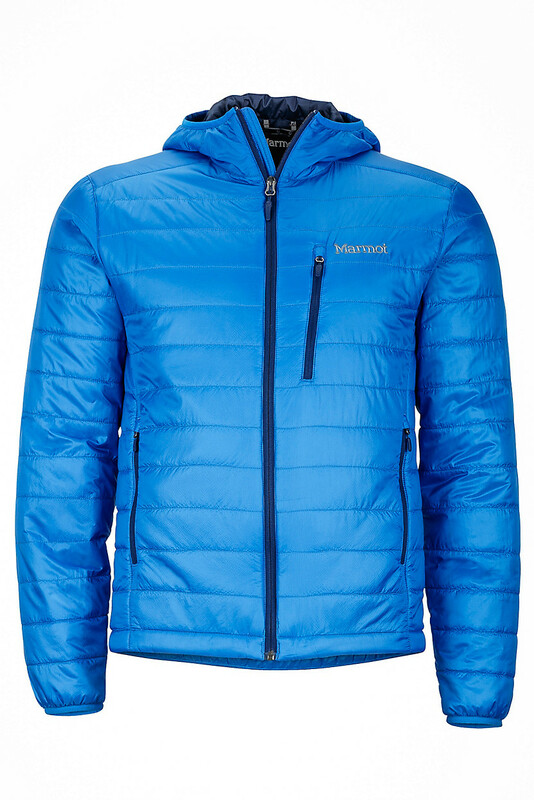 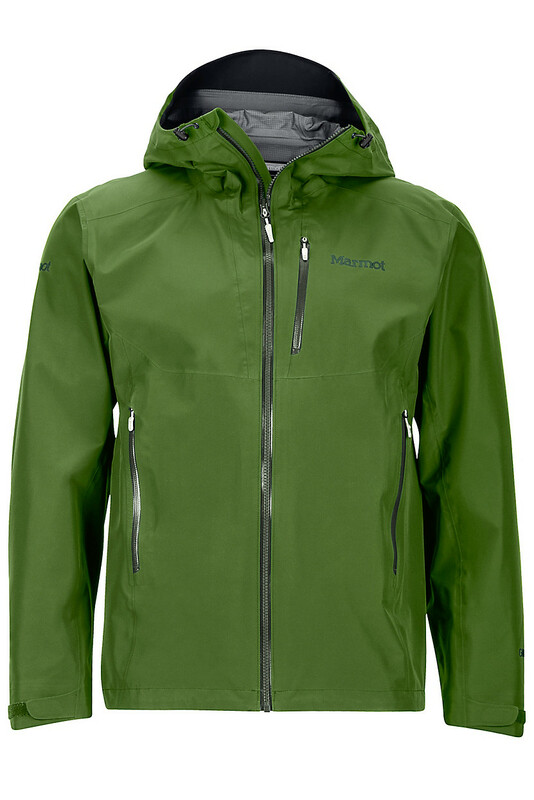 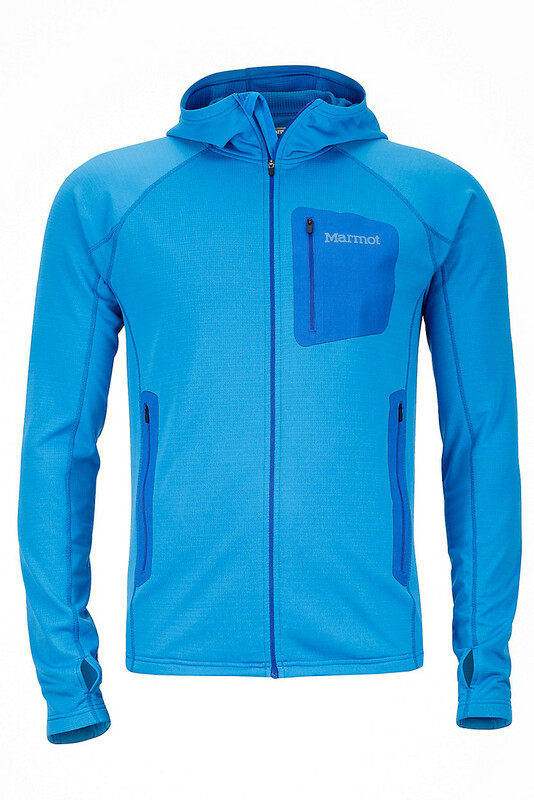 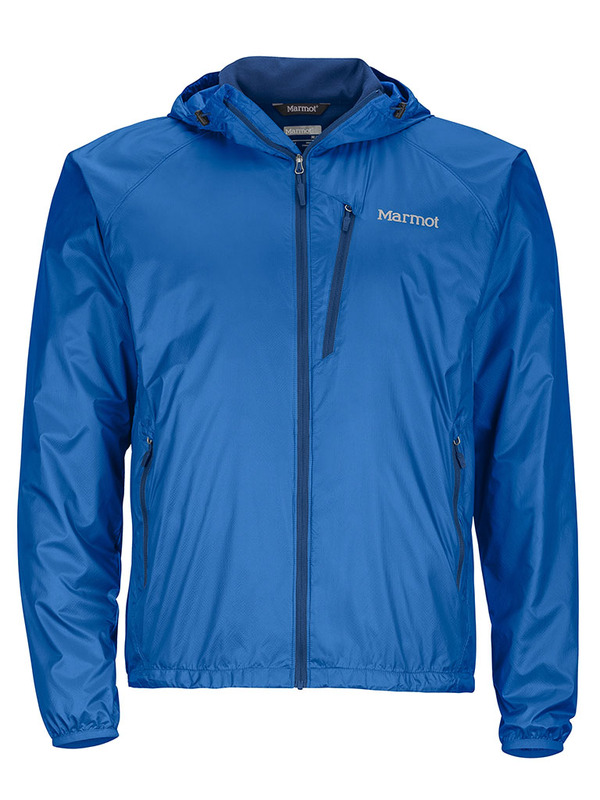 Exposure is the name of the game on a ridge traverse — this jacket is built for aerobic quests when you’re moving fast. The lightweight and breathable GORE-TEX® Active in the Exum Ridge Jacket delivers full-blown wind and water protection in an incredibly breathable three-layer laminate shell. This jacket has extra weather-shielding details like a fully seam-sealed design, a helmet-compatible hood with a moldable brim and asymmetrical Velcro cuffs. 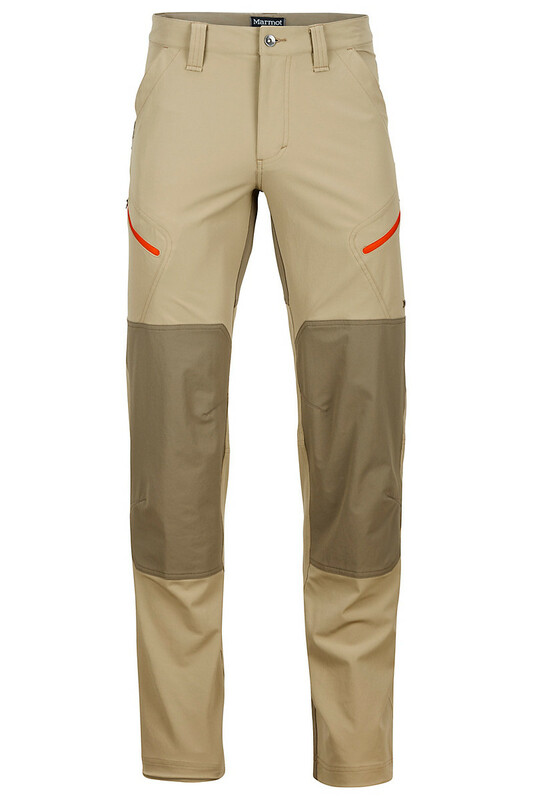 Highly compressible, and completely waterproof, this GORE-TEX® Paclite® pant will bring you to the ends of the Earth and back again in style. 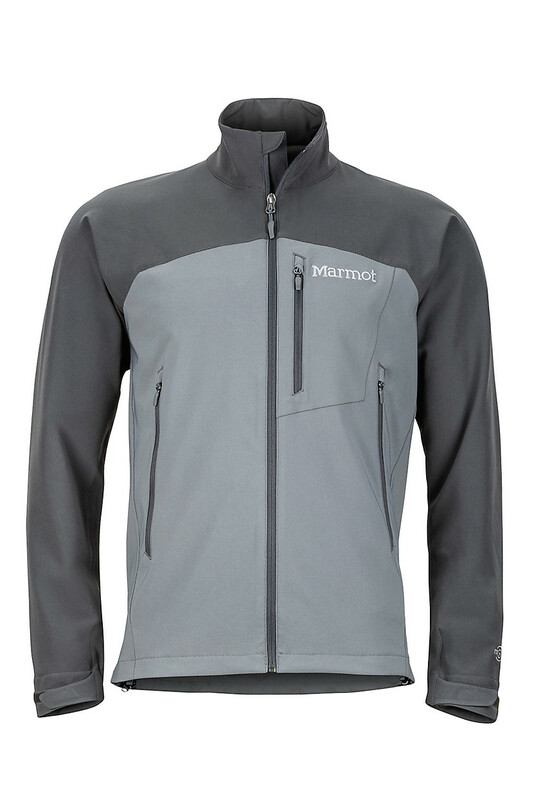 Paired with our Minimalist Jacket, you’ve got outstanding neck-to-ankle hard shell protection that packs down to nothing! 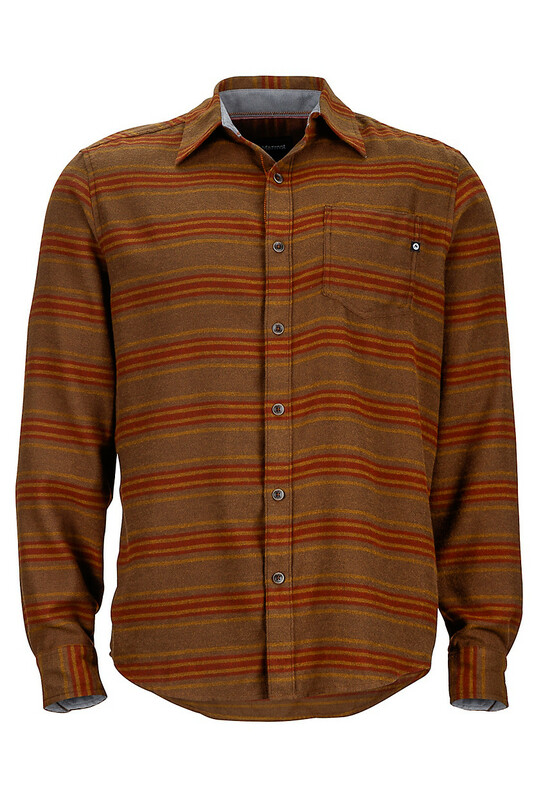 Buy the ticket, take the ride. 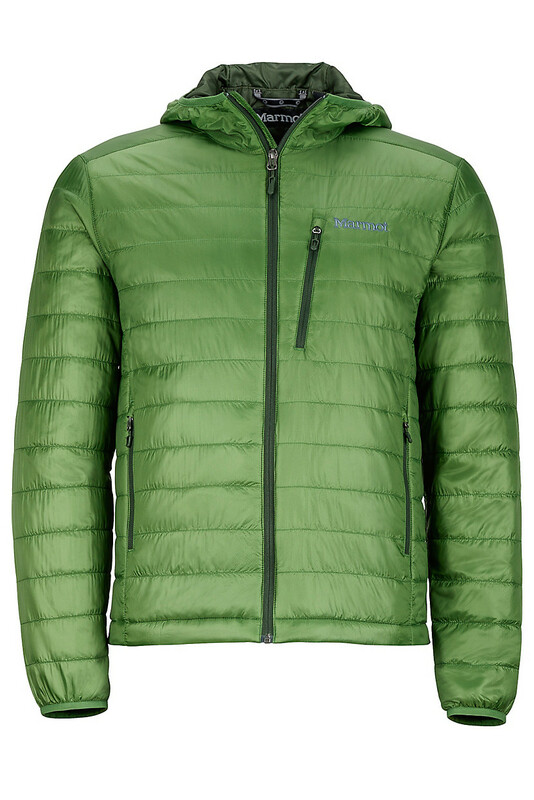 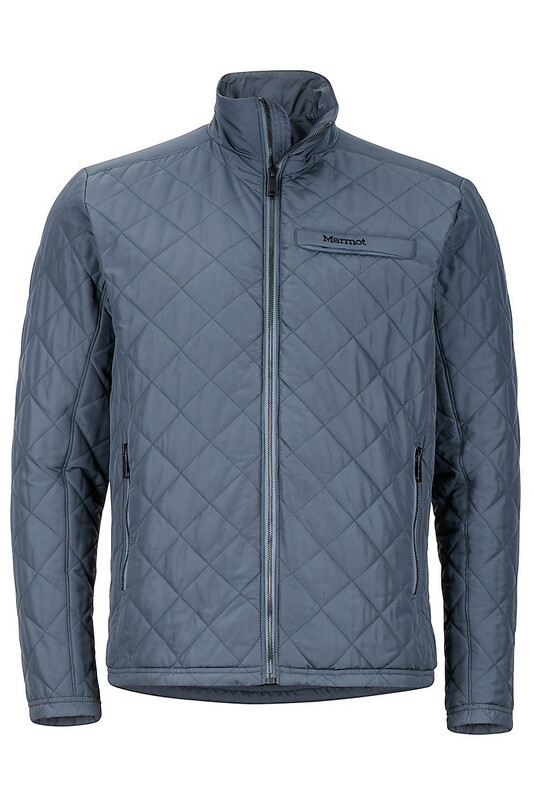 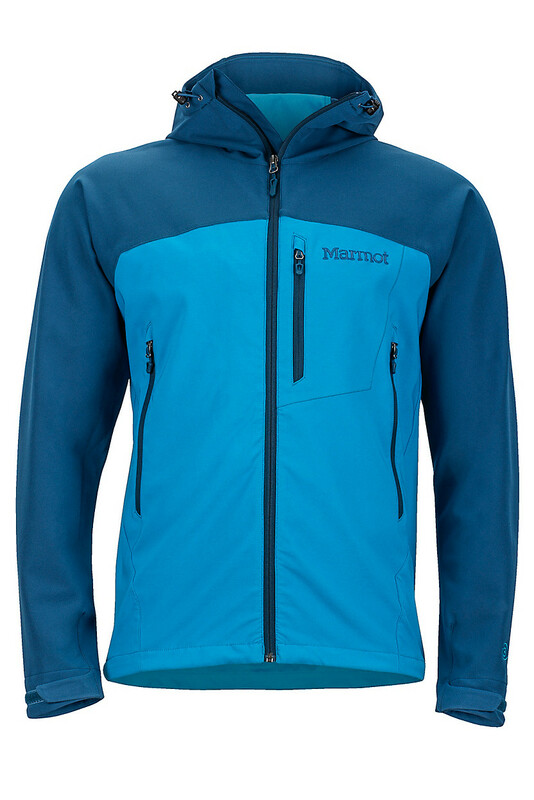 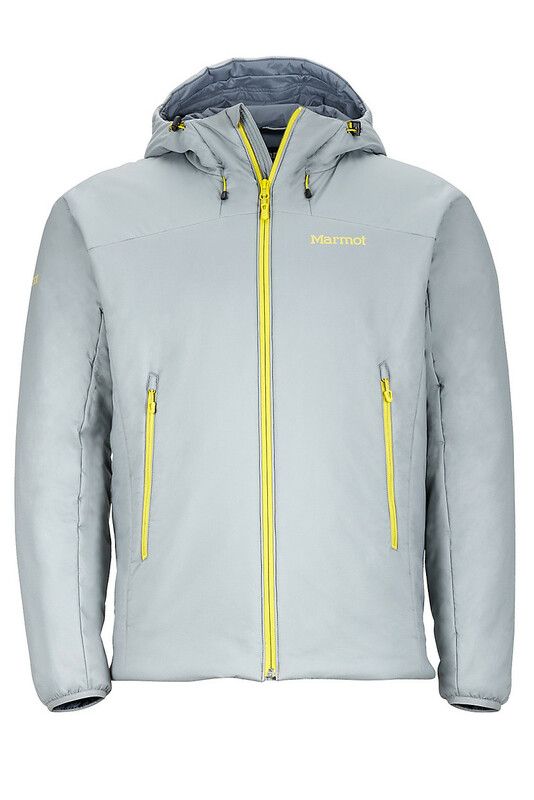 The Headwall Jacket is our go-big-or-go-home jacket built for active, cold-weather use. 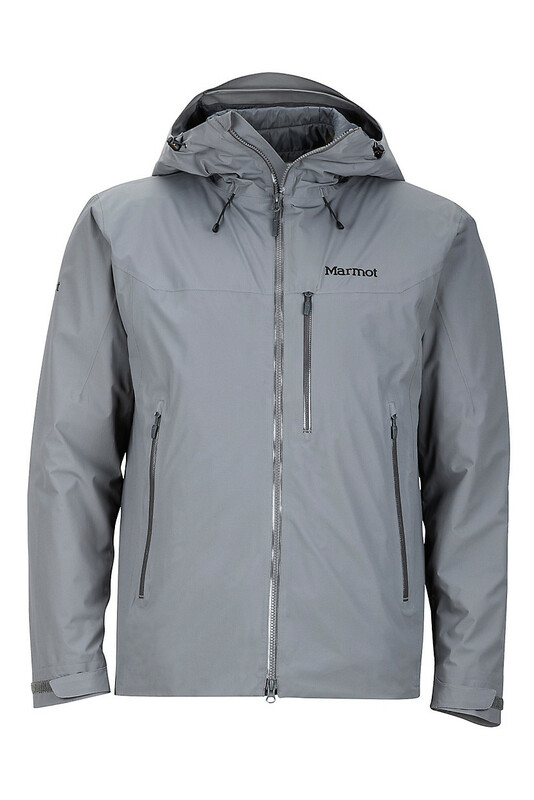 The seam-taped, superlight 20-denier stretch NanoPro™ MemBrain® fabric is fully waterproof and filled with Primaloft® Silver insulation, a lightweight active insulation which allows more air movement. 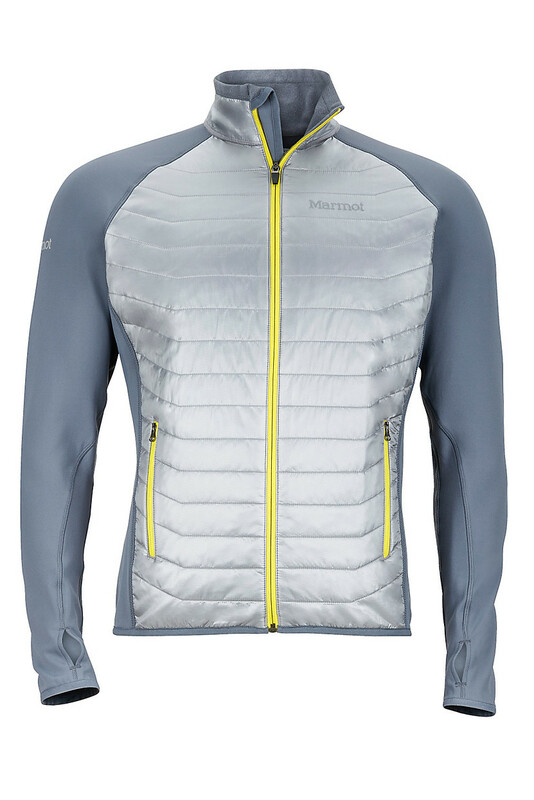 Backed with an inner air-exchange lining that ups the ante of breathability, technical features abound in this breathable, compressible hyper specialized package. 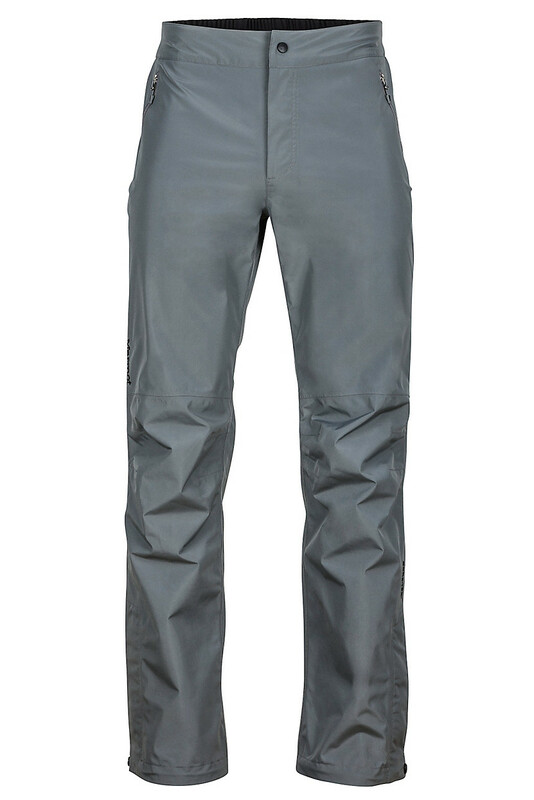 Now updated with NanoPro™our most comfortable waterproof/breathable coating technology ever, the PreCip™ rain pant sets the standard for lightweight backpacking, hiking and mountain travel rainwear that is eminently affordable. 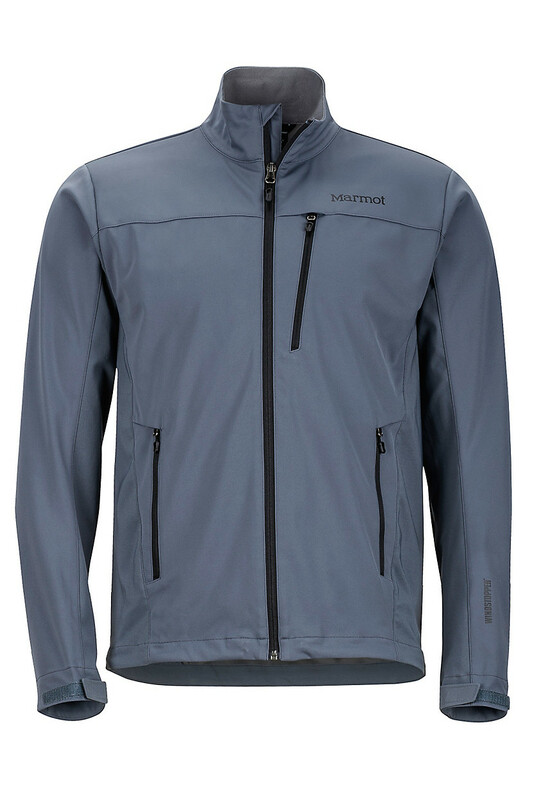 The Shield Jacket strikes a stellar balance between warmth, weather resistance and breathability making it a seamless barrier that complements moving fast. 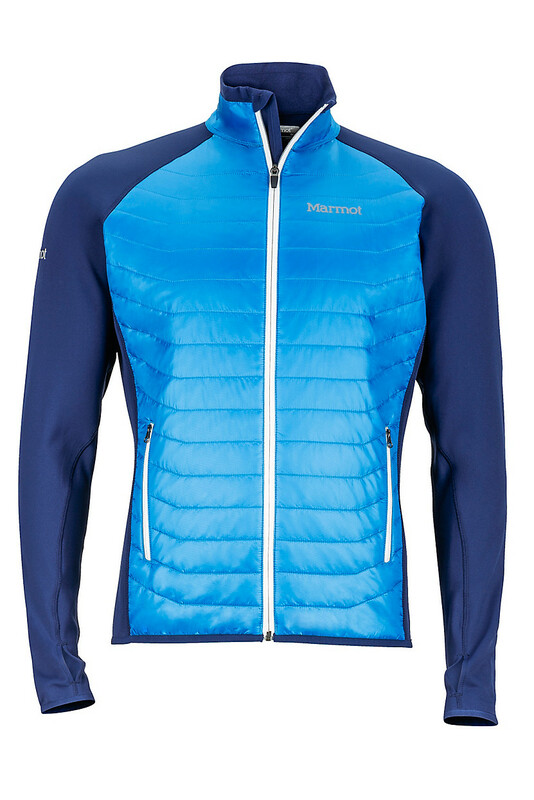 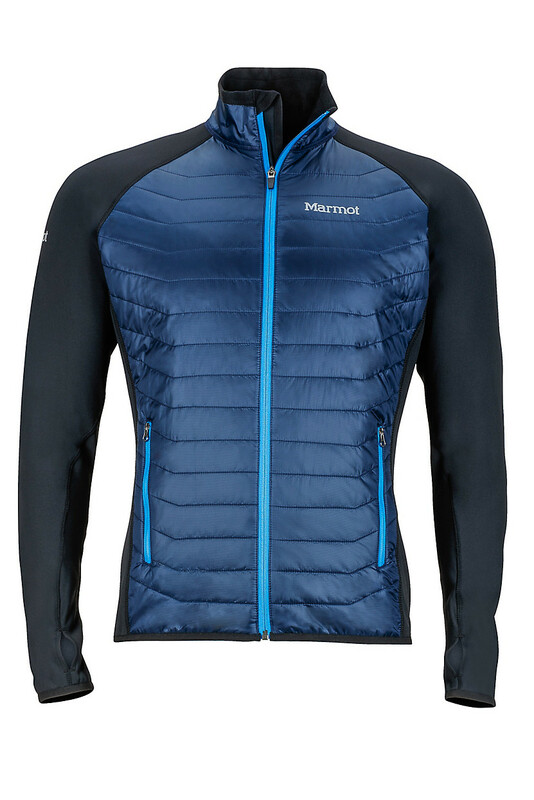 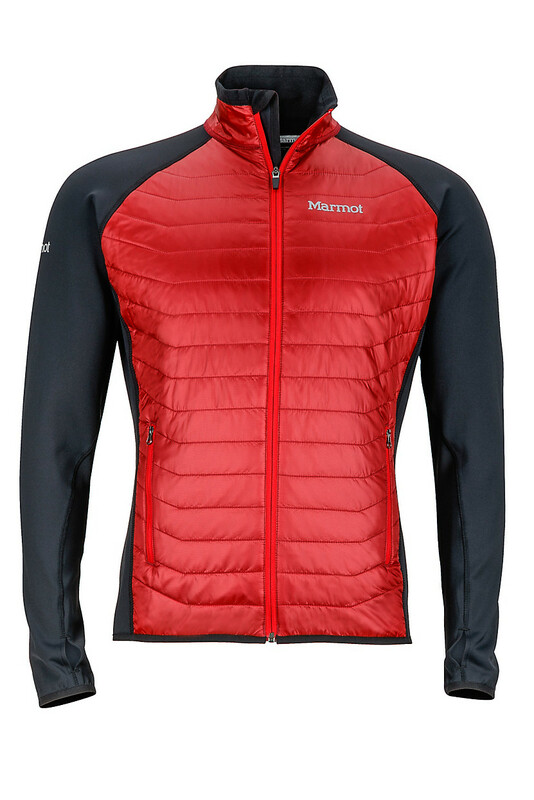 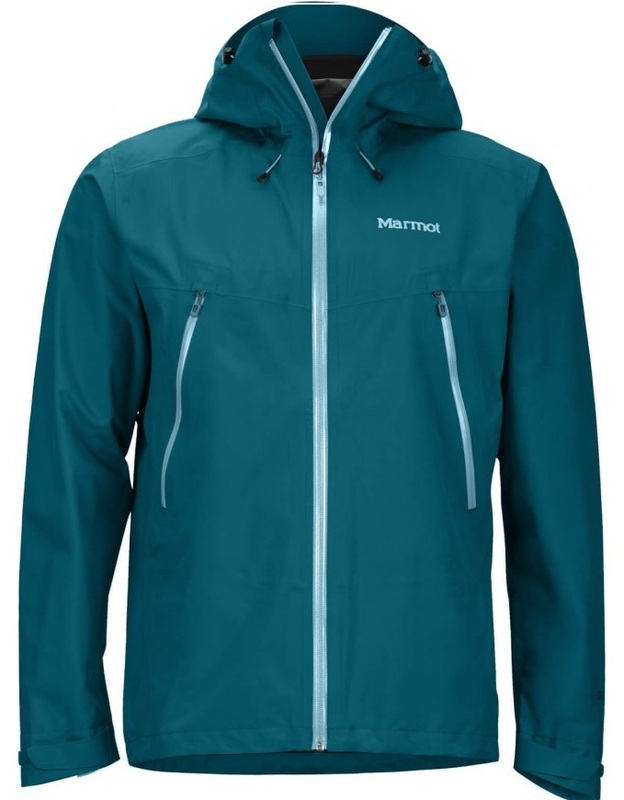 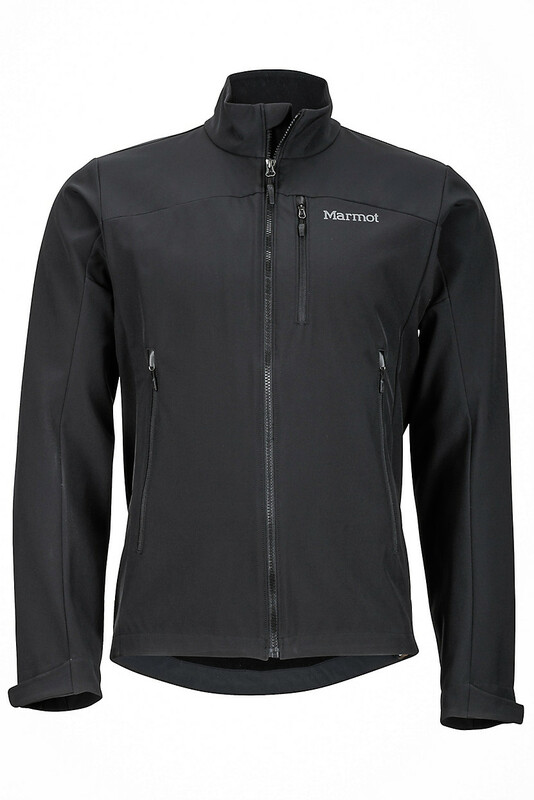 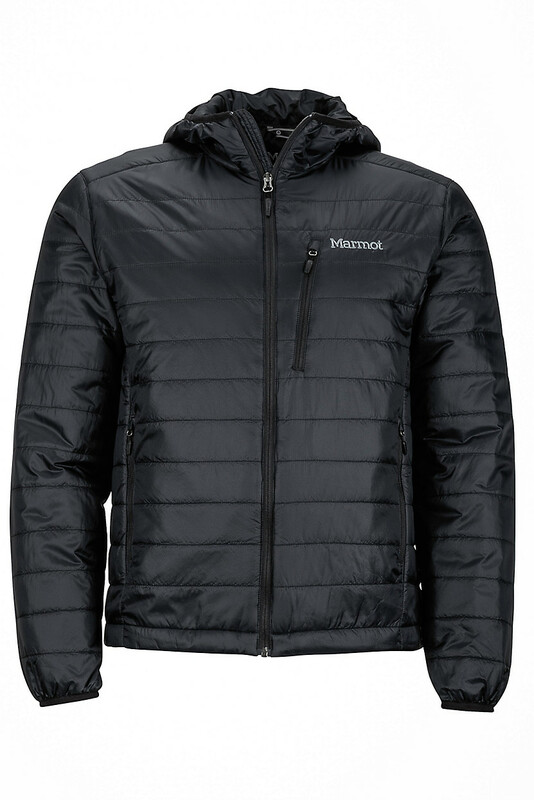 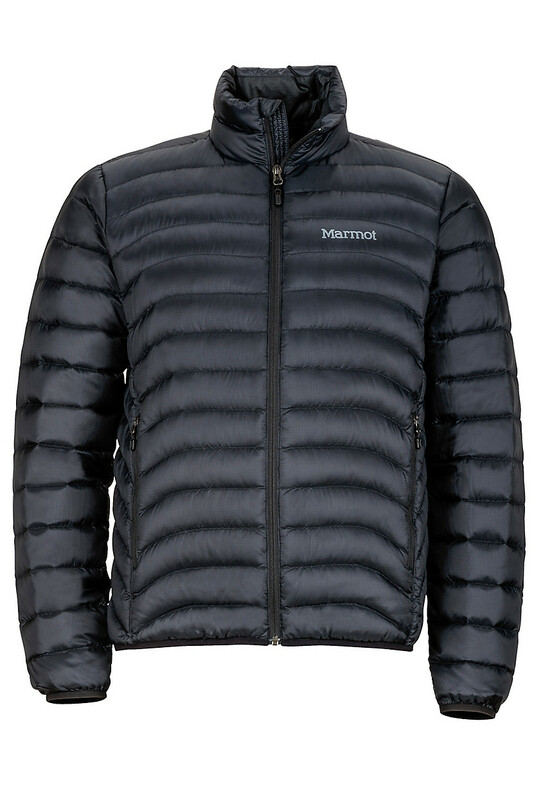 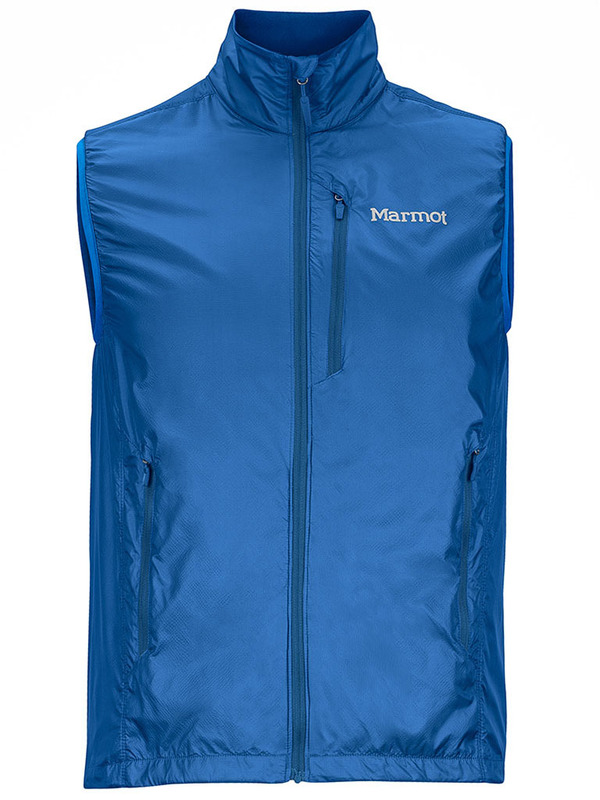 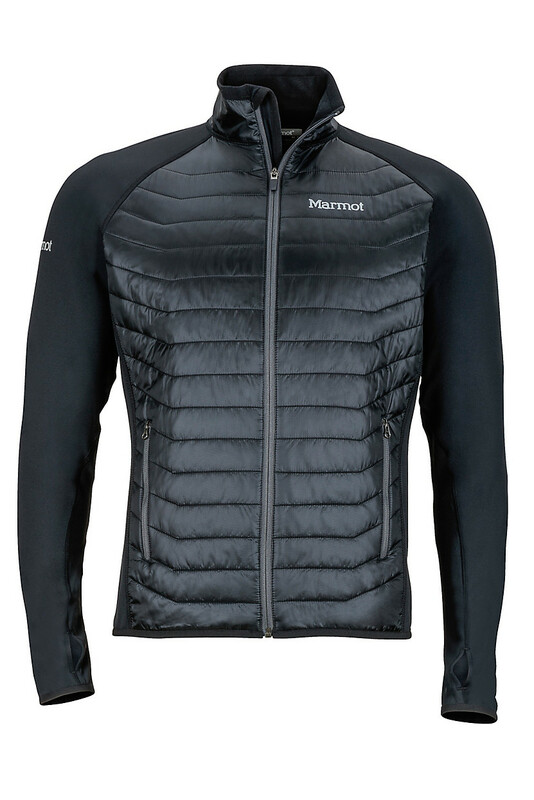 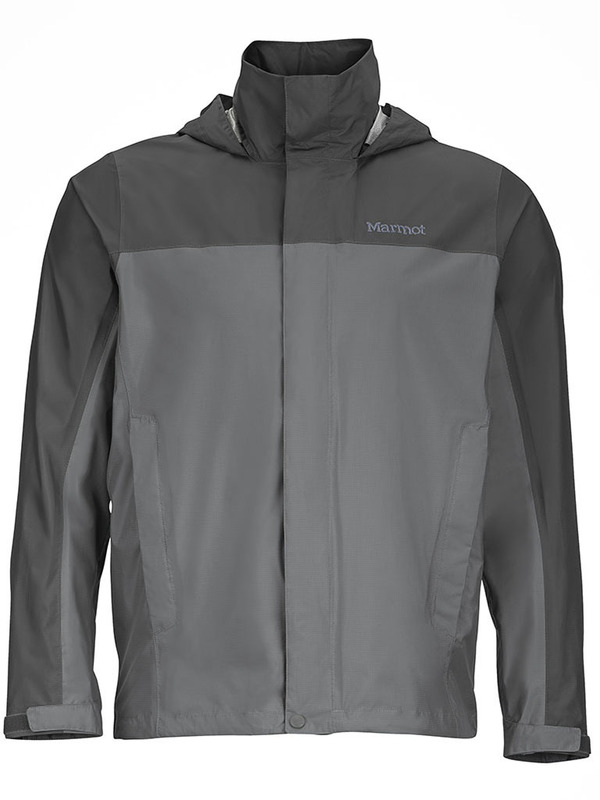 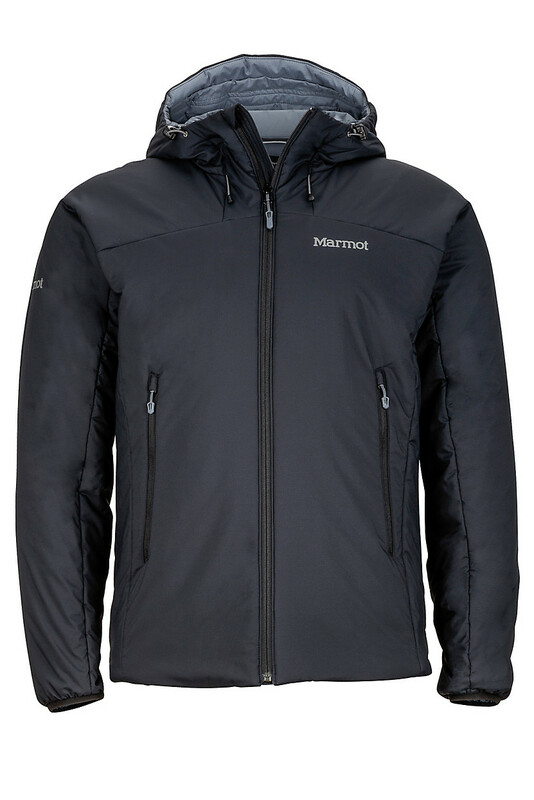 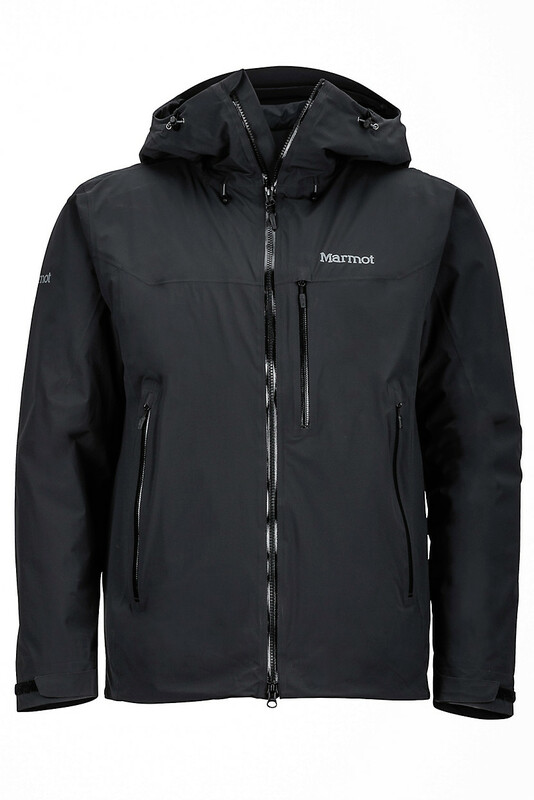 Constructed with a combo of stretchable Polartec® Power Shield® and windproof, water-resistant Marmot M2, this breathable softshell has a functional fit, adjustable hem and a variety of convenient zippered pockets. 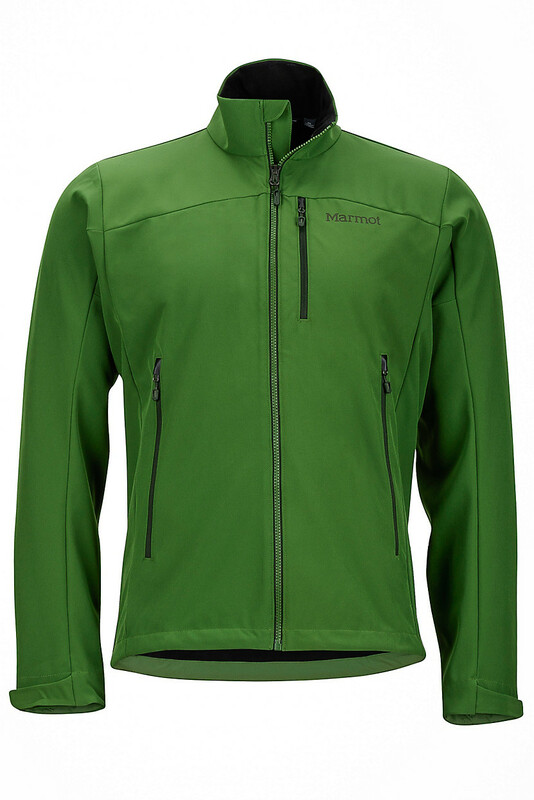 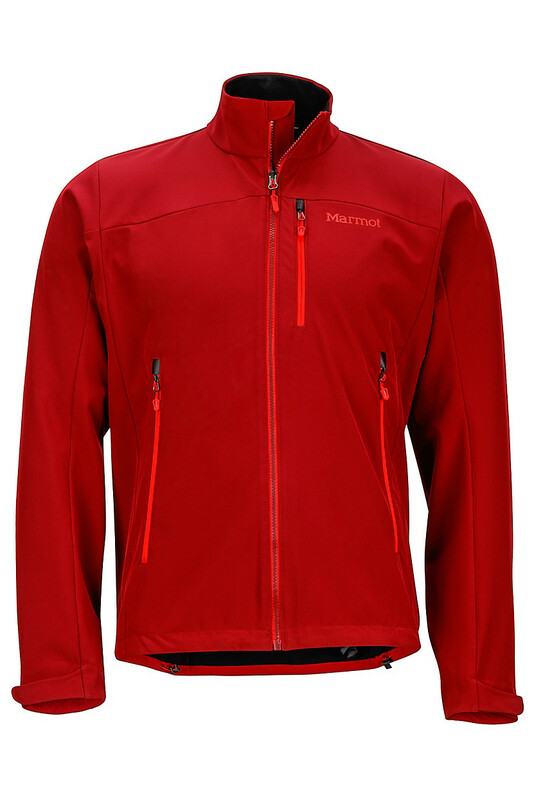 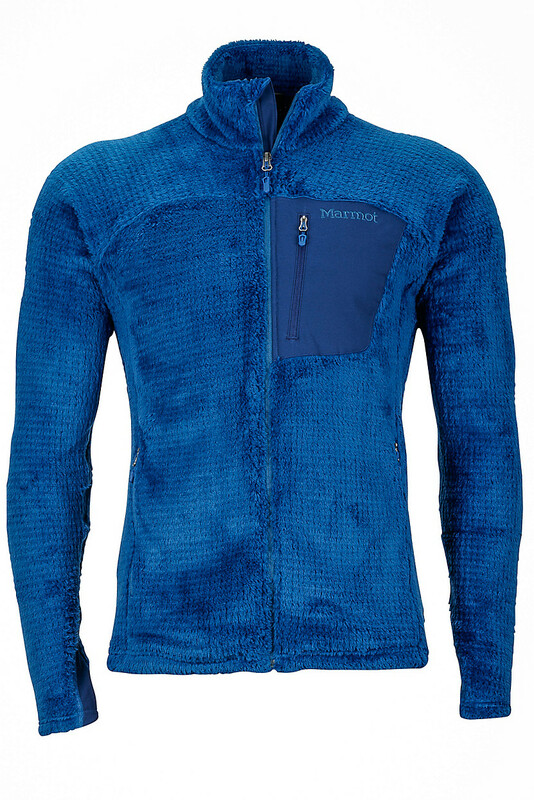 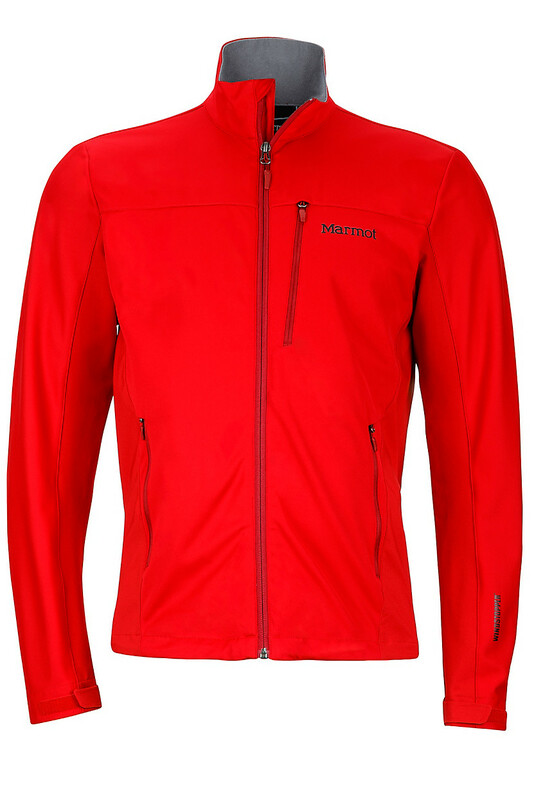 The windproof WINDSTOPPER® fabric, wicking backer and lightweight, mobile design of the Leadville Jacket deliver high-caliber softshell performance for aerobic sports, whether its alpine climbing or spring skiing. 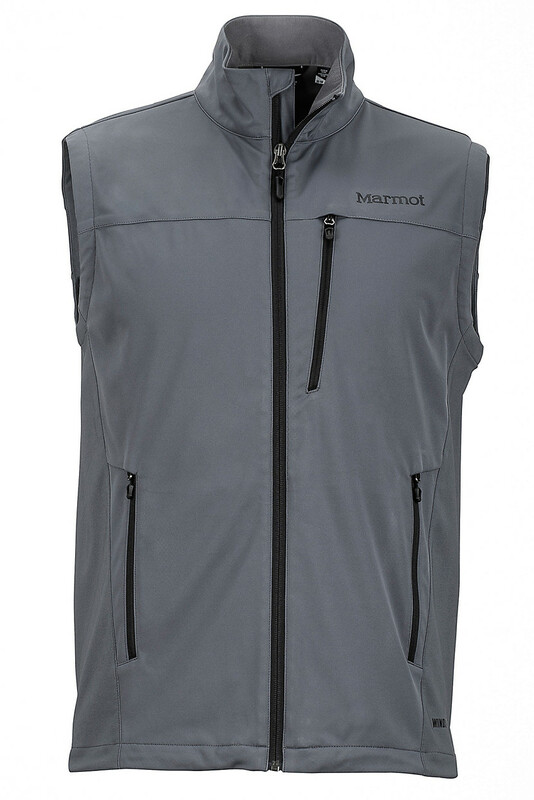 We took the rugged construction and mountain-tested performance of our amazing Leadville Jacket and retooled it into a versatile vest. 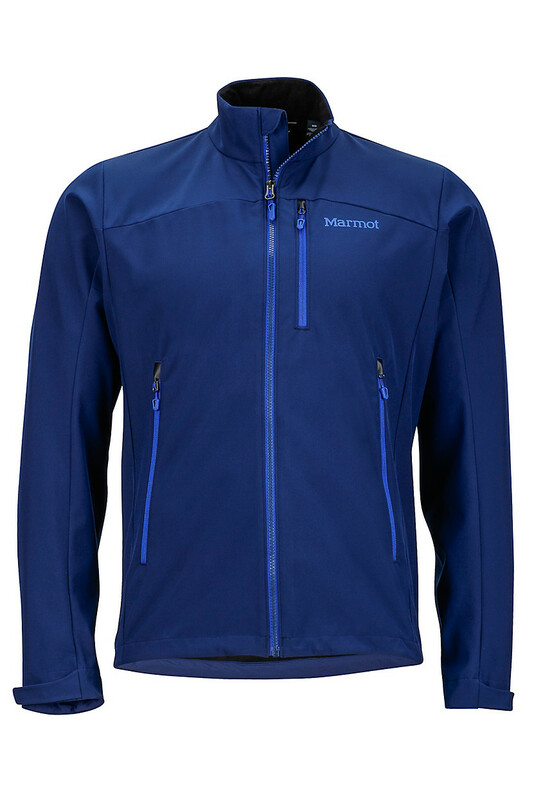 This WINDSTOPPER® M2 softshell wonder keeps your core warm and dry, yet breathes easily to prevent clamminess during high-output aerobic activities. Protection for your close-to-home adventures: the Estes Jacket is made with Marmot M3 soft shell — the most breathable of Marmot proprietary soft shell for high-output activities. 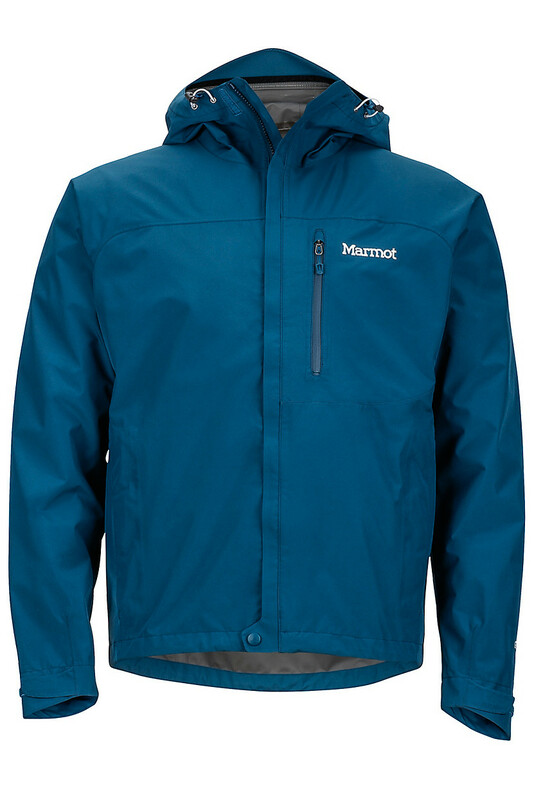 A solid water-resistant layer, the Estes Jacket has Angel-Wing Movement™, strategically placed Pack Pockets™, and an adjustable hem and cuffs. 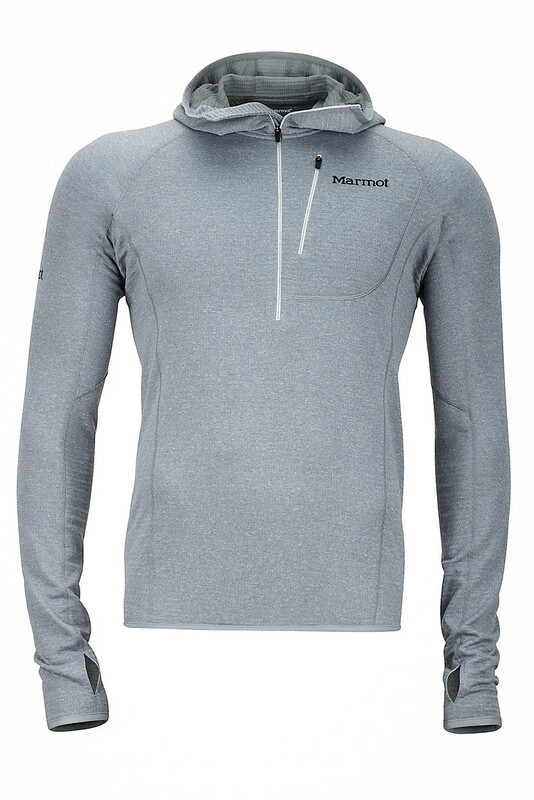 The Ansgar Hoody's Polartec® Power Stretch® Pro™ fabric creates a supreme lightweight thermal layer for your adventures. 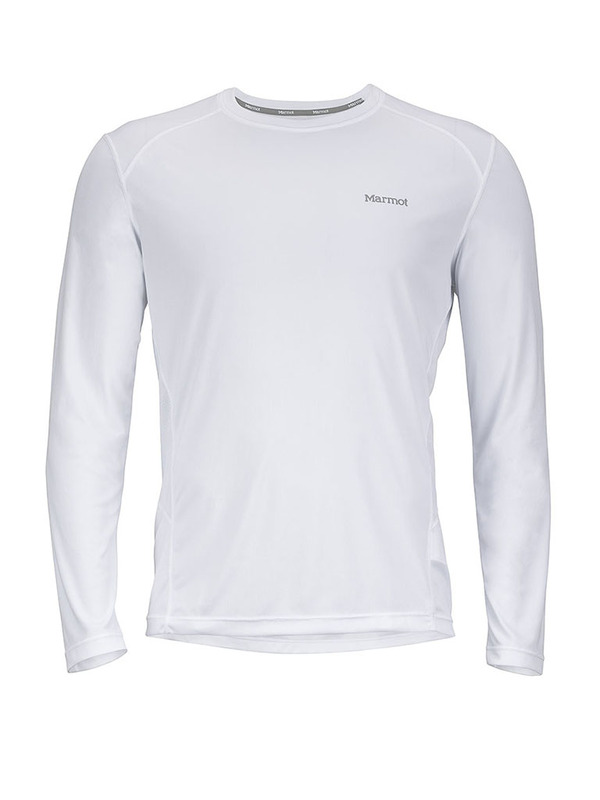 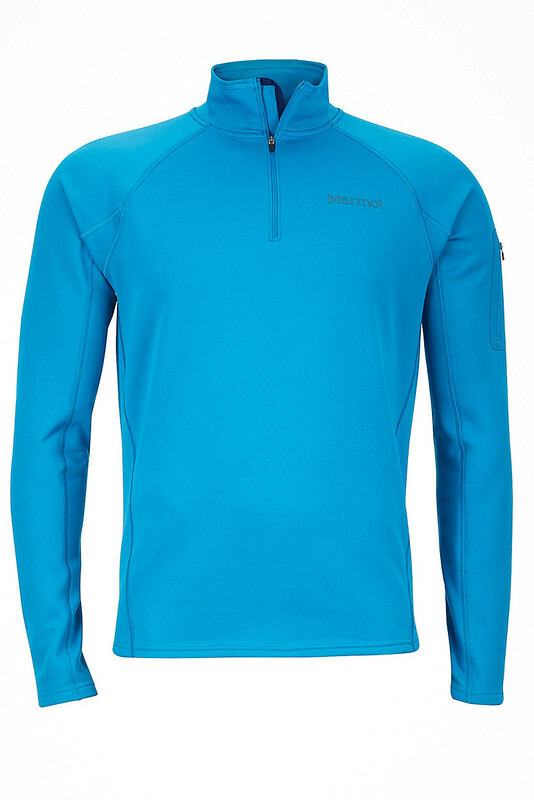 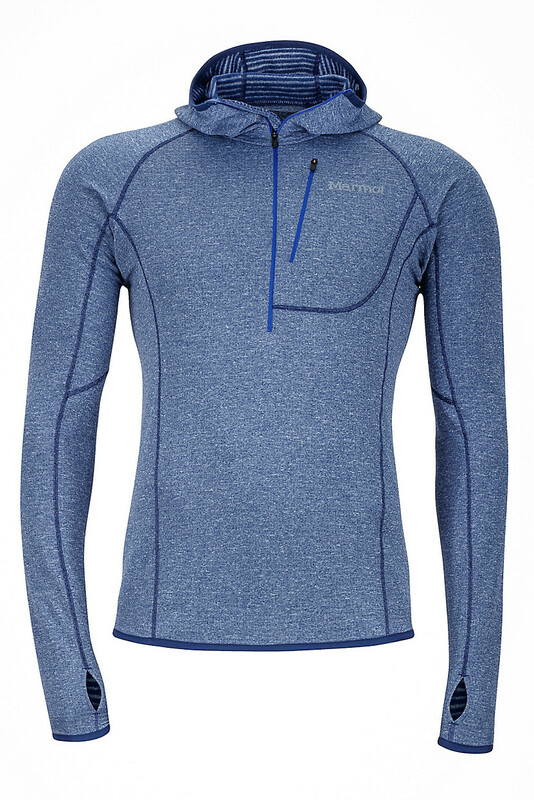 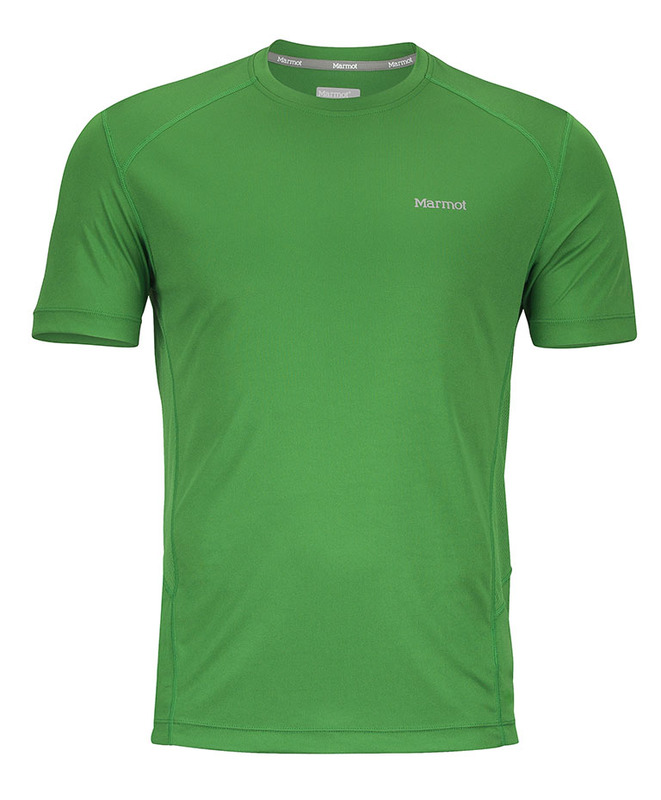 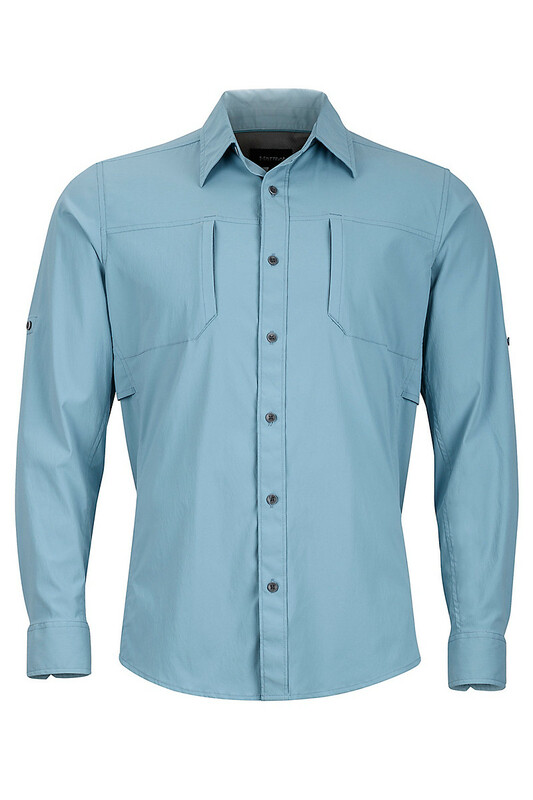 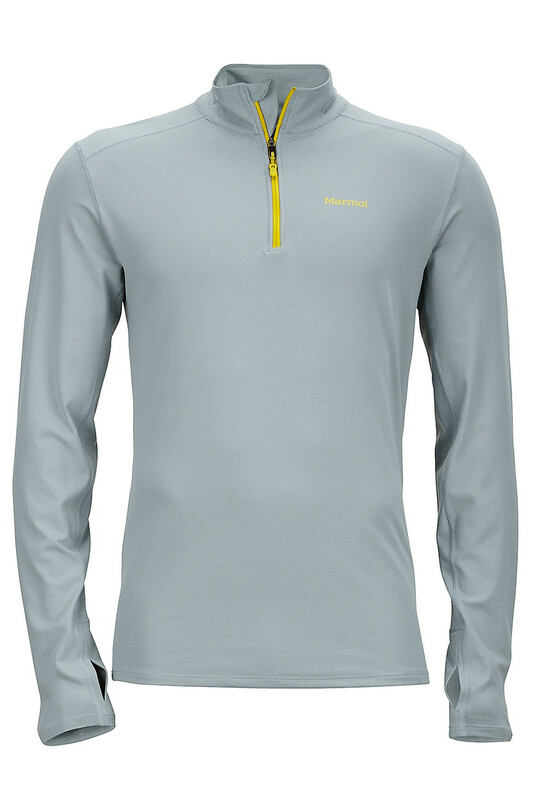 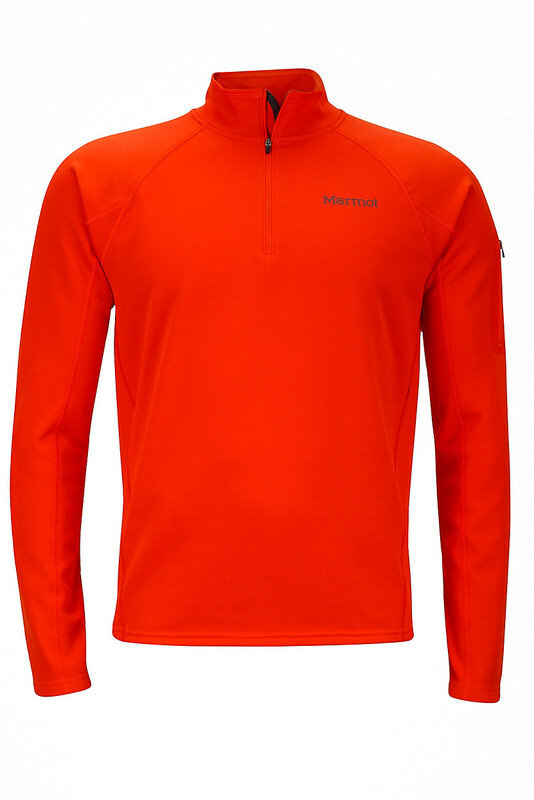 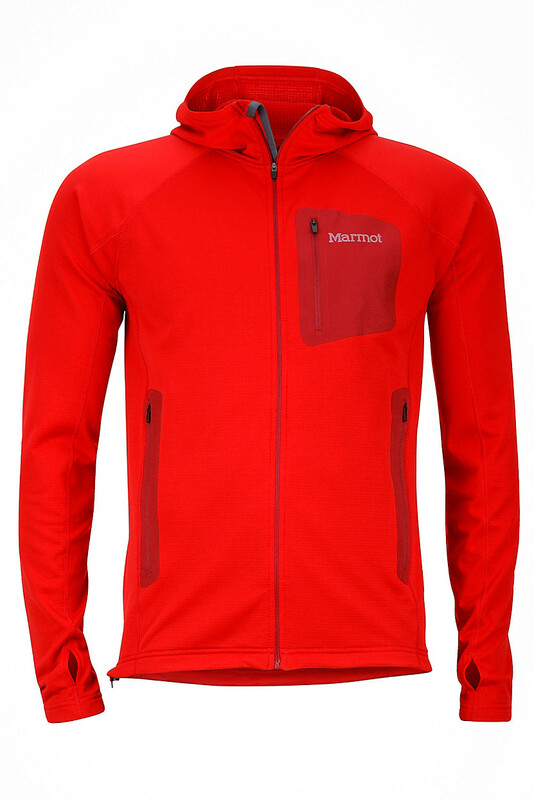 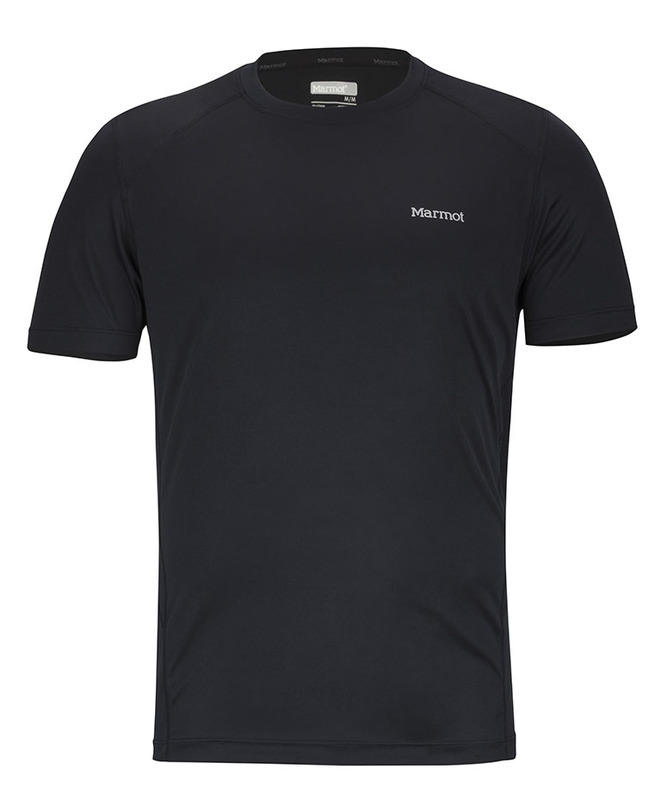 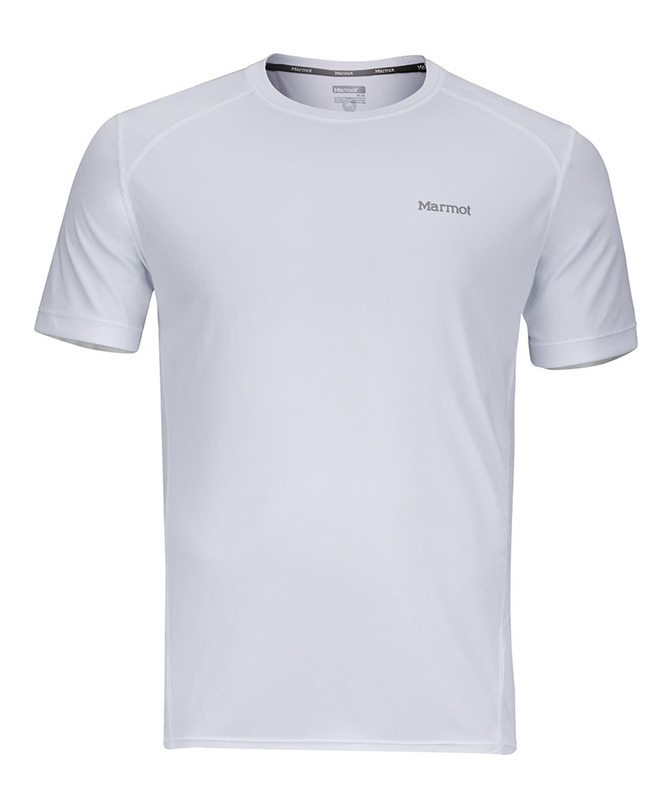 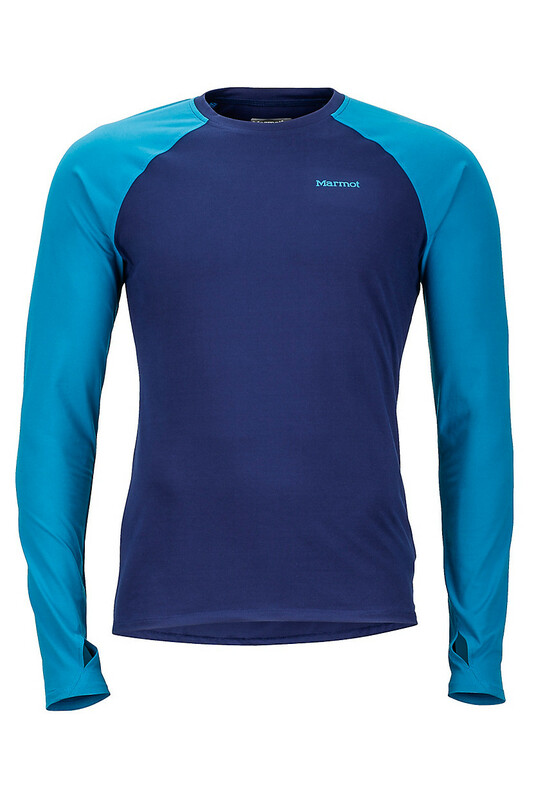 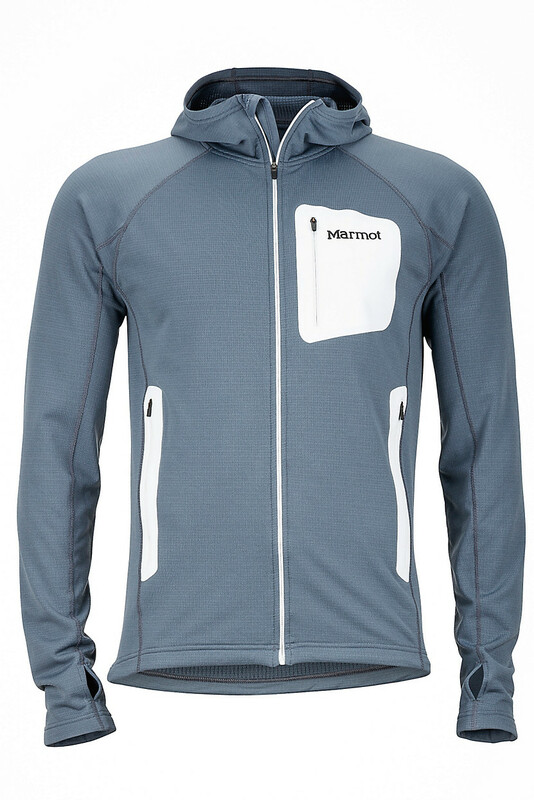 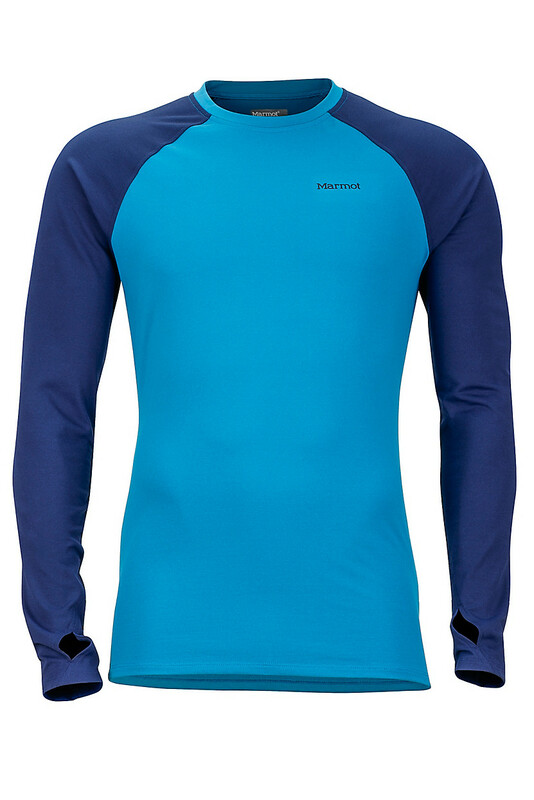 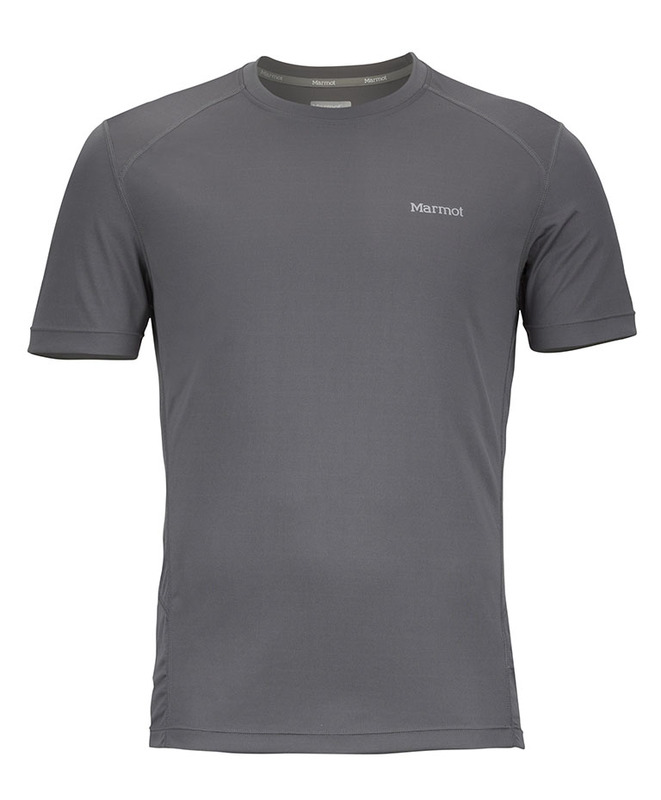 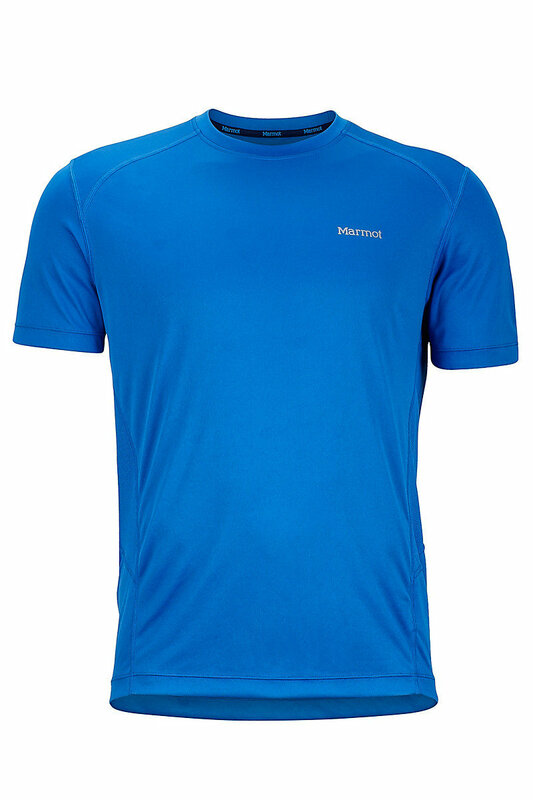 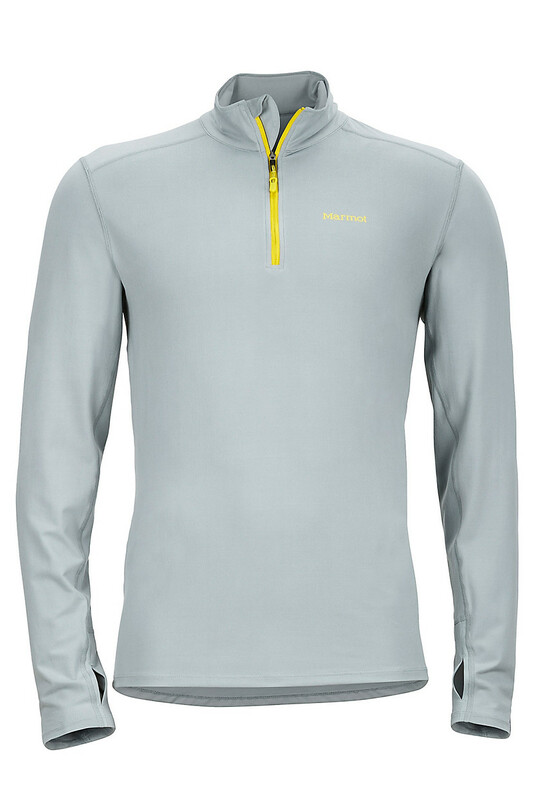 Made to be breathable and comfortable with a grid-faced interior, this stretchy moisture-wicking base moves with you. 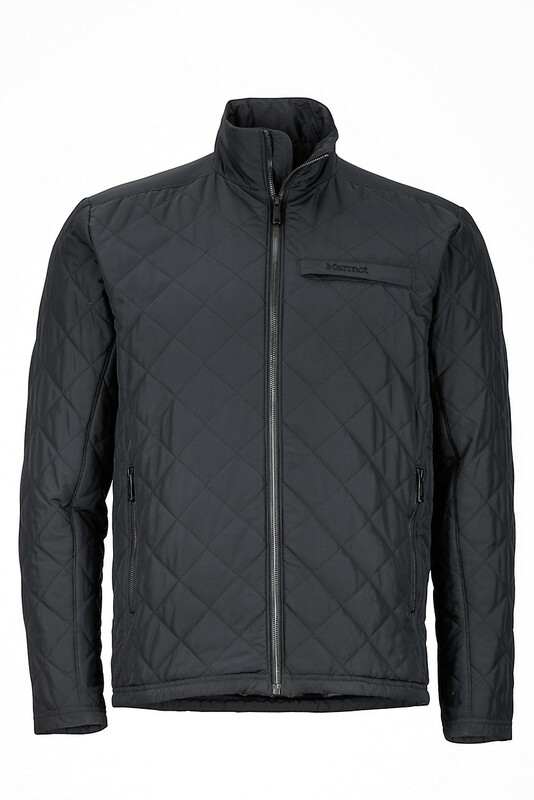 When you ask for the truth, we lay it on: The Ansgar Jacket delivers an honest to goodness comfortable environment for high-fly situations. This stretchy layer boasts hyper technical Polartec® Power Stretch® Pro™ with a grid-faced interior that helps keep you dry and comfortable while you're on the move. 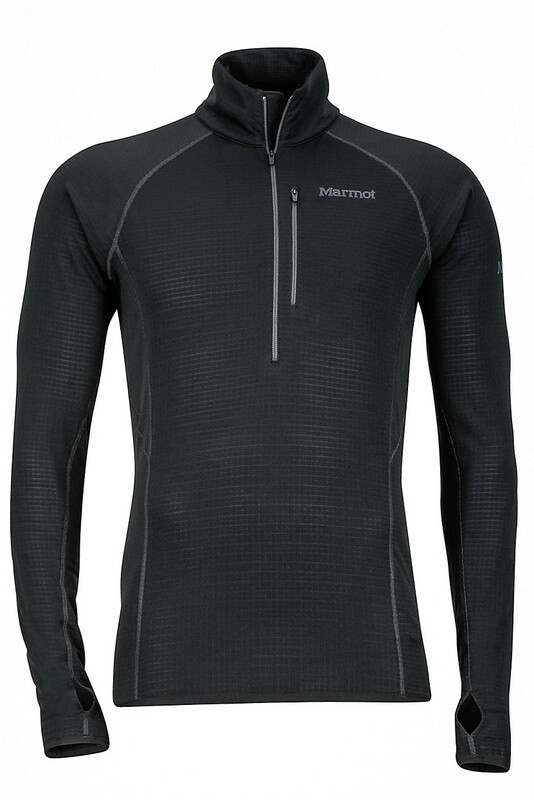 The perfect technical next to skin mid layer: Polartec® Power Wool fabric feels great against the skin, and polyester on the outer face provides durability. 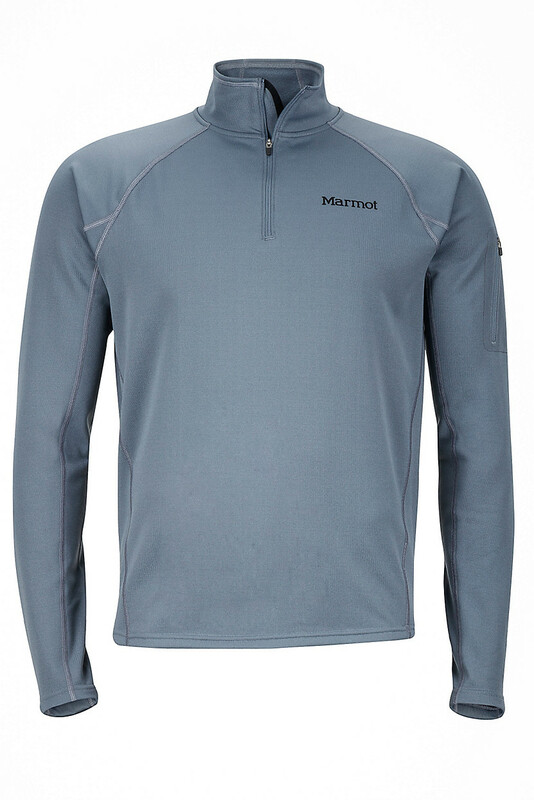 In most sports, it's crucial to lay a good foundation. 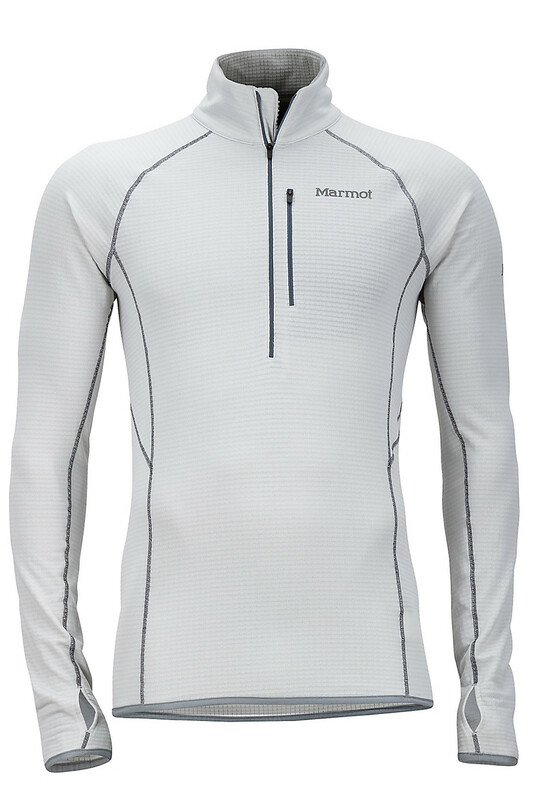 It's the same with layering, and the Polartec® Power Grid of the athletic fitting Neothermo ½ Zip is the perfect moisture-wicking layer that allows you to still get out in cold, cantankerous conditions and build a solid base. 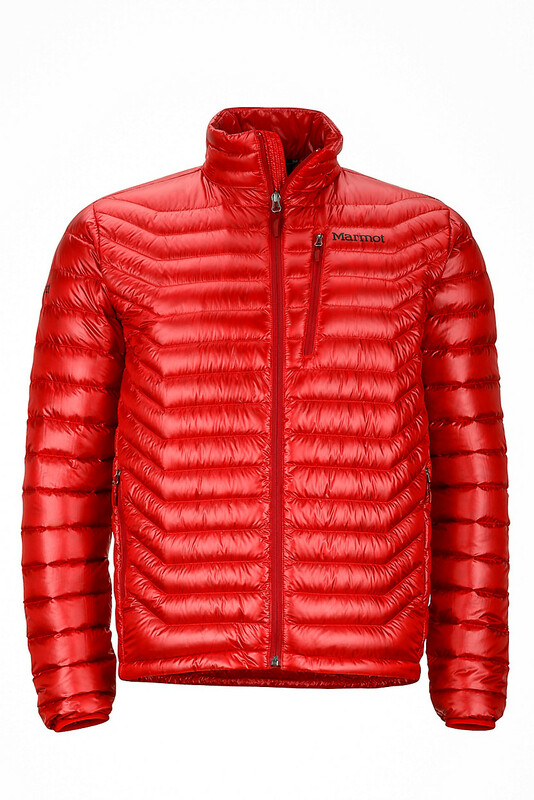 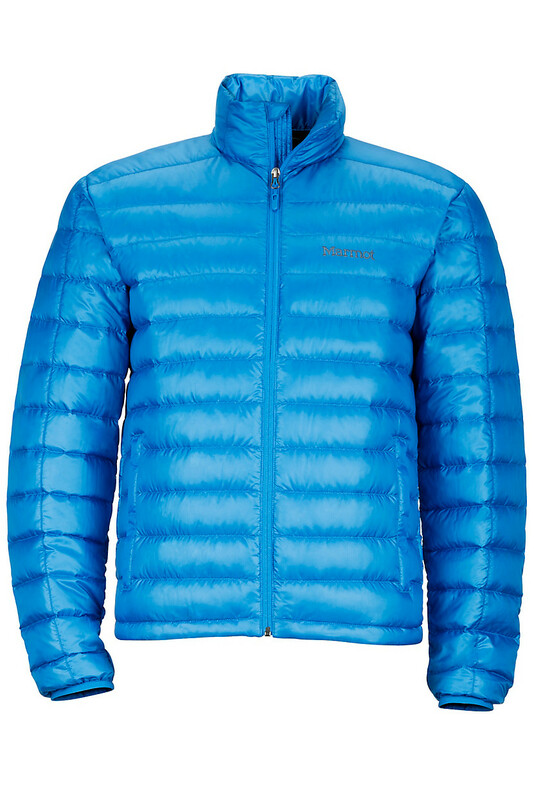 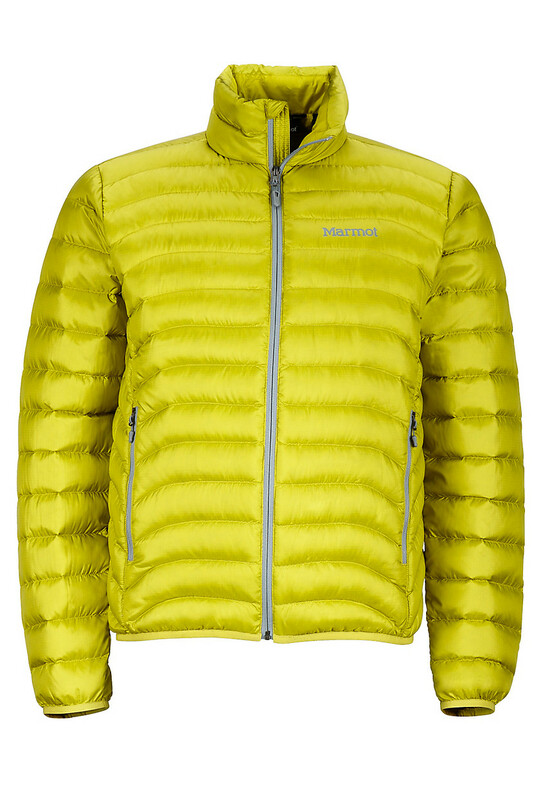 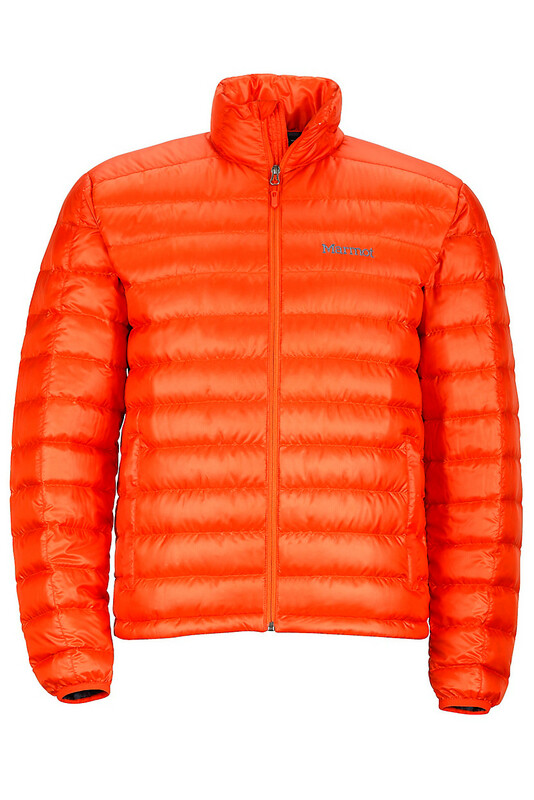 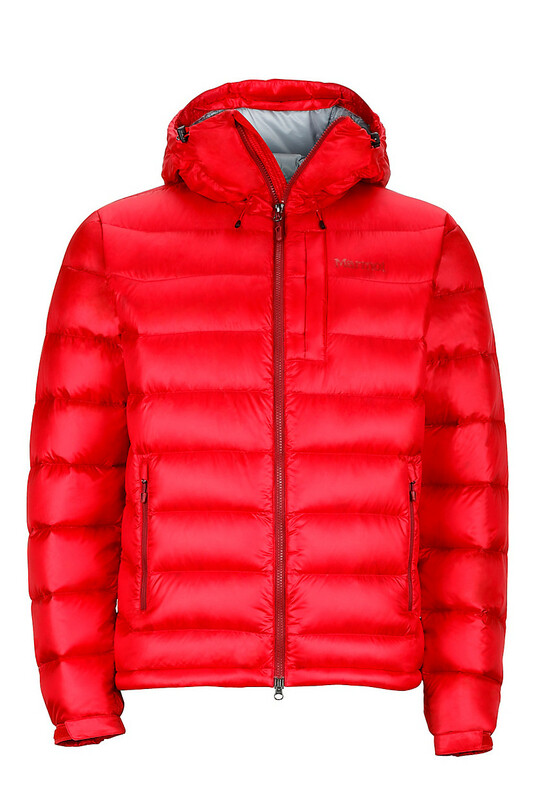 At under nine ounces, the ridiculously warm and lightweight Quasar is a modern marvel. 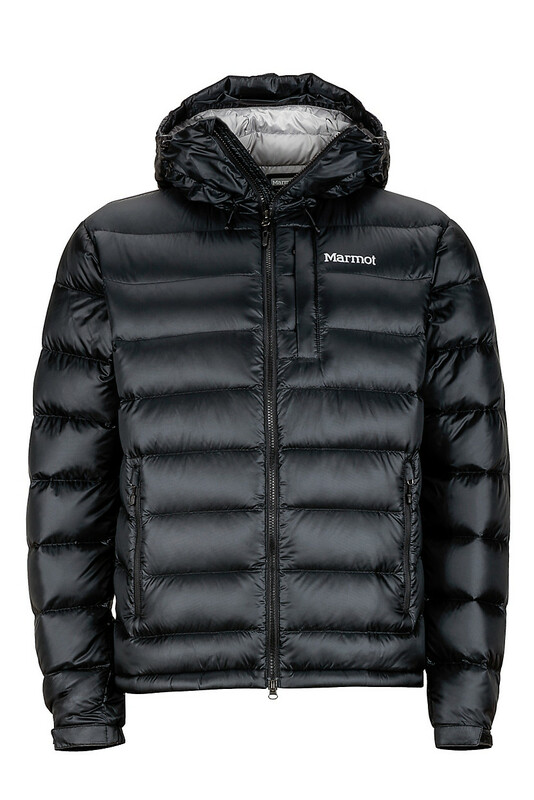 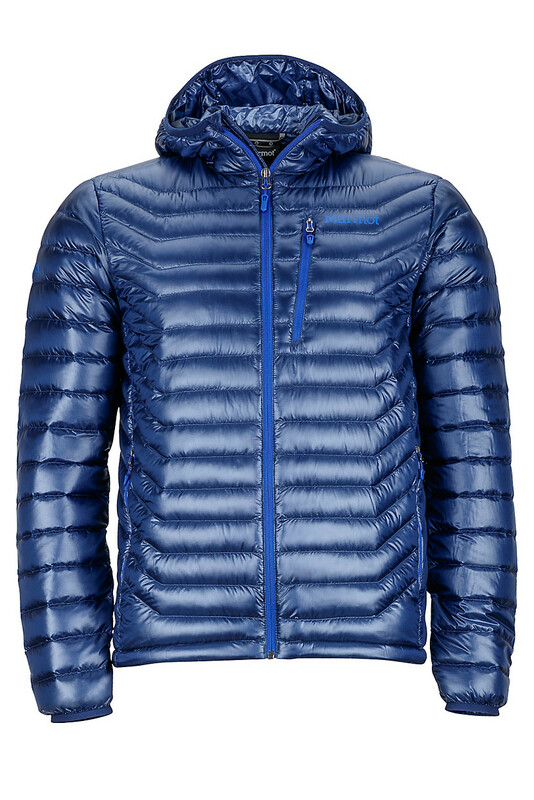 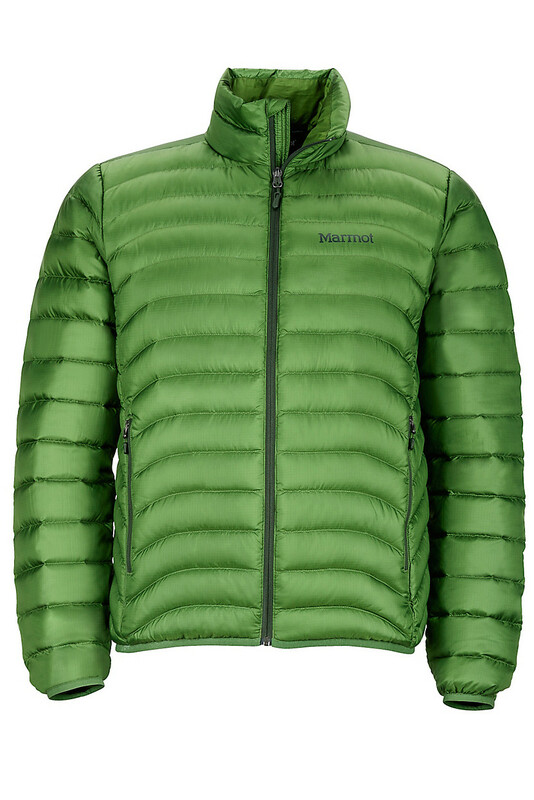 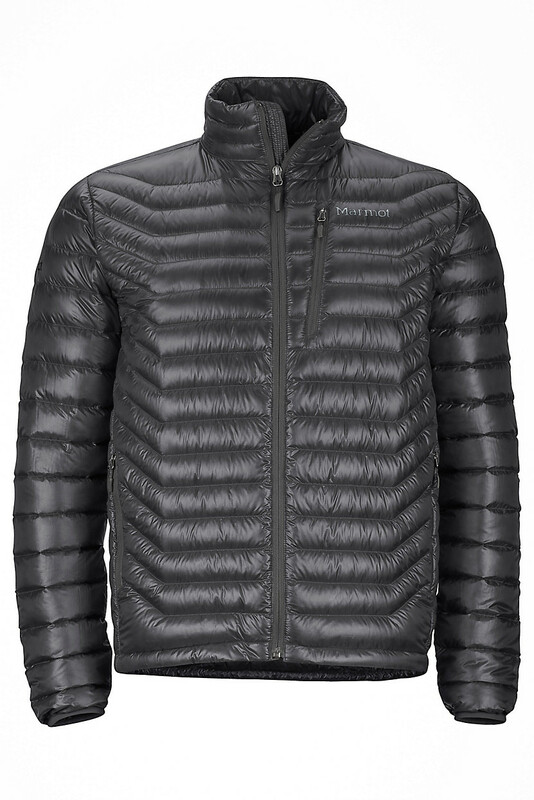 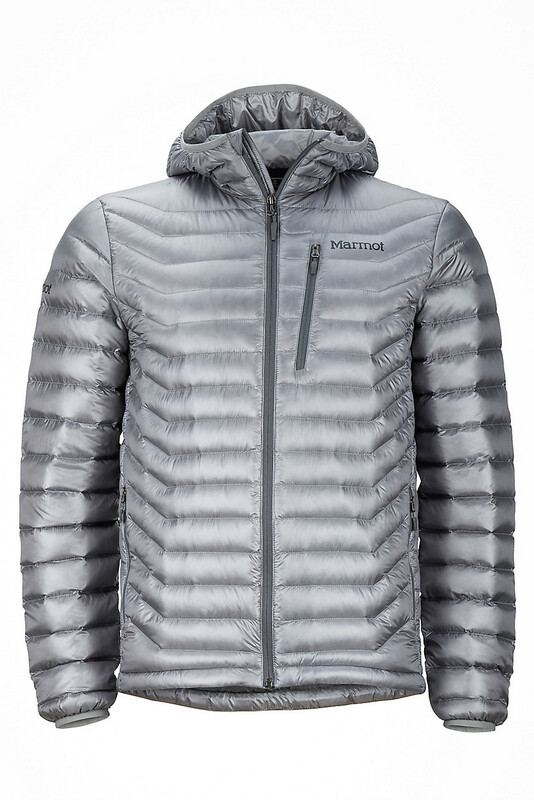 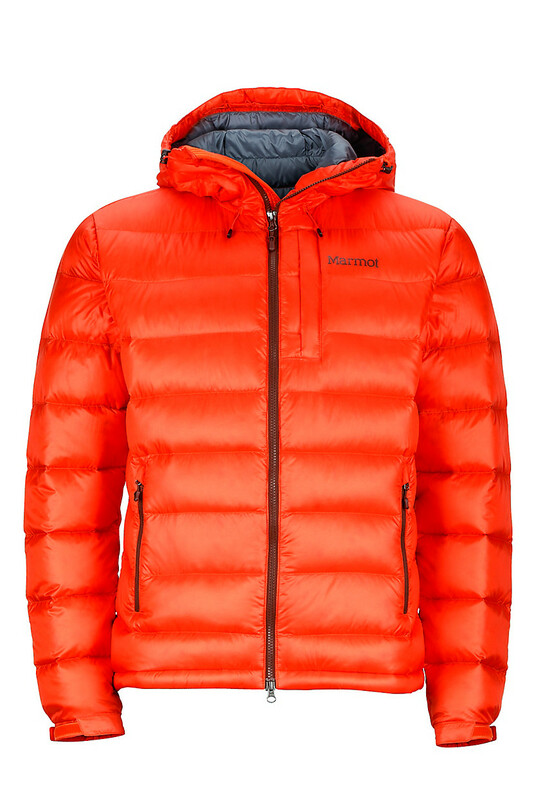 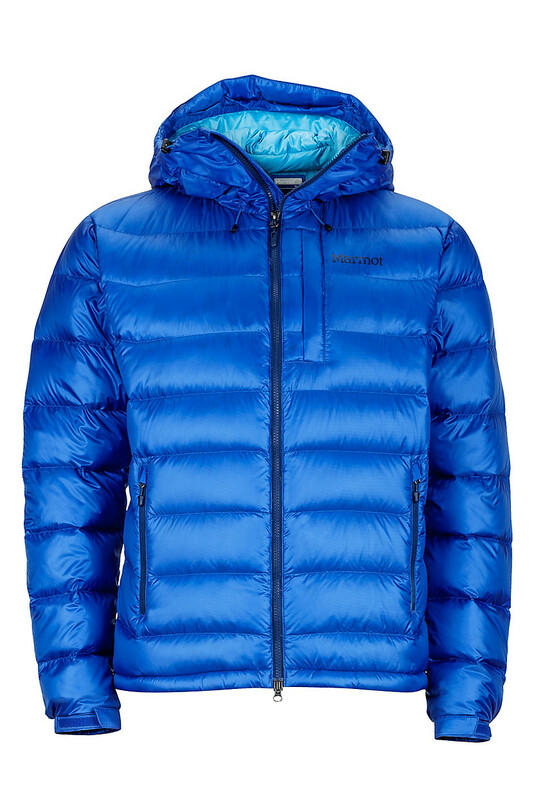 Ultra lightweight, DWR-treated Pertex® Quantum® shell fabric and the best 850-fill-power down available give this jacket an unbelievable ratio of warmth to weight, and compatibility that’s next to nothing. 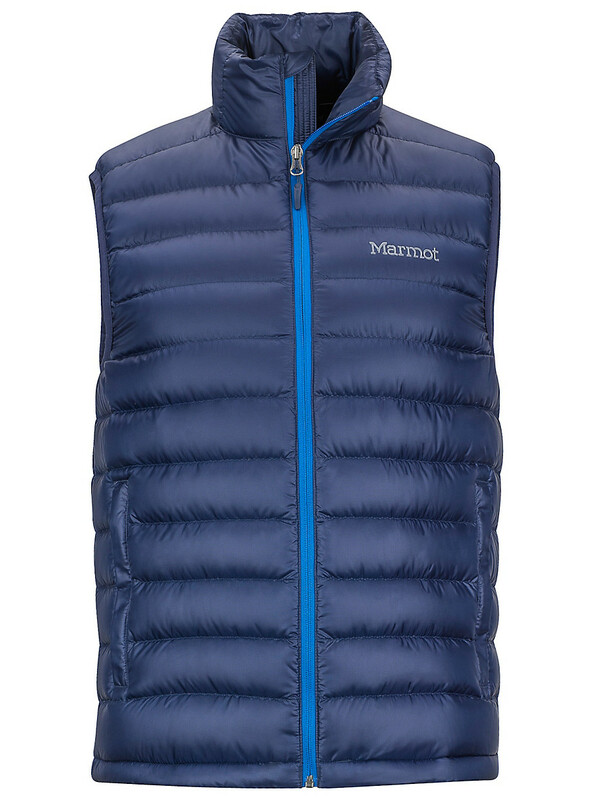 Stuff the coat into its own zippered chest pocket for fast and light packing. 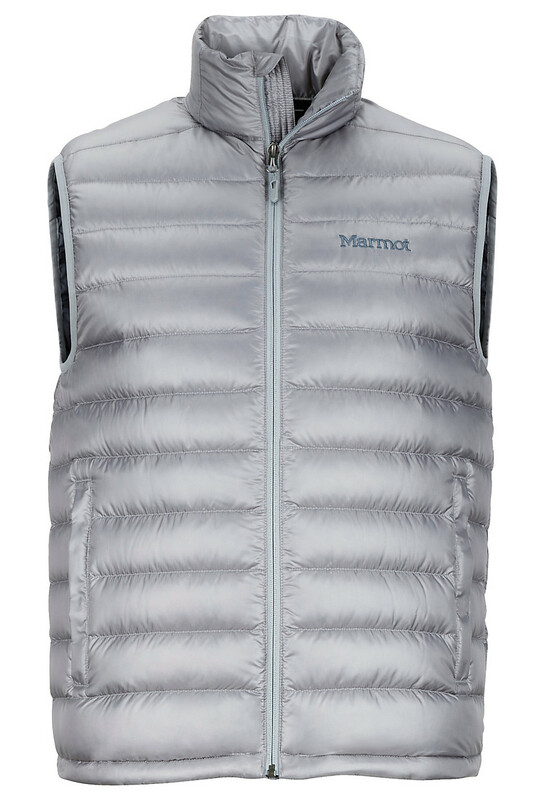 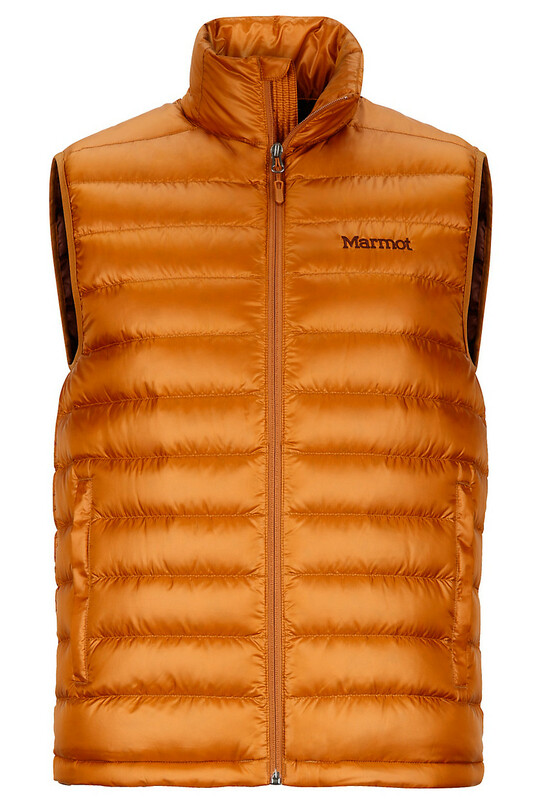 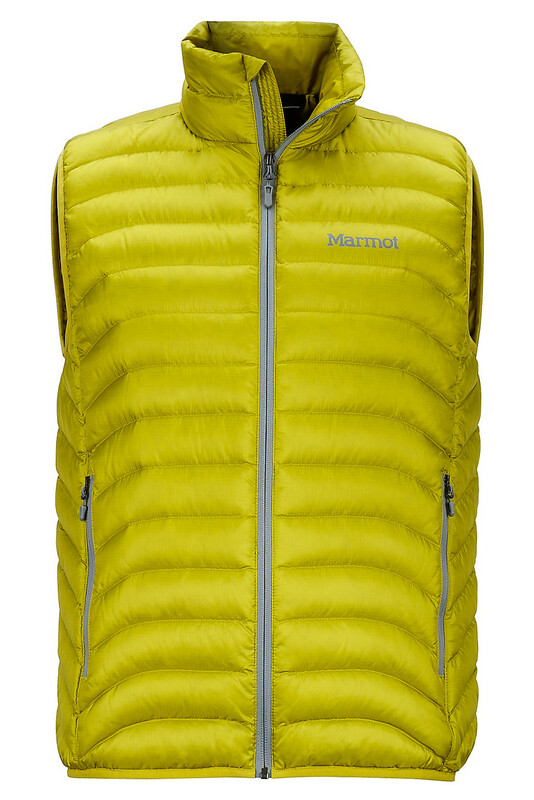 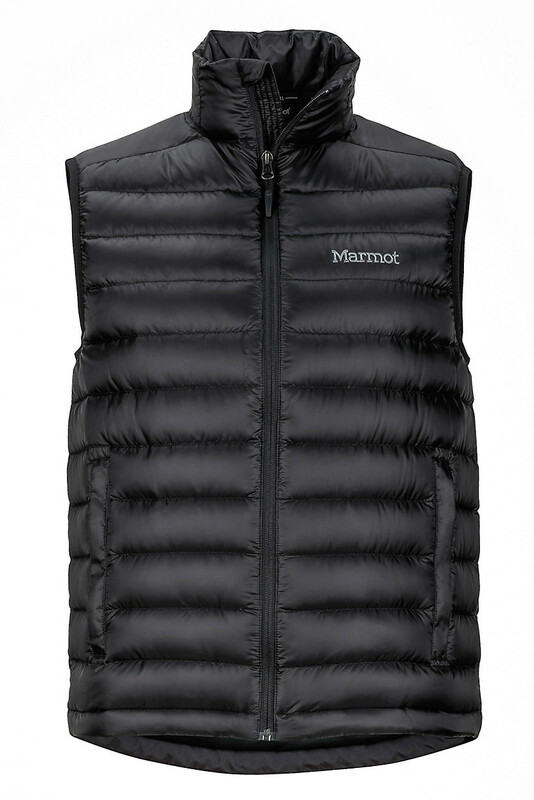 When the mercury plunges, reach for the ultra-lightweight Zeus Vest packed with high-quality 700-fill-power goose down. 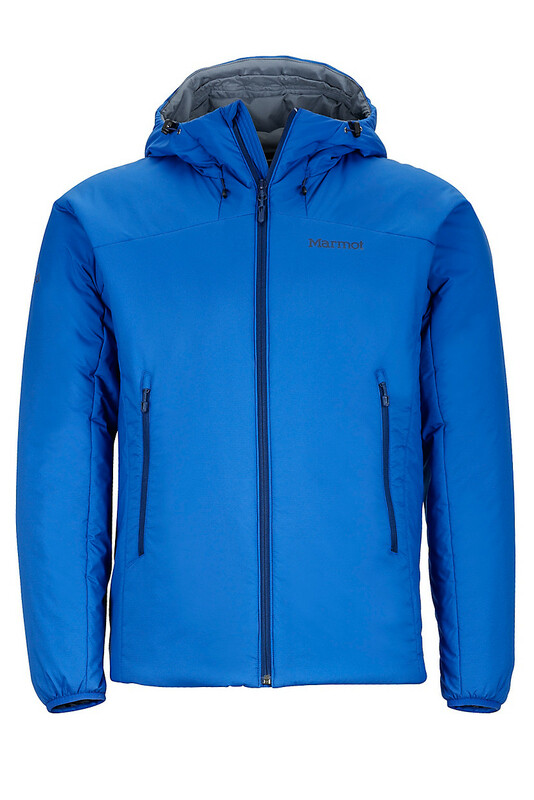 Warmth without bulk, the redesigned Zeus, now treated with Down Defender, is highly compressible and can pack into its own pocket. 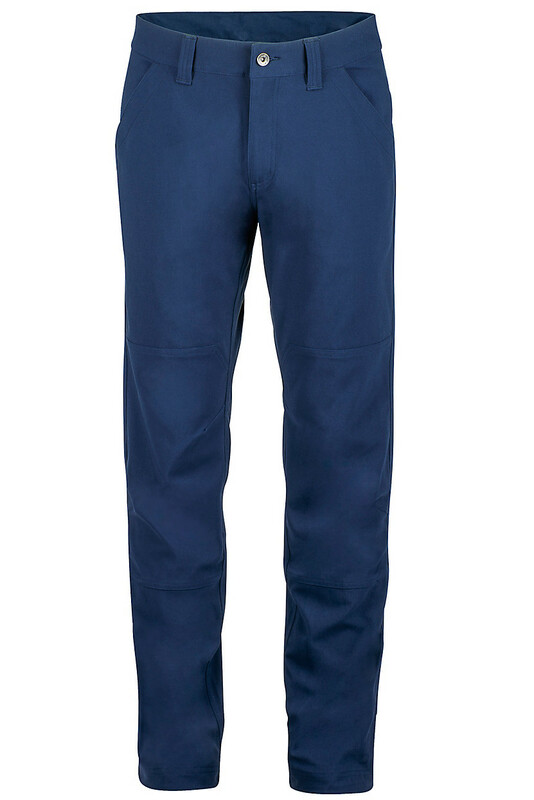 Features include an elastic draw cord hem and zippered hand pockets. Providing warmth without bulk the Calen Hoody is filled with a new Primaloft® Black insulation — an ultra warm and compressible synthetic insulation that has a soft feel and is made with 60 percent recycled fibers. 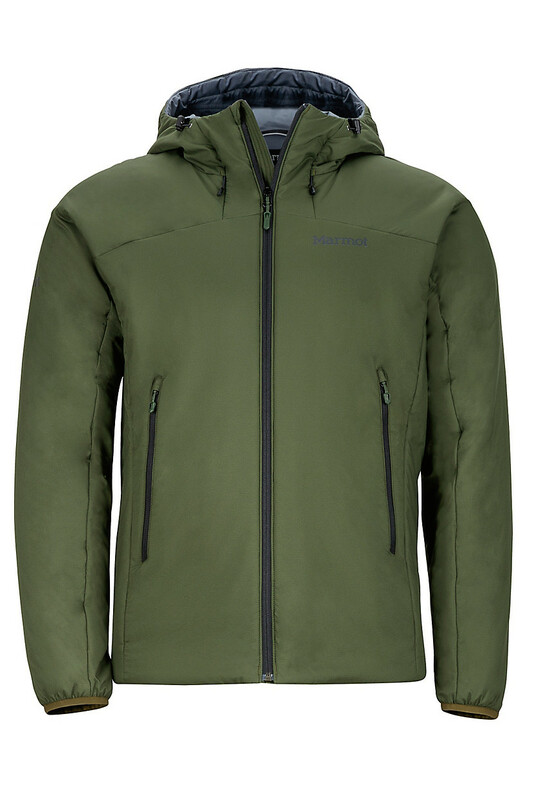 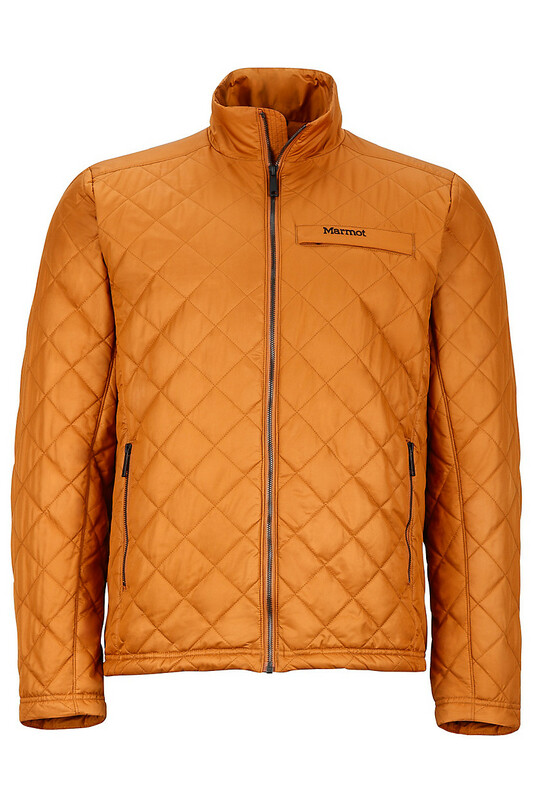 Made with a nylon ripstop fabric and featuring a comfortable DriClime® lined collar, cycle this jacket into the rotation for ever-faithful layering warmth. 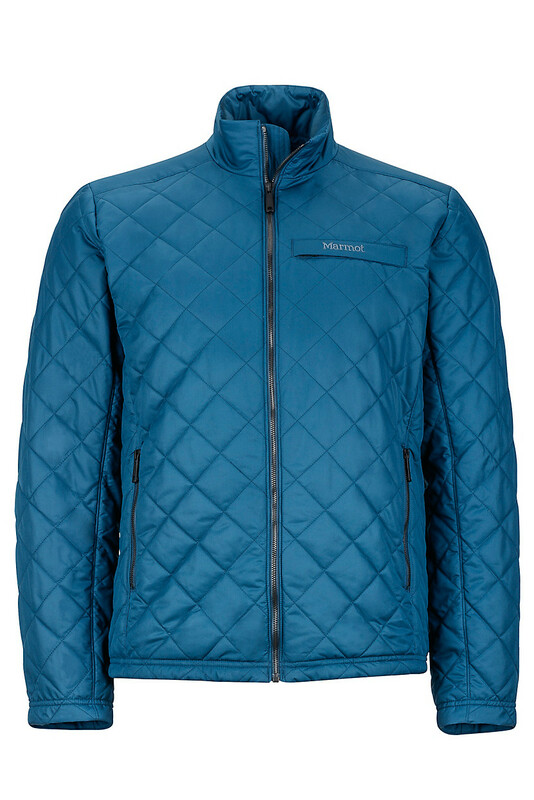 A country gentleman at his finest is never spotted without his Manchester Jacket. 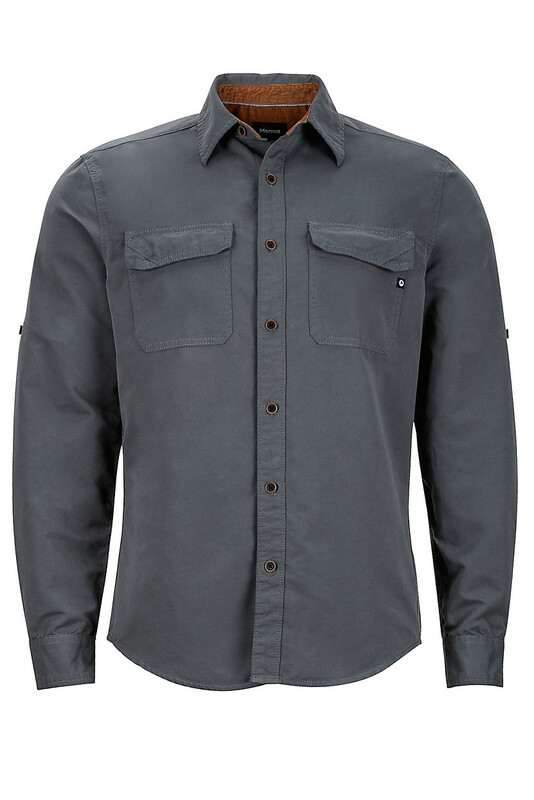 The casual but rugged Manchester is built from a fabric with a cottony feel and lightweight, compressible Primaloft® Back insulation—a synthetic insulation made from 60 percent recycled materials. Zippered hand pockets and an inner pocket offer on-the-go functionality. 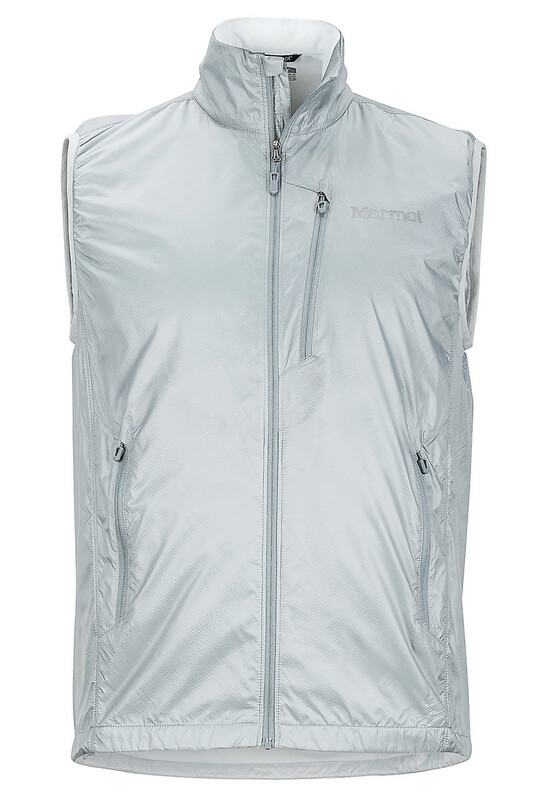 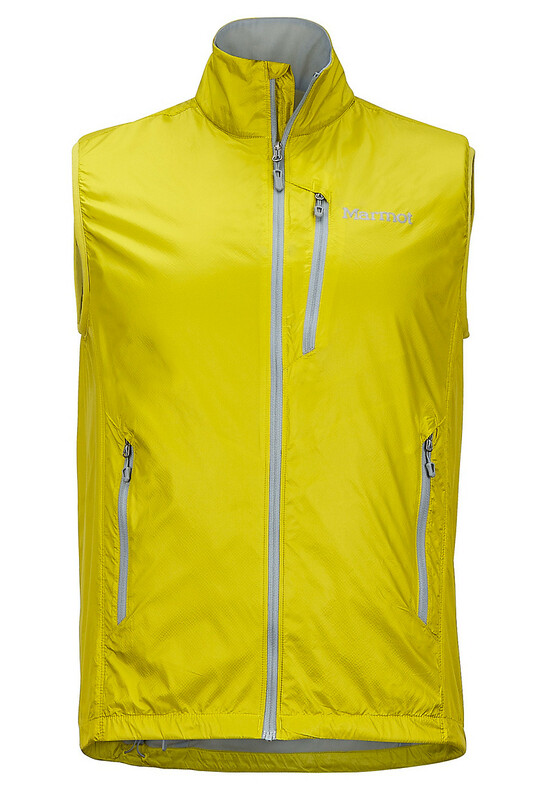 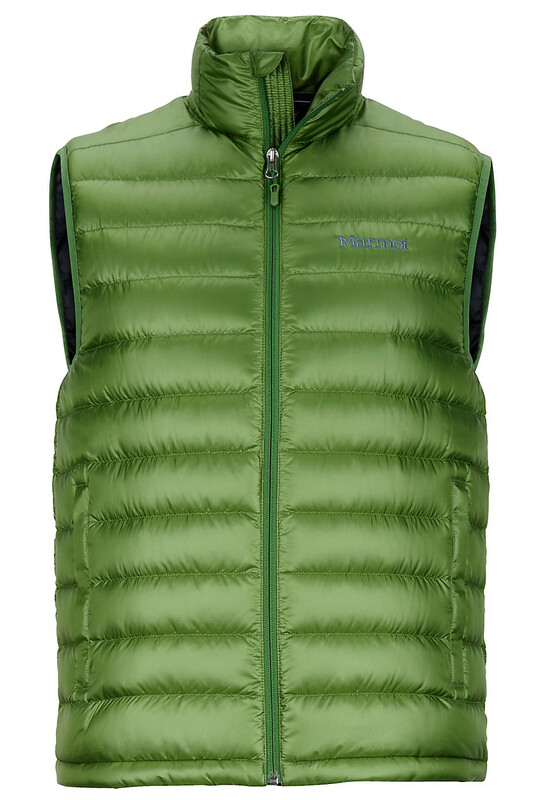 A weather-resistant athletic fitting vest, the Ether DriClime is an ideal layering piece: wear on its own during cool fall mornings, or under a shell when the clouds roll in. 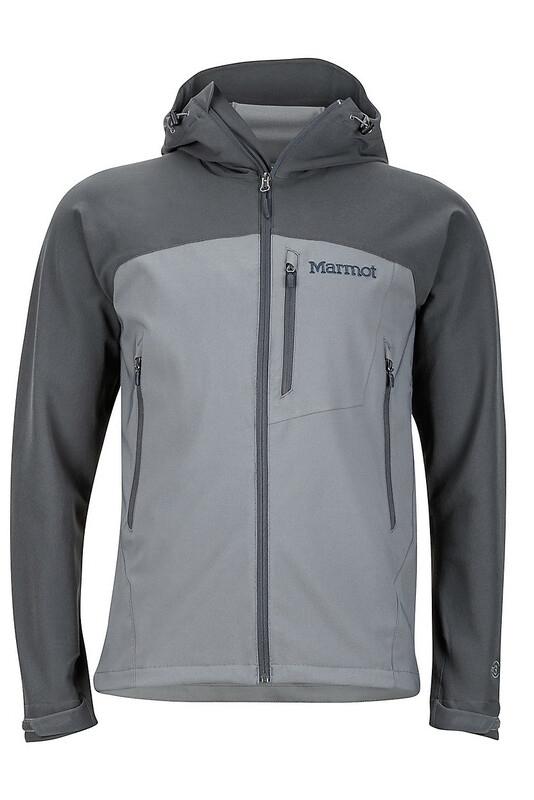 The bi-component wicking lining keeps you dry and comfortable, while versatile zippered pockets keep you organized on the move. 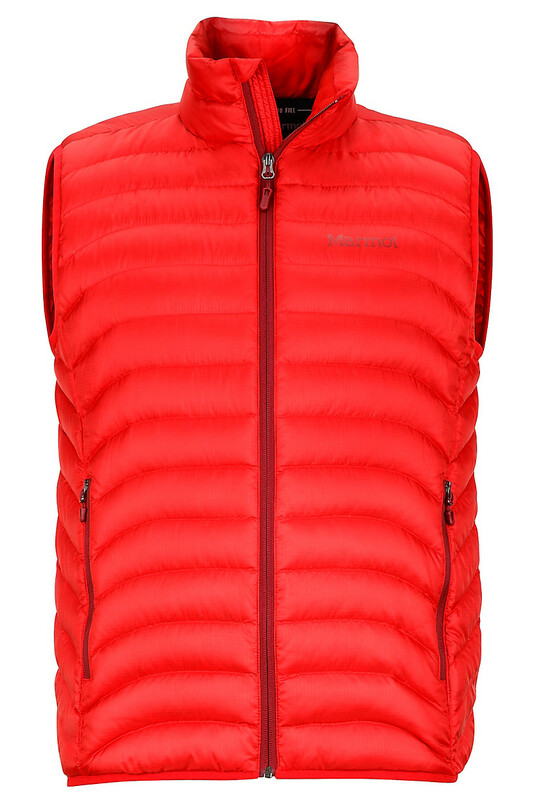 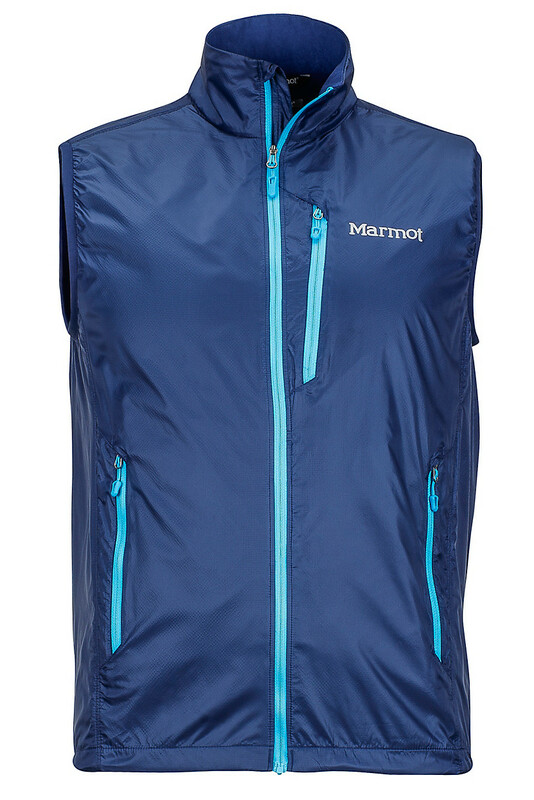 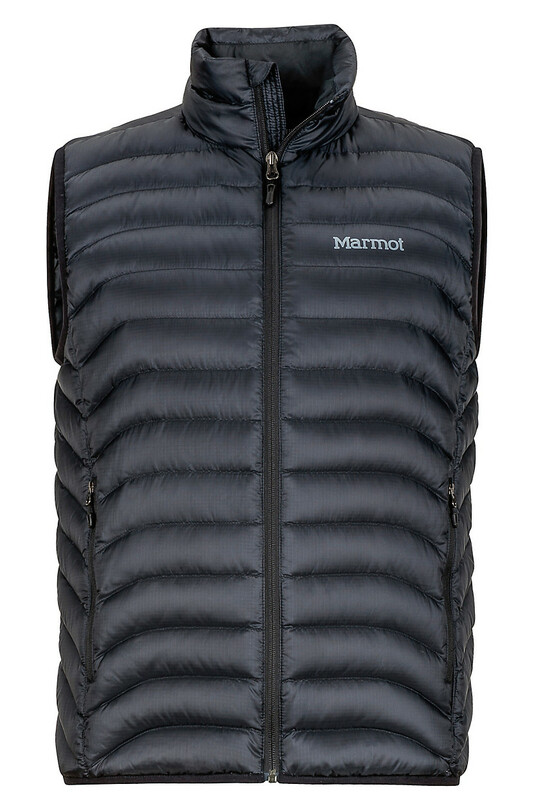 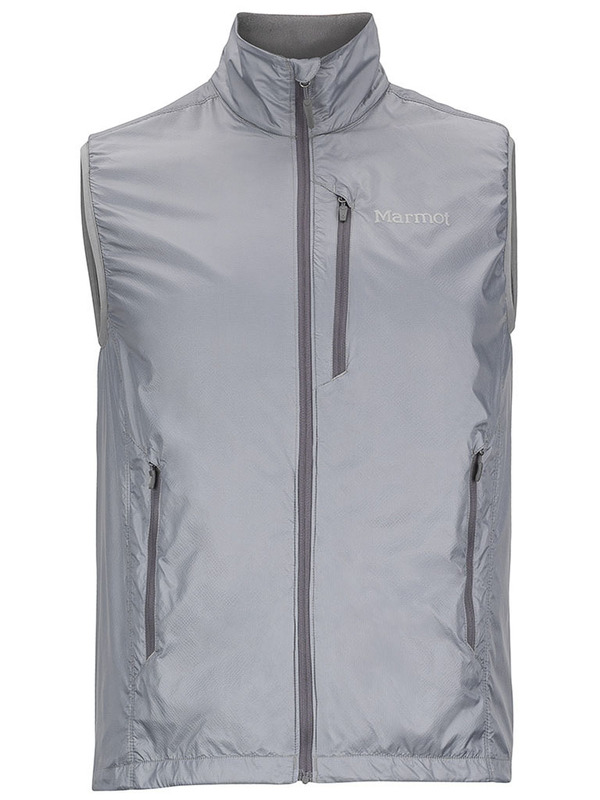 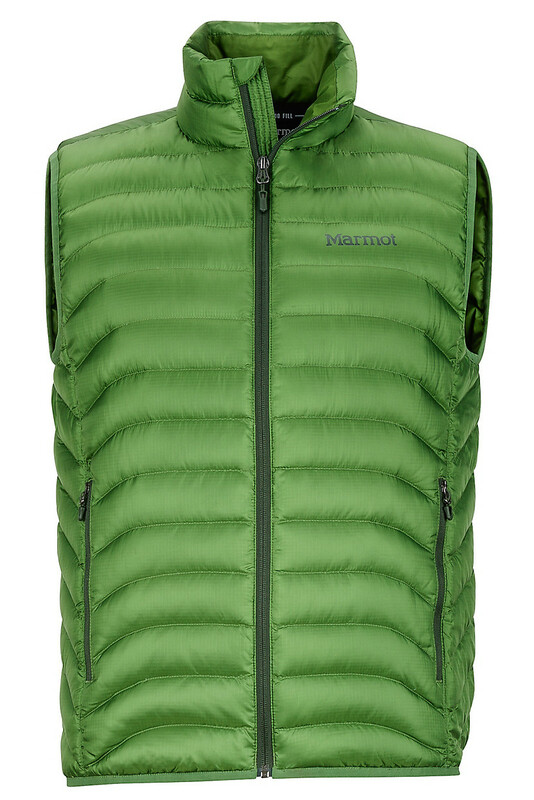 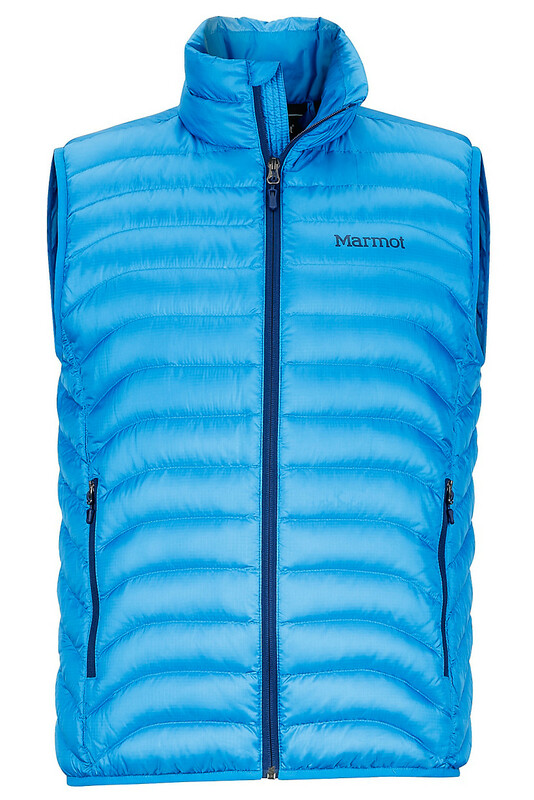 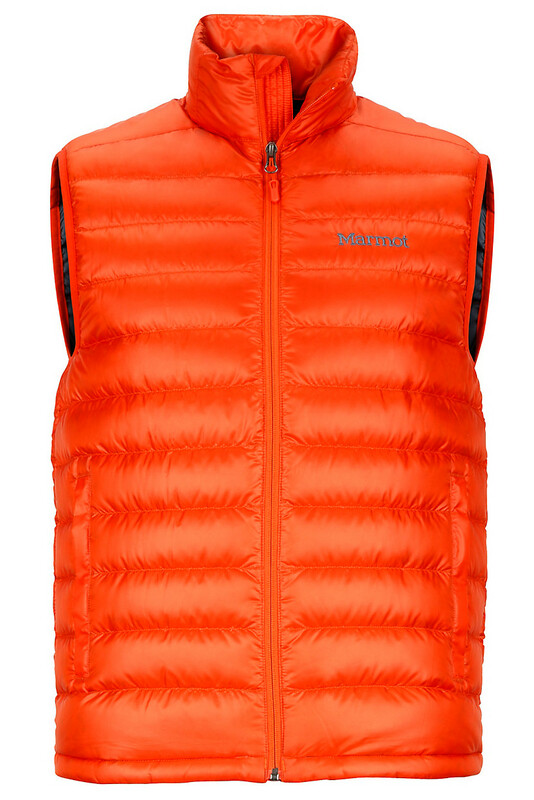 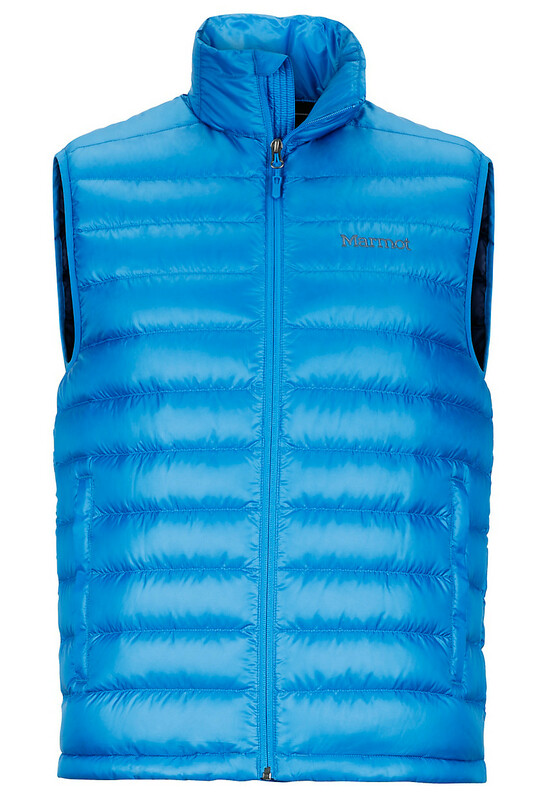 Pack this vest into its pocket and go. 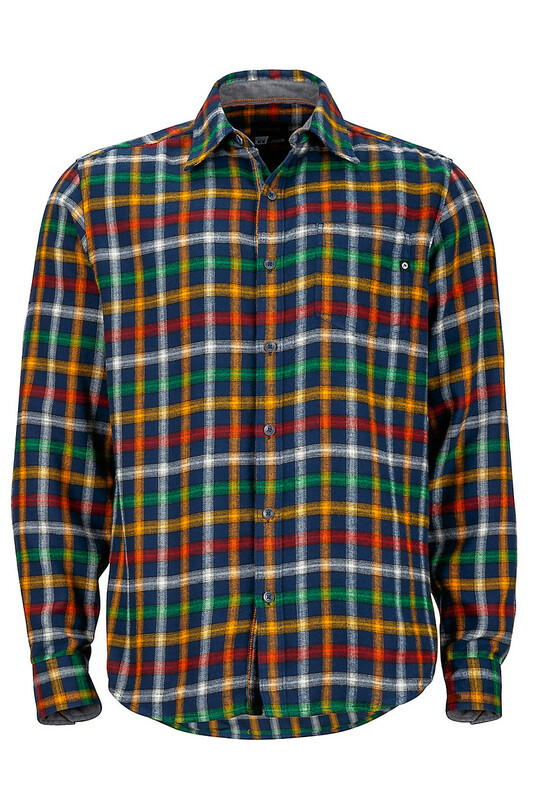 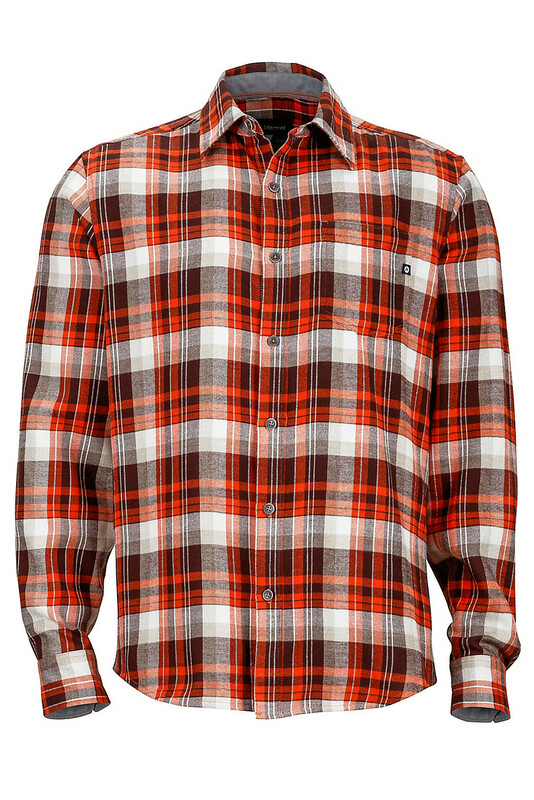 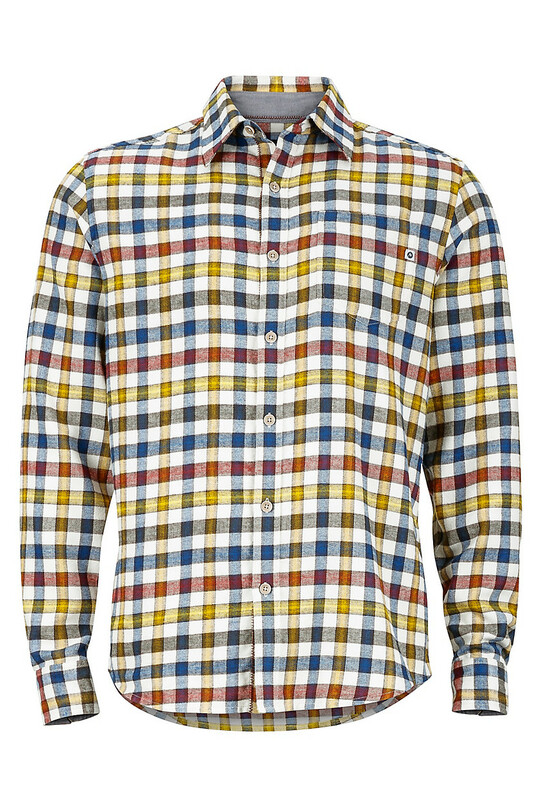 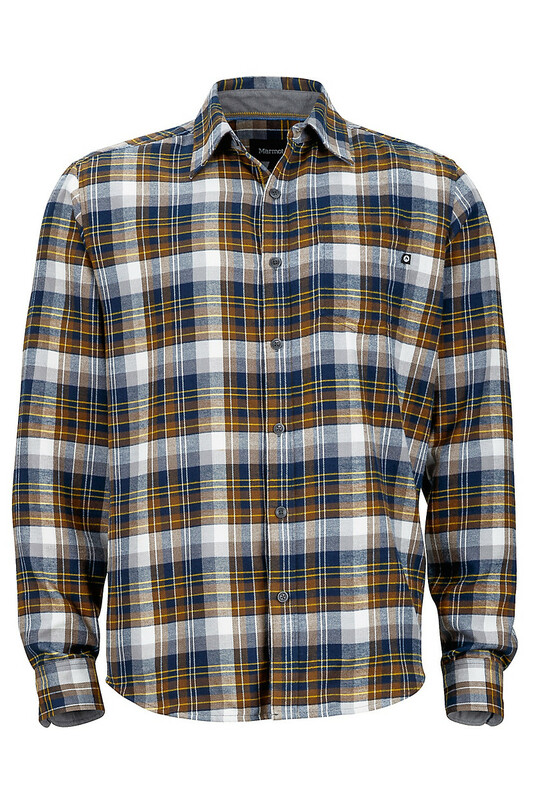 At home hanging at the campground or cruising around on the trail, the Fairfax Flannel is our quintessentially warm, faithfully stylish flannel for all around use and abuse. 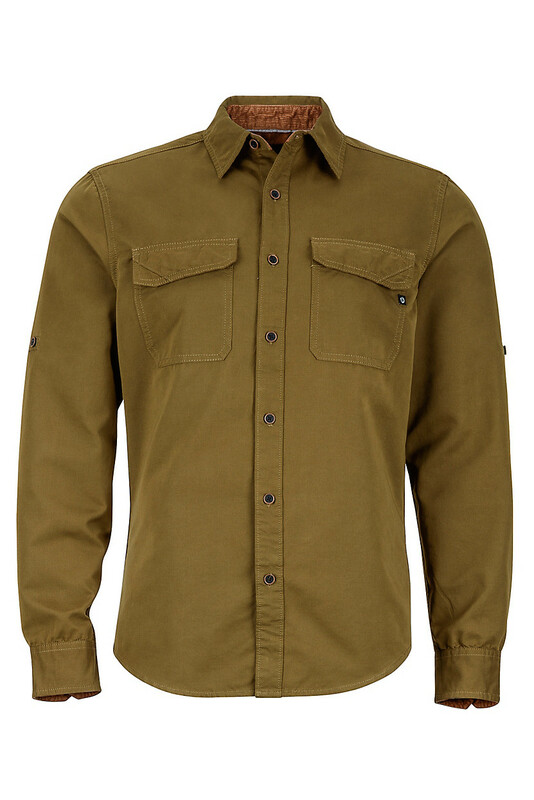 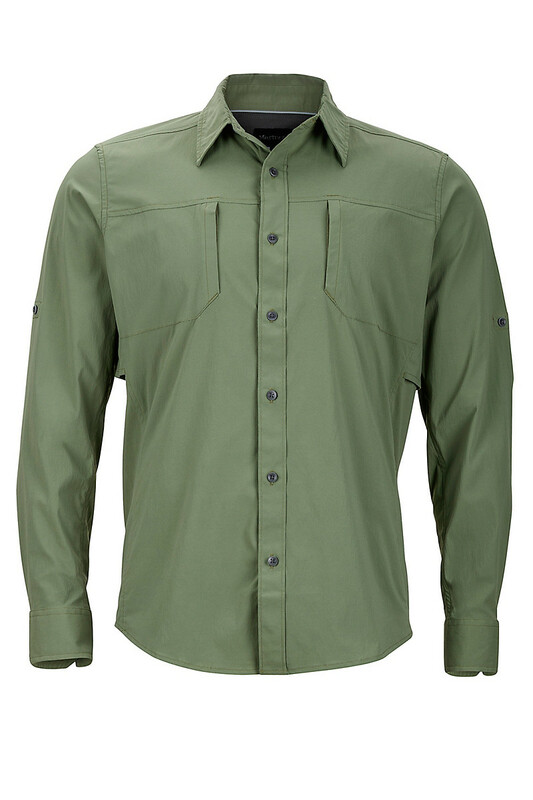 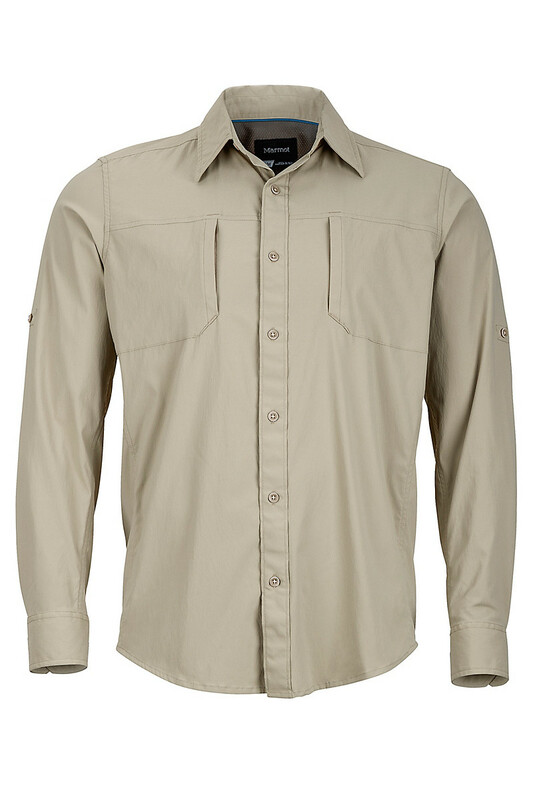 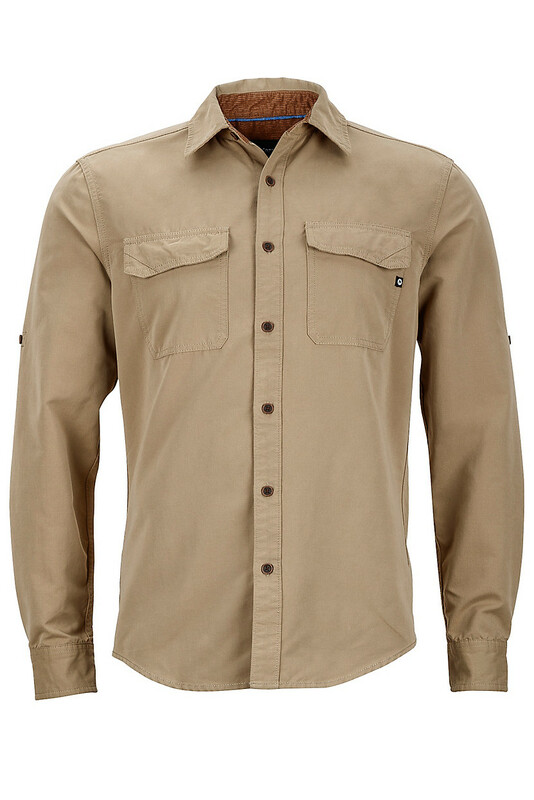 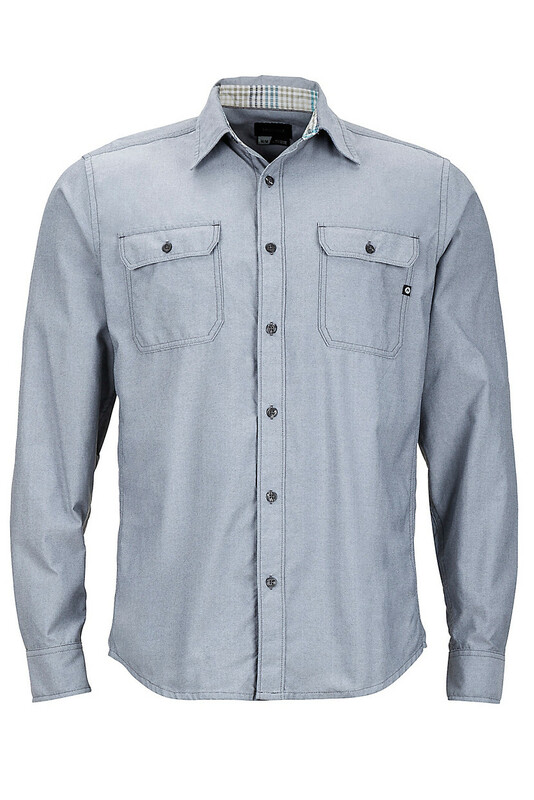 Champagne looks on a PBR budget, the Skyliner Long Sleeve plays a sneaky hand: This lightweight button-up not only looks good, but it performs well. 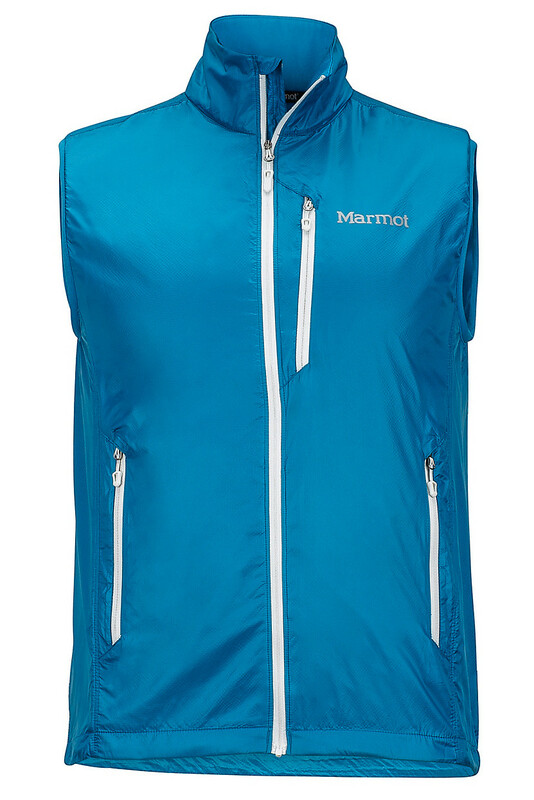 Tally up the perks — a breathable, stretch fabric that is woven for max sun protection, unrestrictive underarm gusset panels and durable seams — and you have yourself a steal. 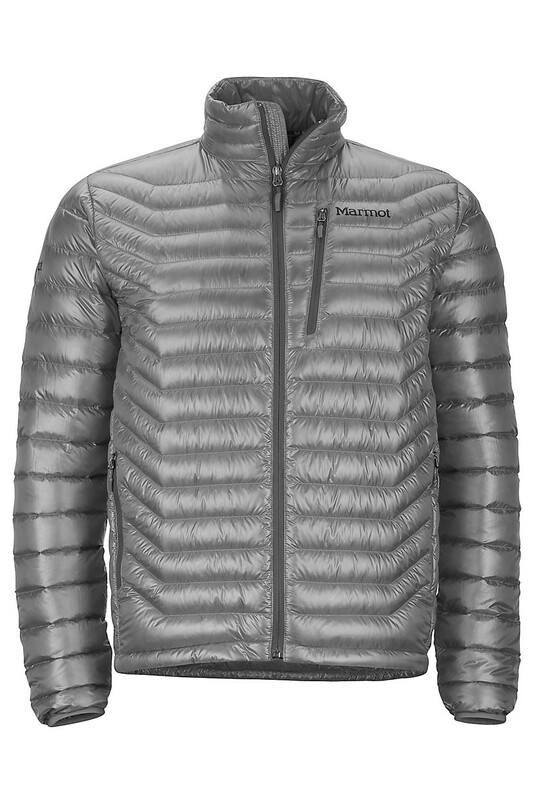 The intersection of flat and mountainous landscapes in the desert is the stuff of dreams. 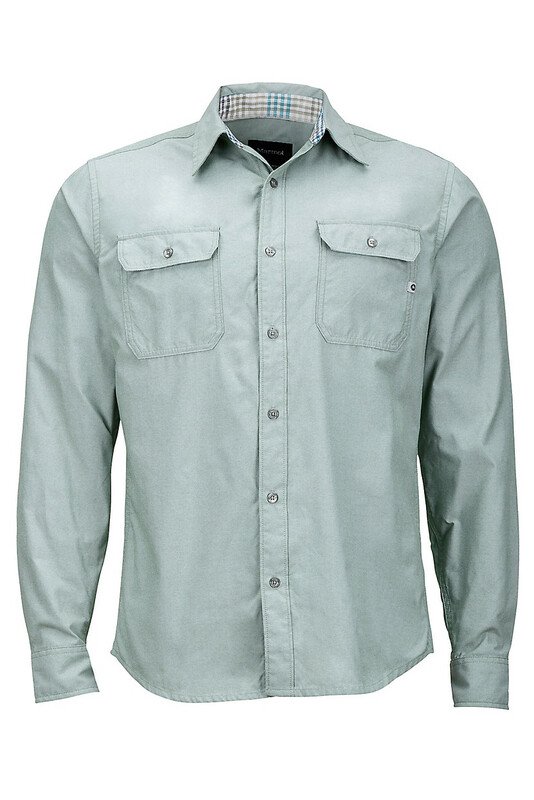 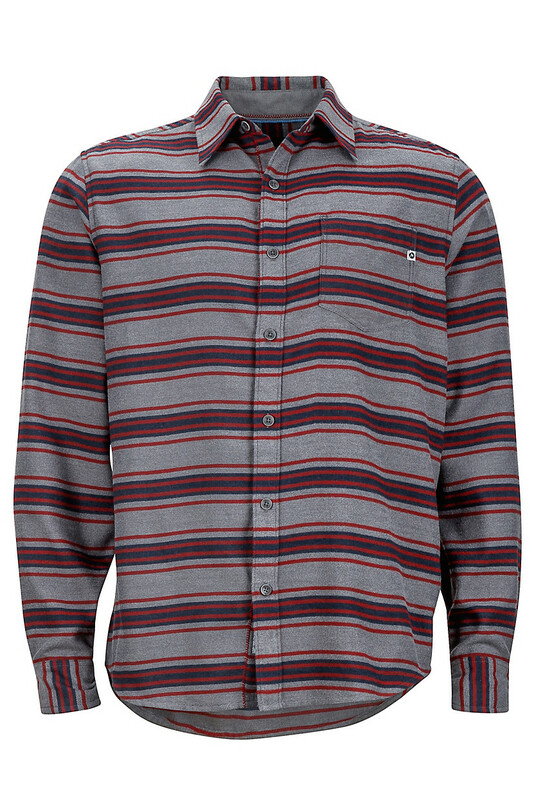 Wake up to all the topography when you pull on this durable, performance button-up on a cold desert morning. 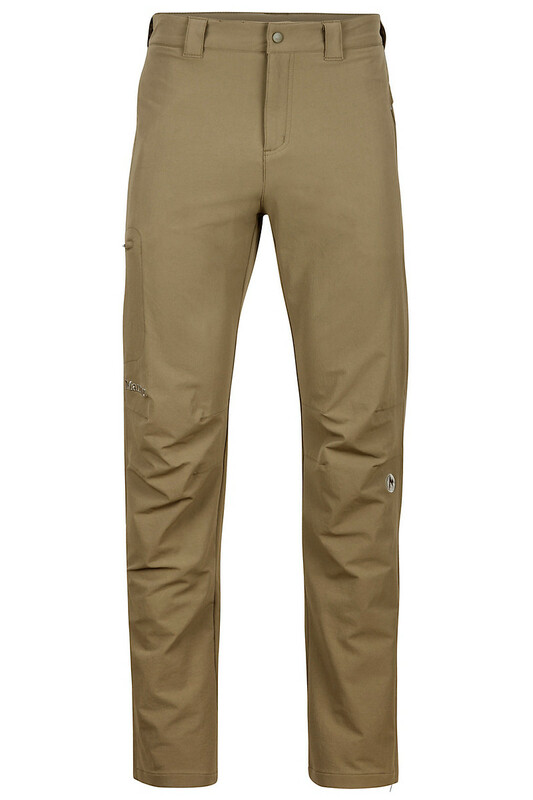 The Montara Pant will rally for a jaunt up a sandstone boulder, a quick lap on a splitter crack or a last minute trip into town. 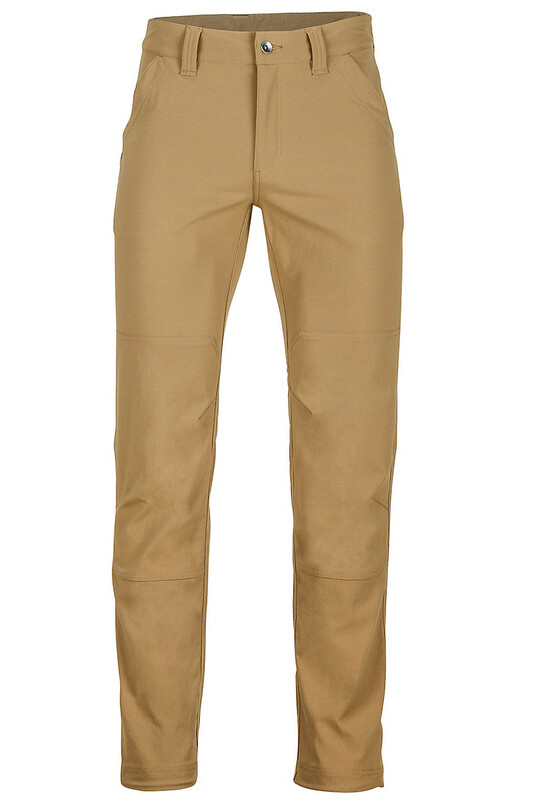 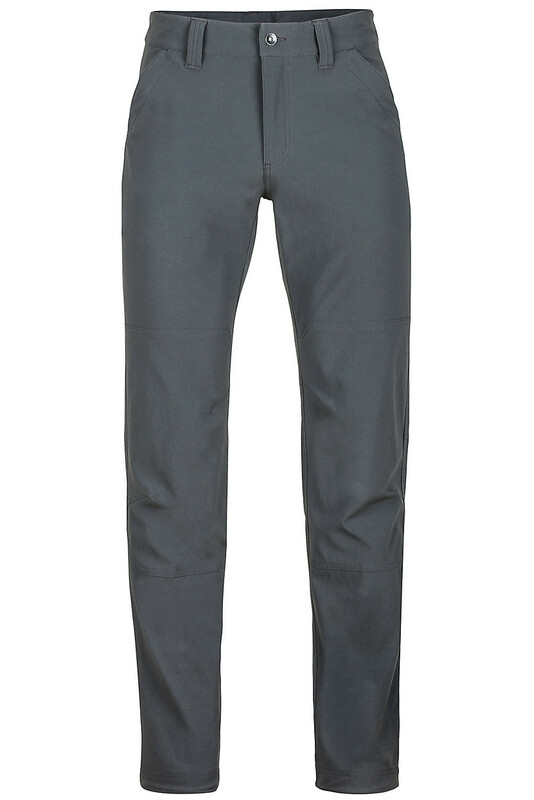 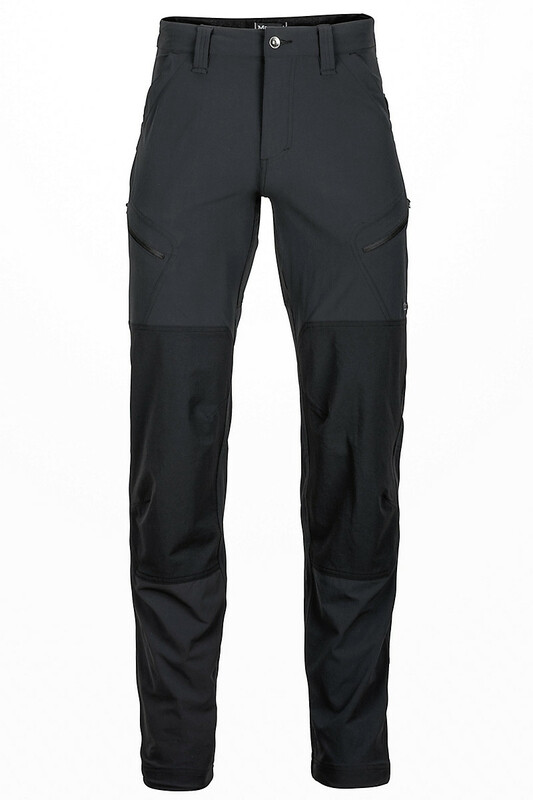 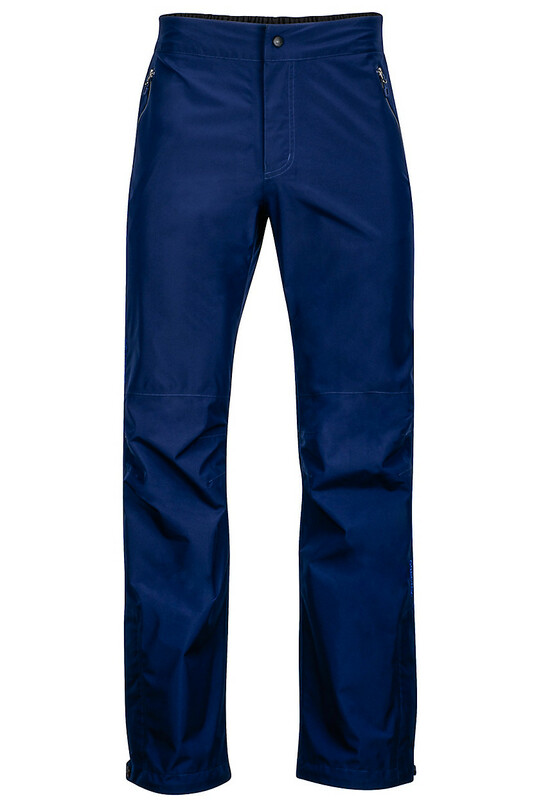 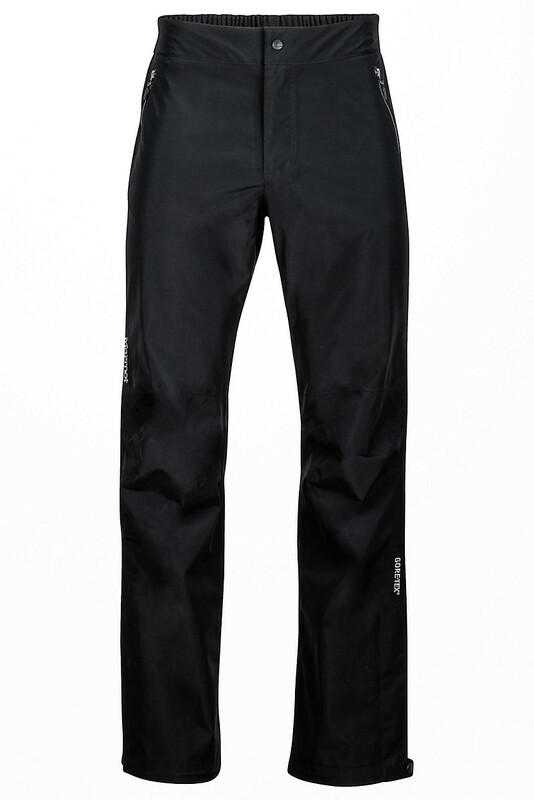 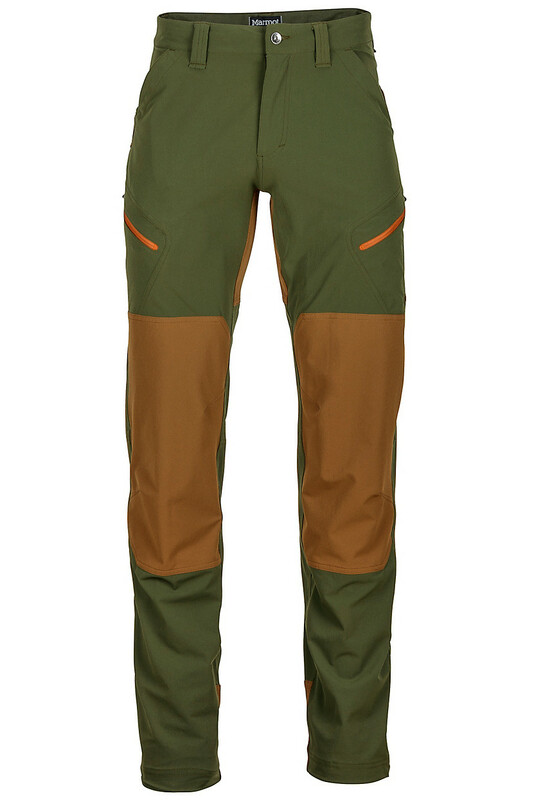 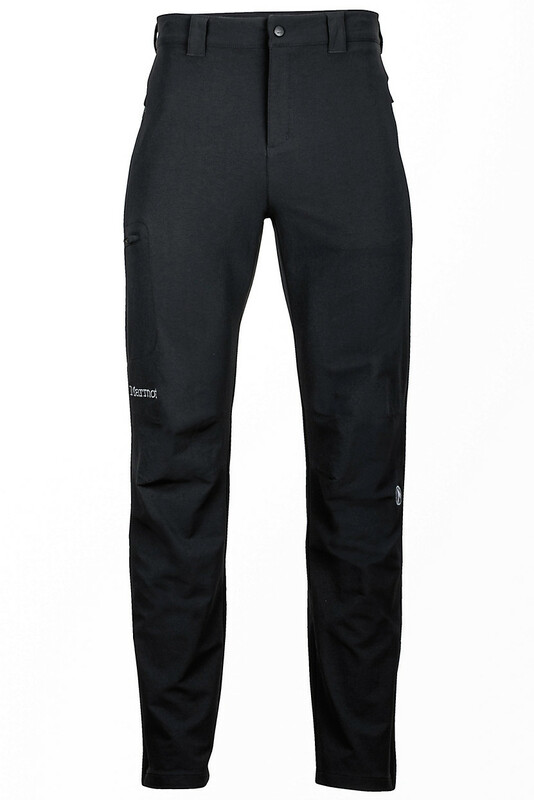 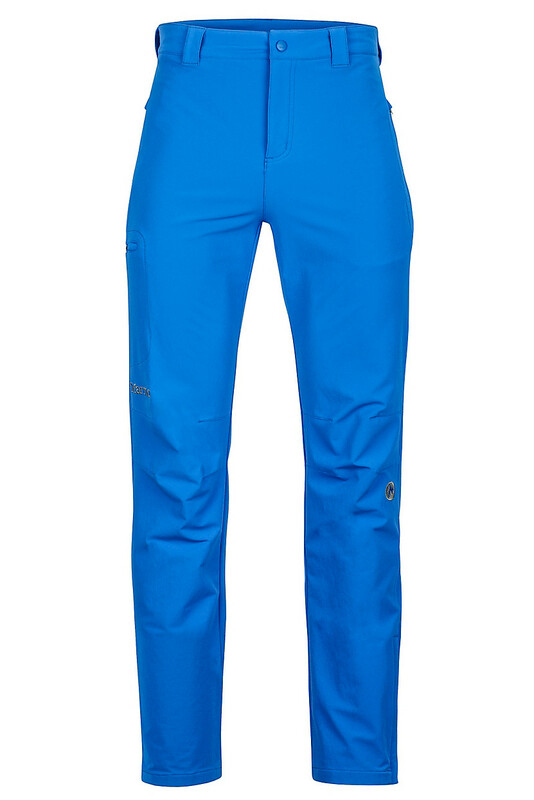 This good-looking pant is constructed with an abrasion-resistant nylon fabric that is DWR-treated and quick-to-dry. 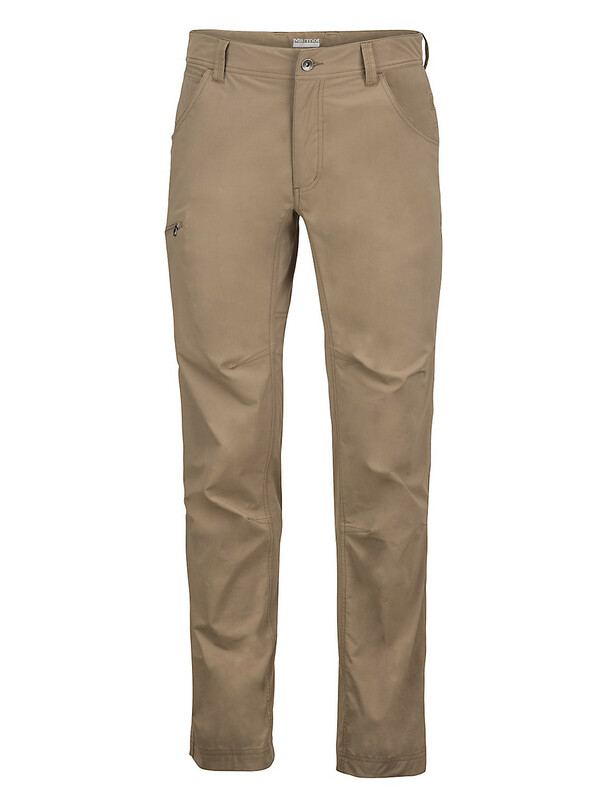 An inseam gusset and added stretch allow you the type of no-holds-barred movement that is the difference between the victorious send and yet another fall. 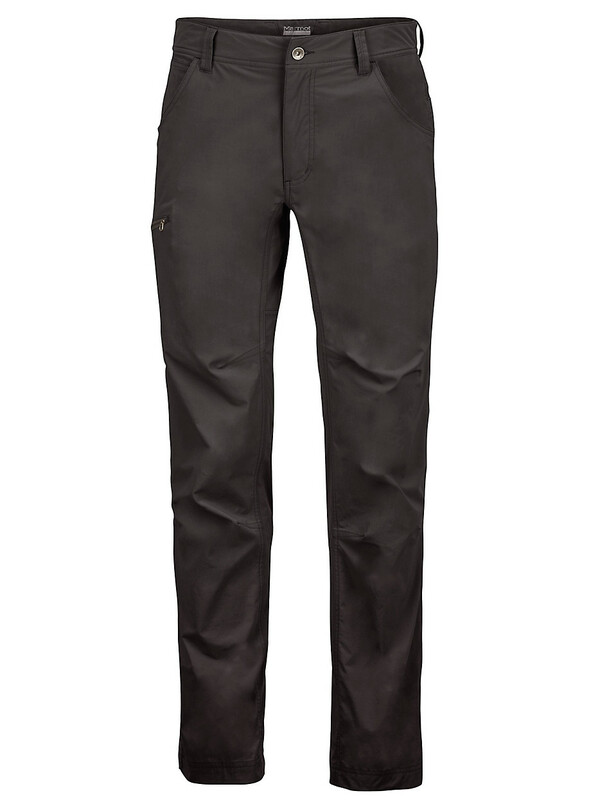 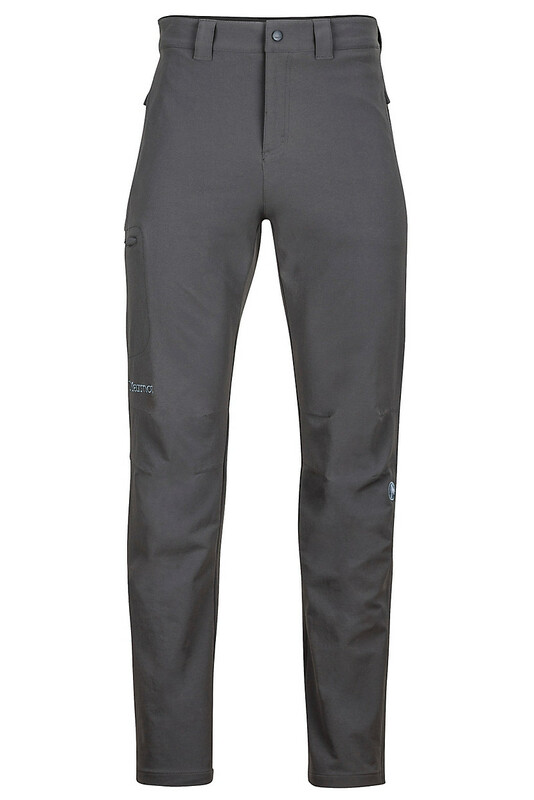 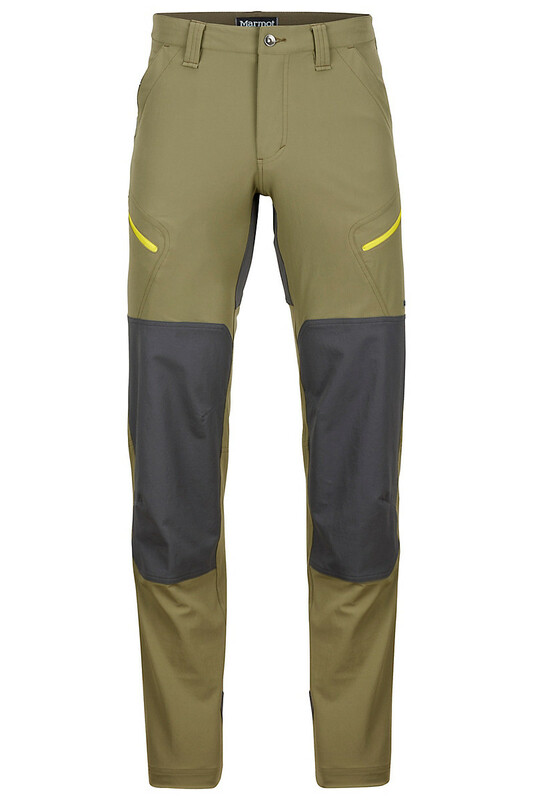 This pant has a variety of hand and zippered pockets. 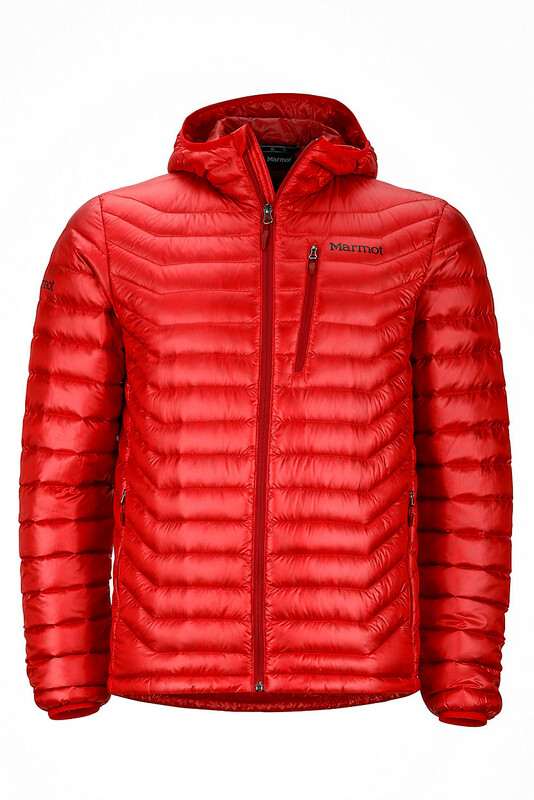 Modern shelters or century-old stone huts, New Zealand has hundreds of backcountry shelters. 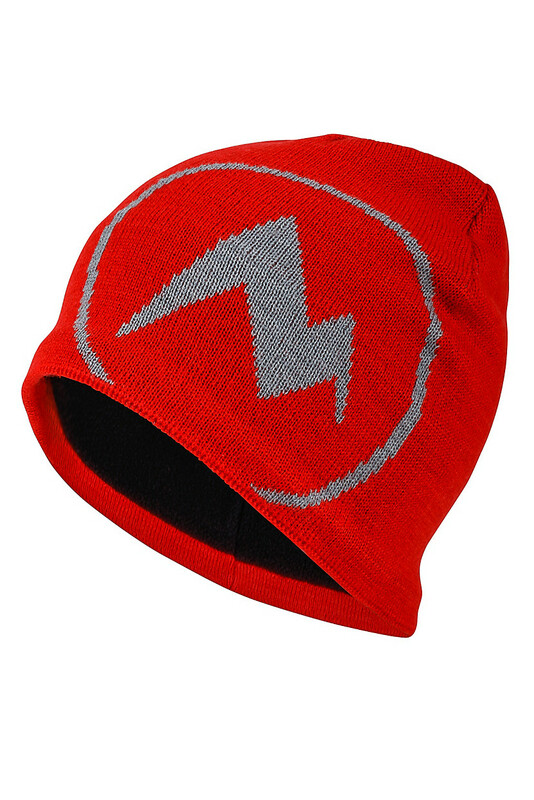 Close your eyes, drop a finger on the map and hit a bull's eye any way you play it. 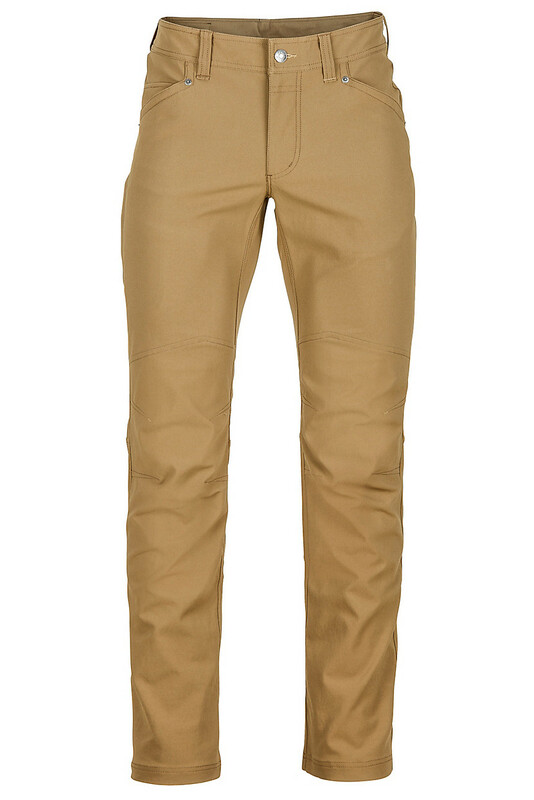 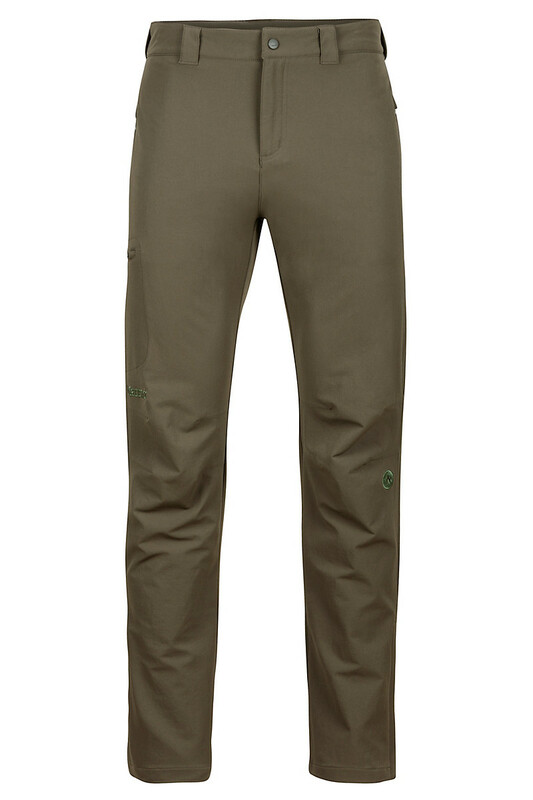 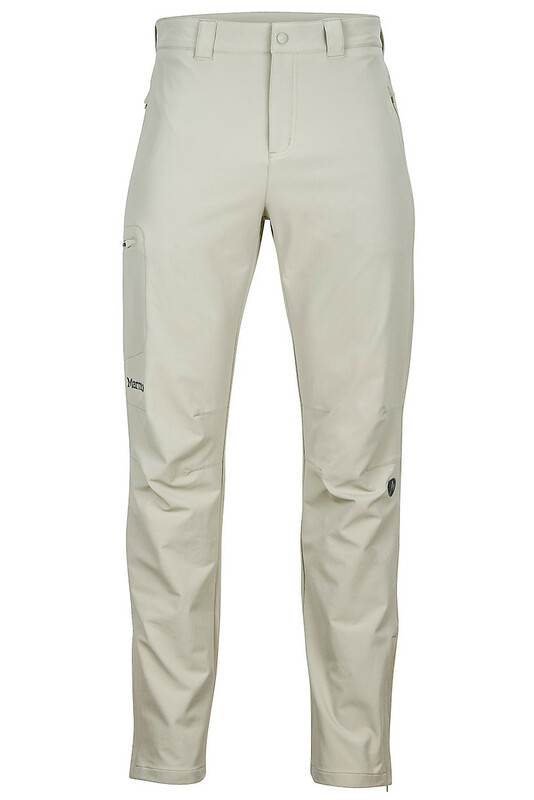 Kind of like the reliable, clean-cut Citadel Pant, a durable, nylon pant that hikes, travels and plays it cool in town. 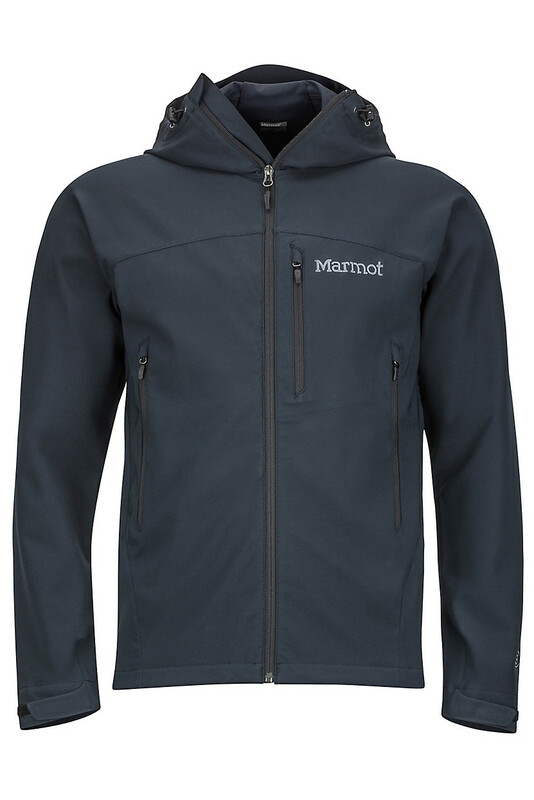 A windy climbing day in France followed by a rest day via ferrata, it's all about checking out as much of the landscape as possible. The versatile softshell Limantour Pant packs enough function and durability for the most motivated among us. 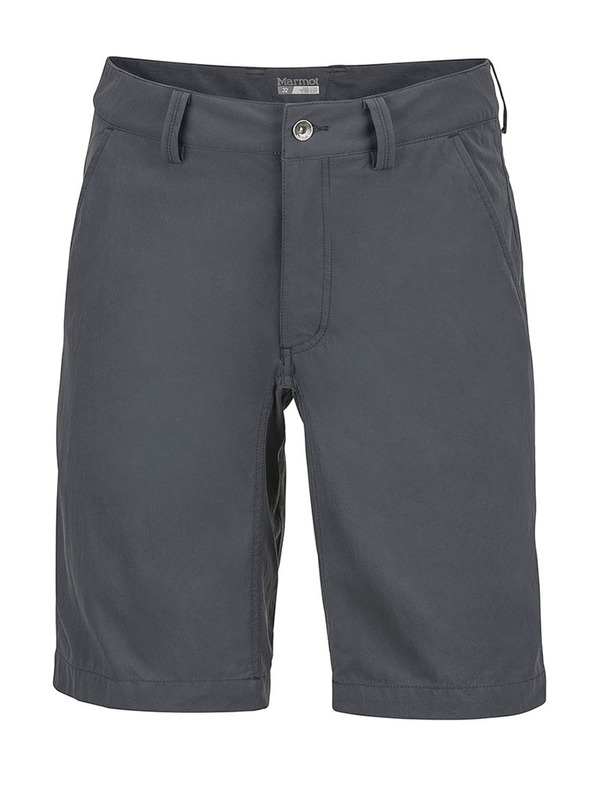 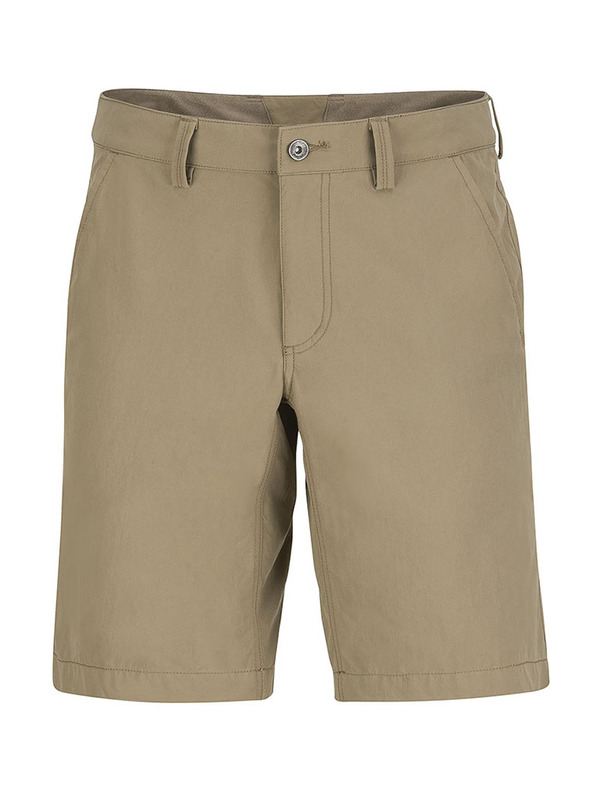 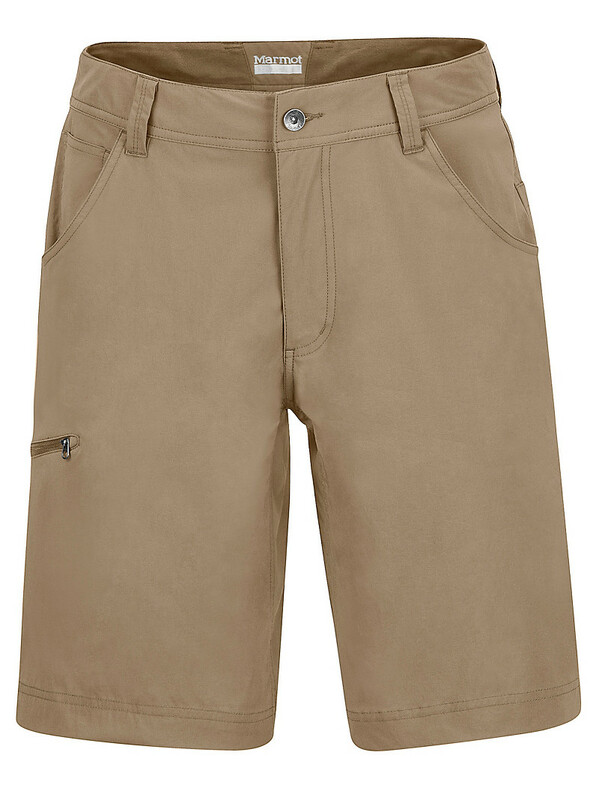 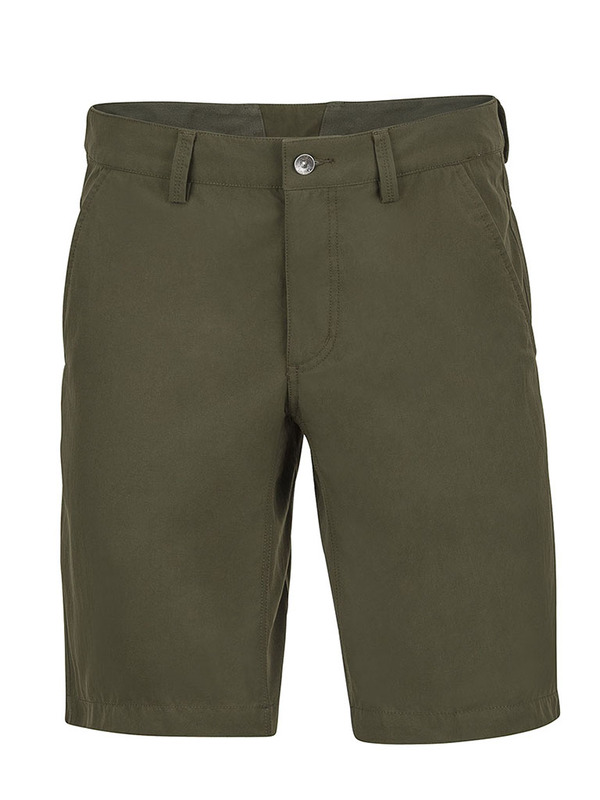 There are no bells and whistles on the Harrison Short’s clean silhouette, but its technical fabric performs just fine. 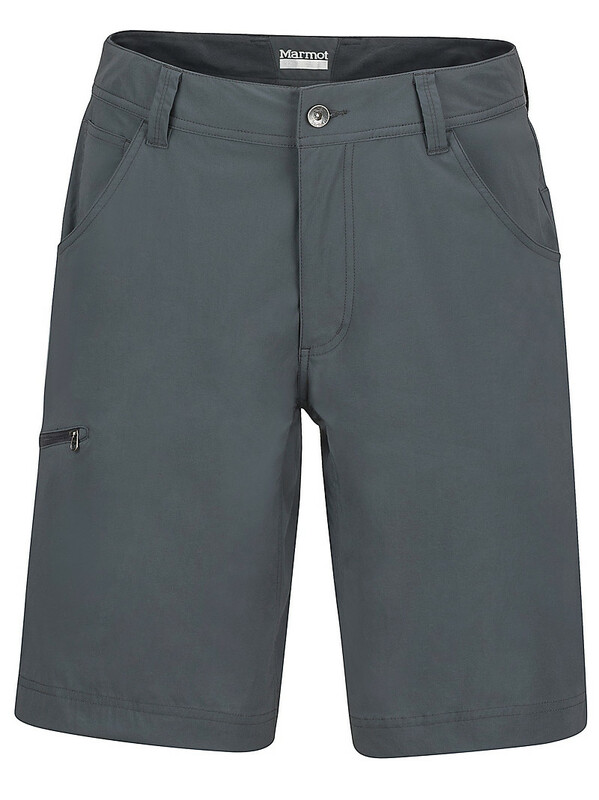 The abrasion-resistant, quick-drying nylon and wicking bi-component waistband make this lightweight short highly breathable and ultra wearable. 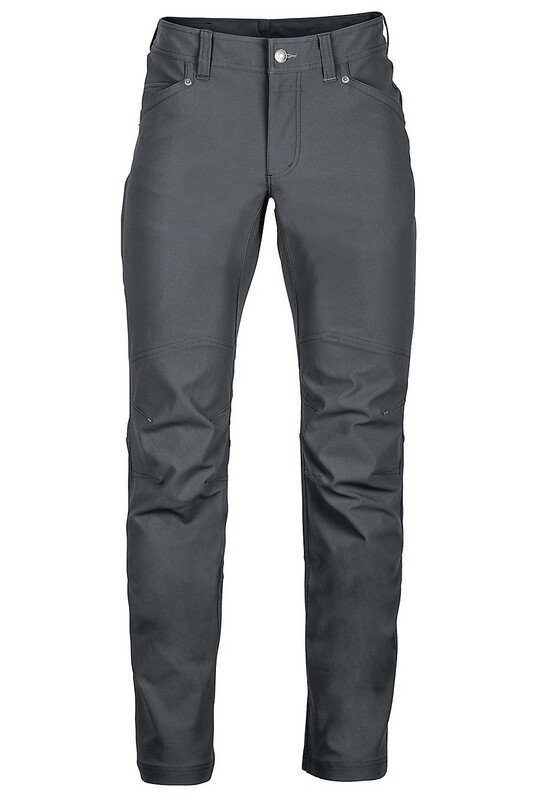 For the final touch: a DWR finish, gusseted crotch and two front hand pockets. 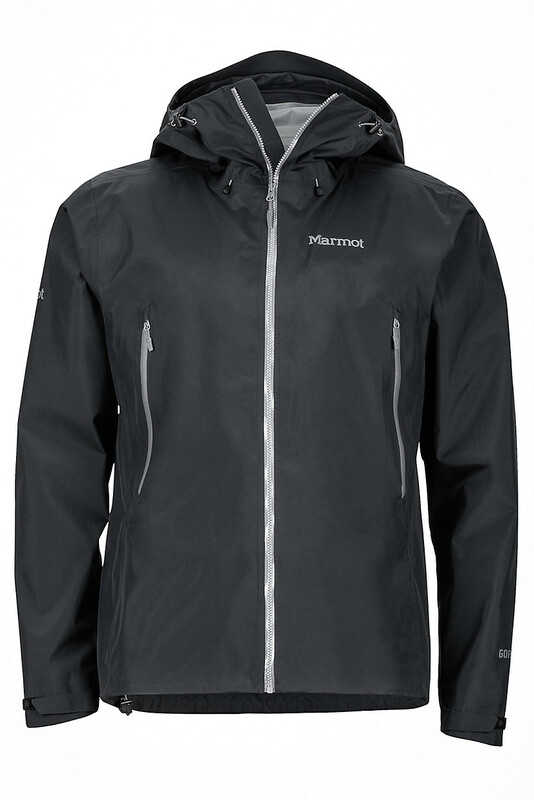 We all need a personal day, and you save yours up for when the latest storm cycle delivers. 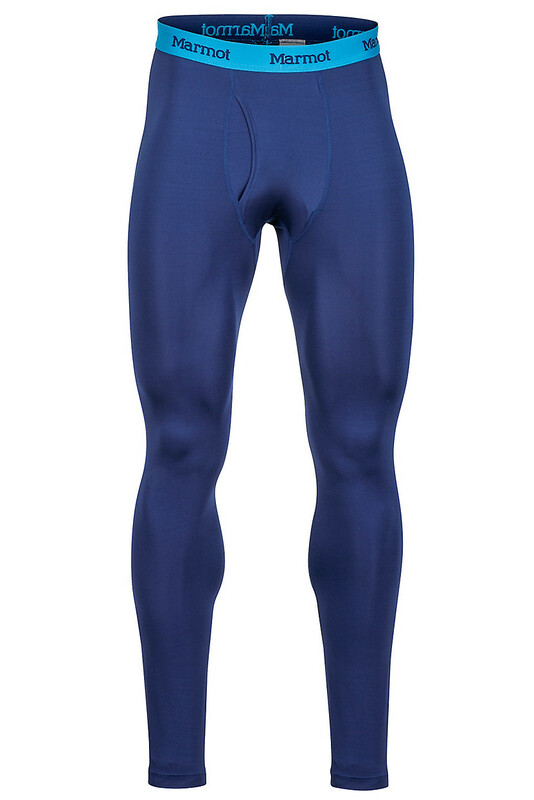 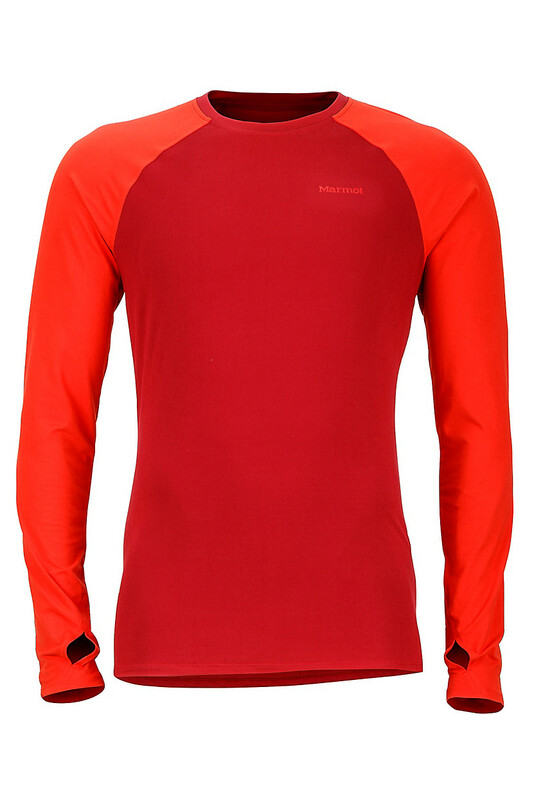 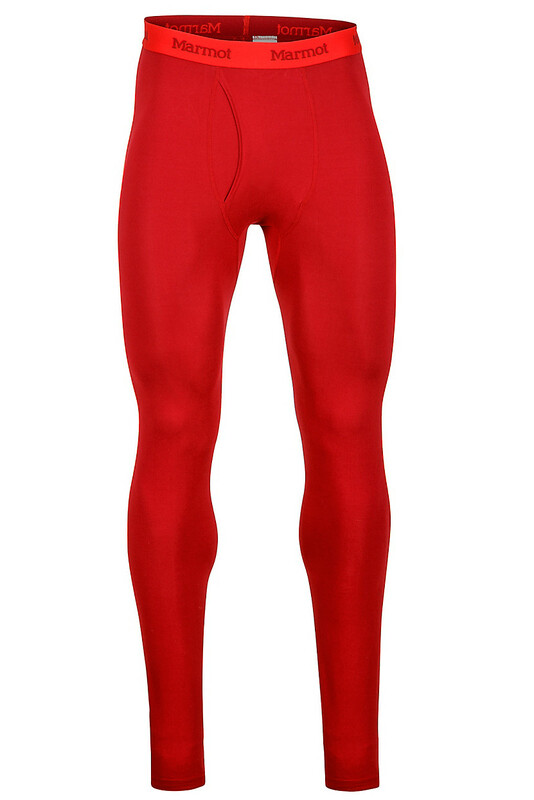 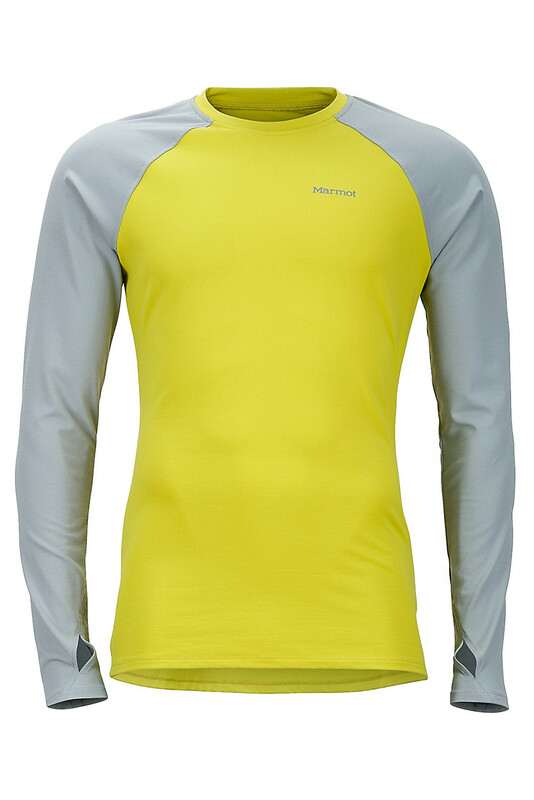 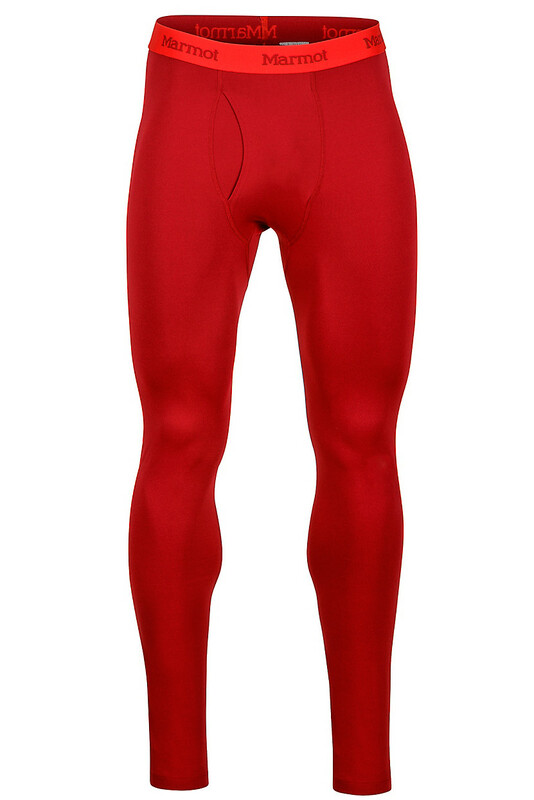 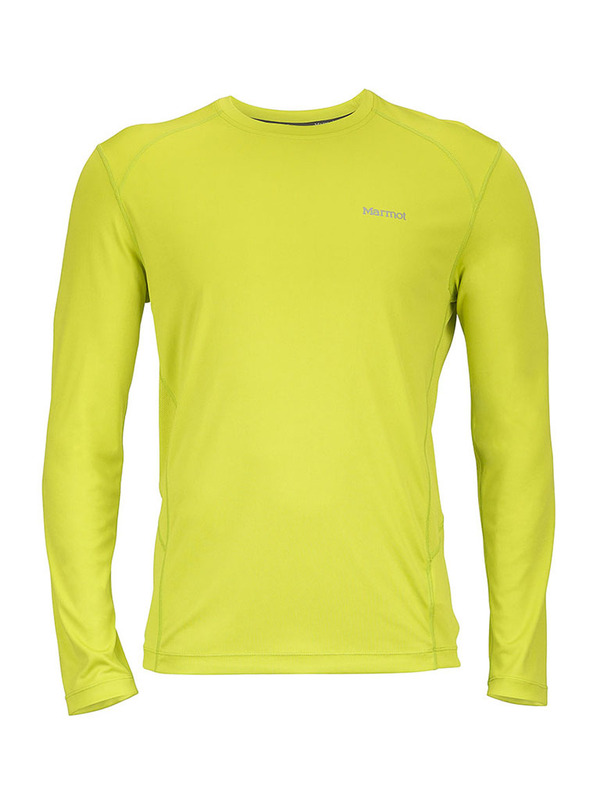 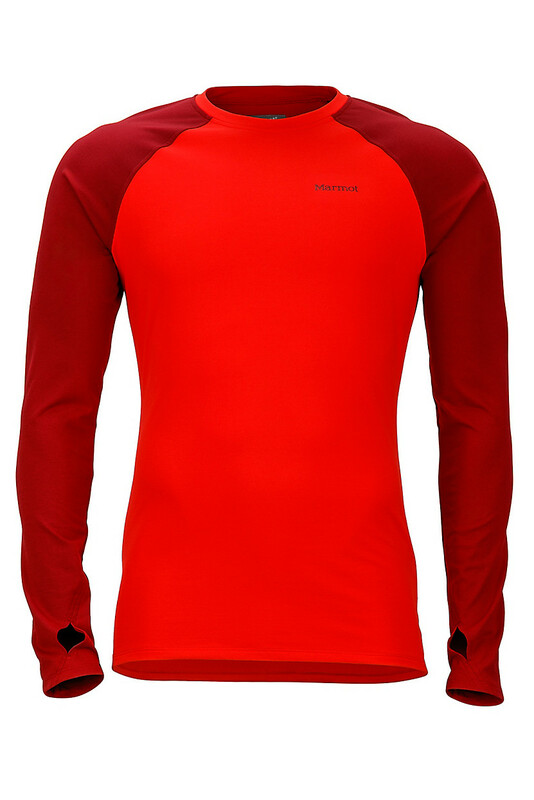 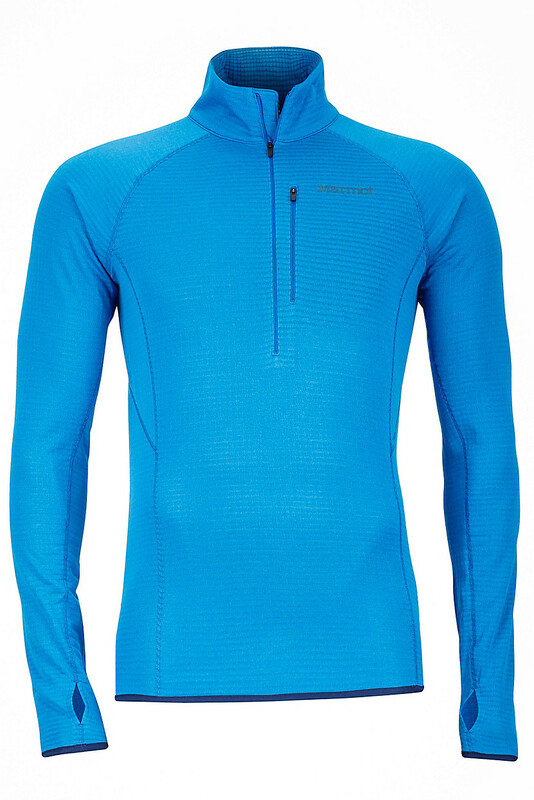 Get ready for a long, well earned day off work in this athletic-fitting performance baselayer. 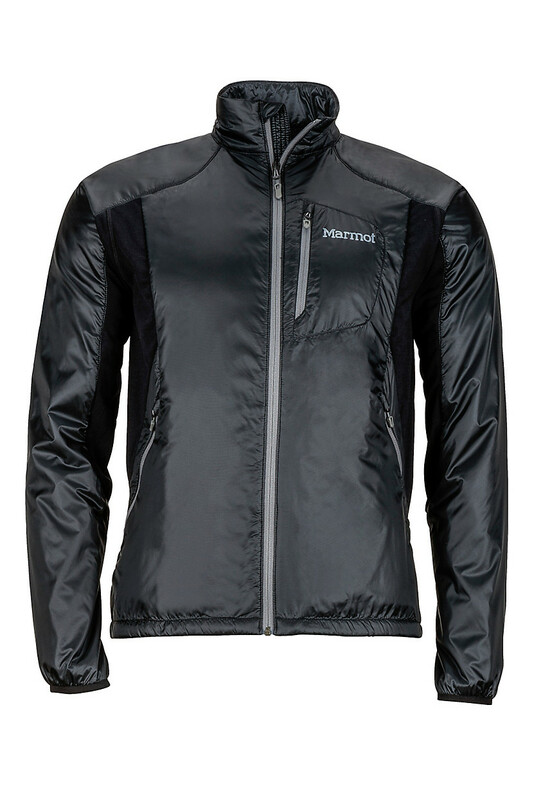 When you bank on perfect conditions, the Kestrel ½ Zip provides a solid base of warmth and moisture-management to start the layering for the day's big, big fun. 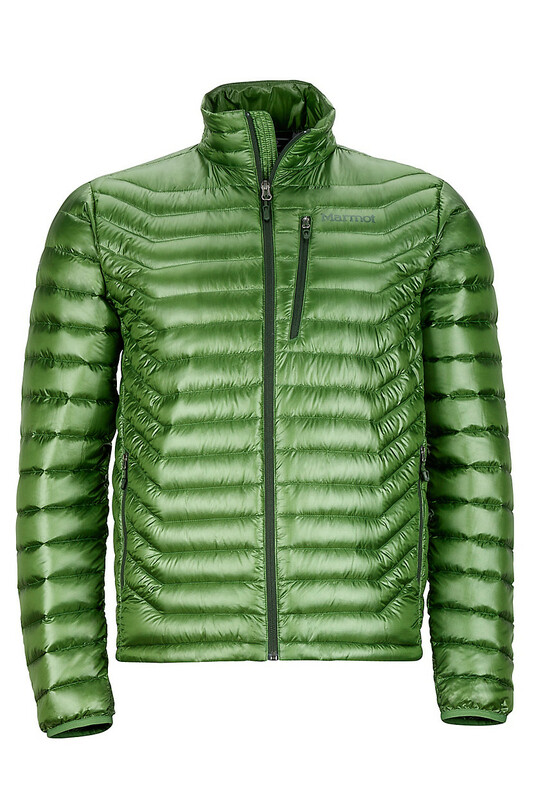 The wind can pick up and put a chill in that early fall air. 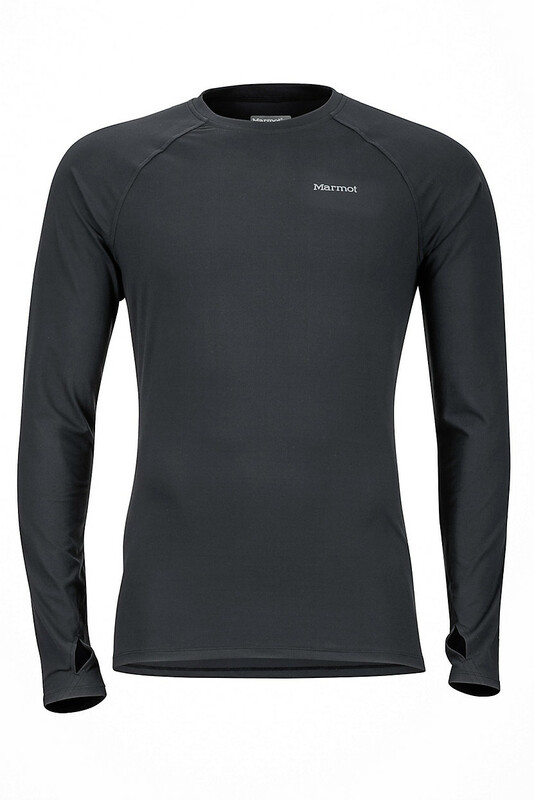 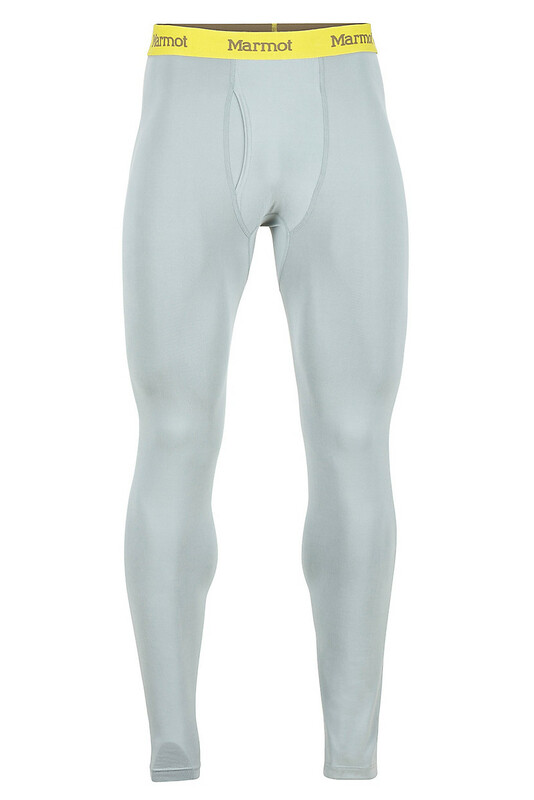 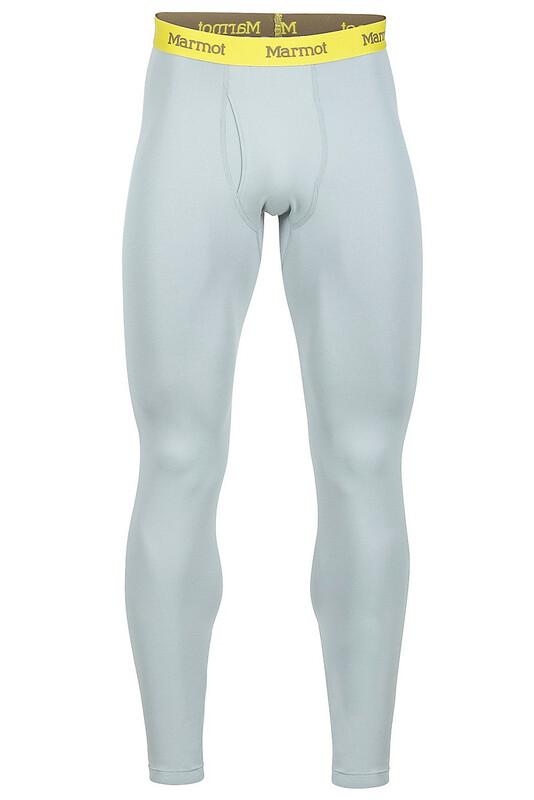 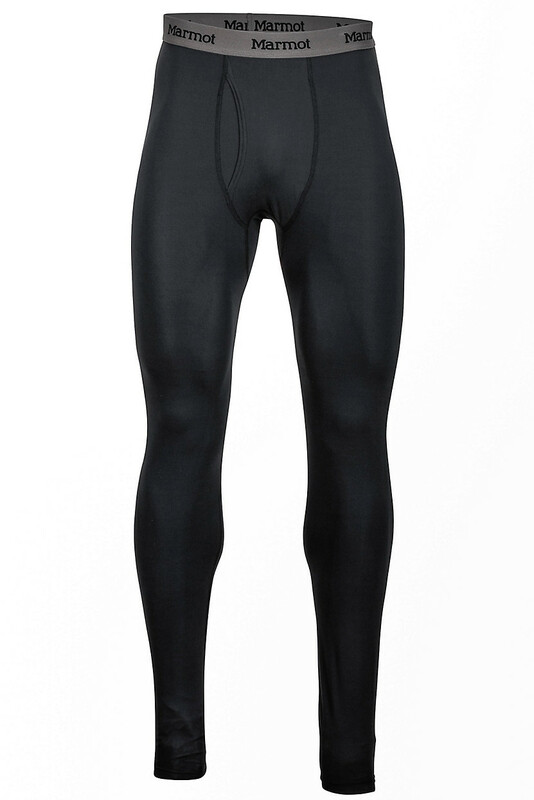 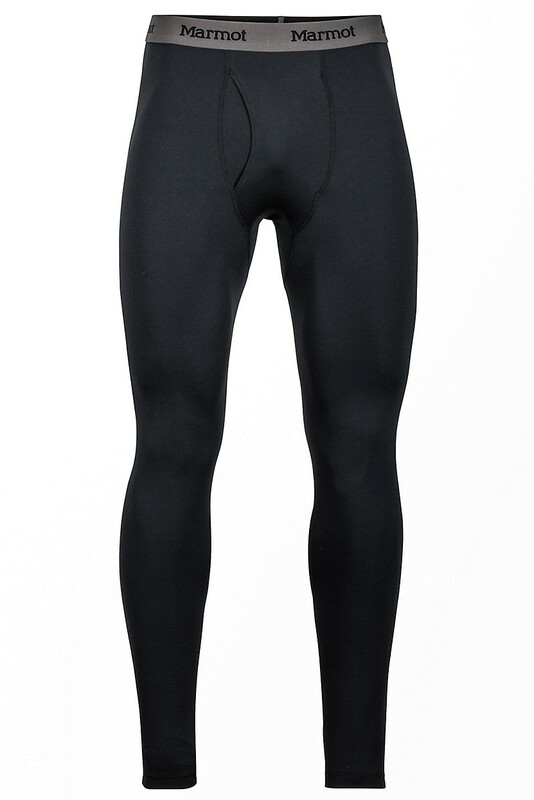 So layer up for the conditions in this all-around performance baselayer tight. 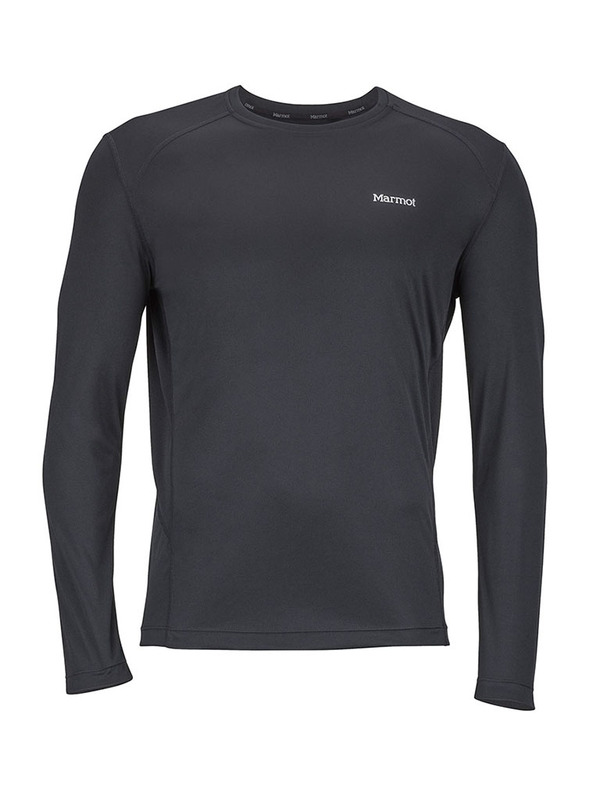 When home, sweet home is out in the wide open, you have to stay prepared for all the conditions with a baselayer fit for wacky fall weather. 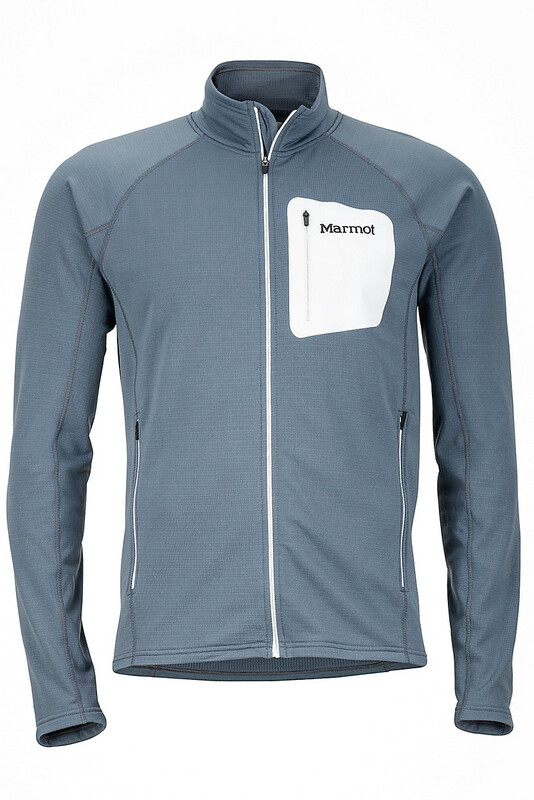 It's time to get a' wanderin', and a' wanderin' you will go layered up in the comfortable and technical Harrier ½ Zip. 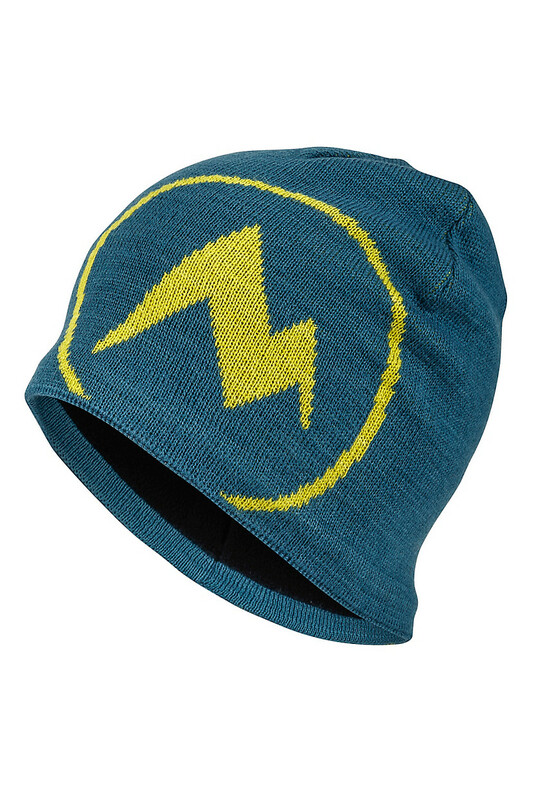 Adventures are not always pretty, nor warm. 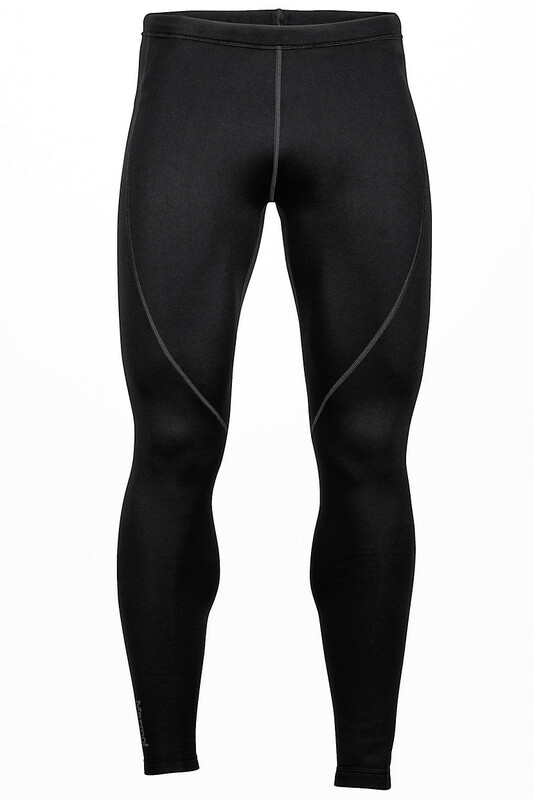 Be prepped for the cool and the cold in the hyper mobile and technical Harriet Tight. 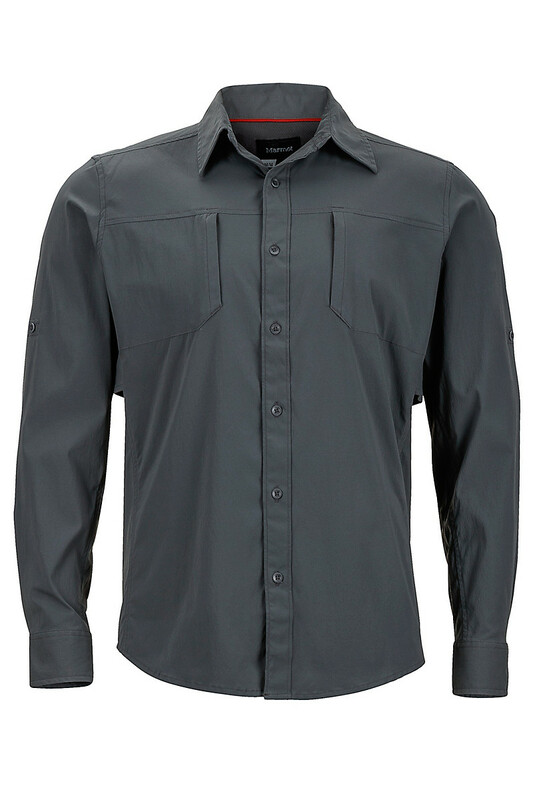 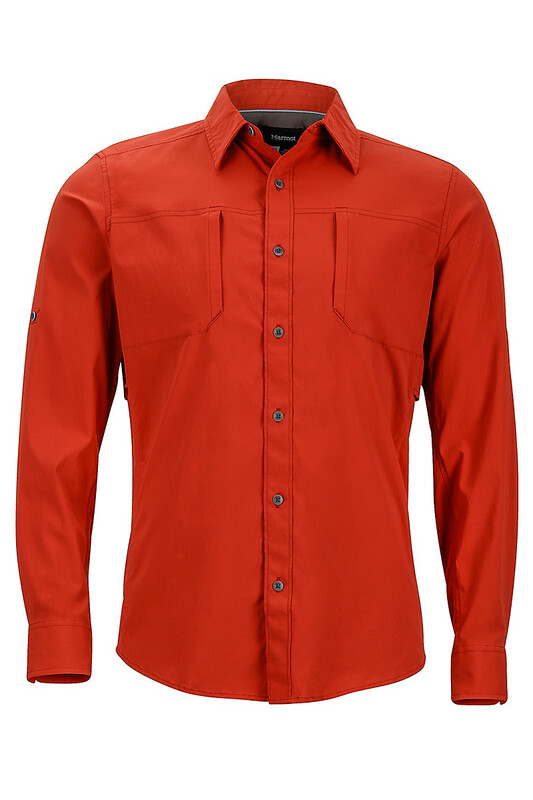 For blasts up steep trails in variable conditions, you can’t do better than the quick-drying, moisture-wicking Windridge Short Sleeve, a semi-fitted shirt featuring flat-locked seams and breathable mesh panels for a level of comfort unmatched by anything besides your birthday suit. 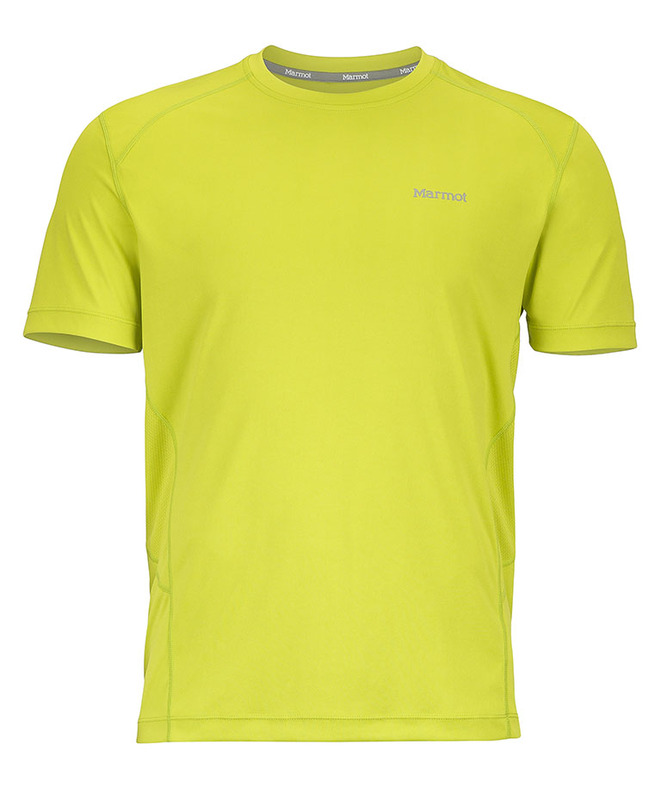 UPF 50 protection has you covered on sunny days. 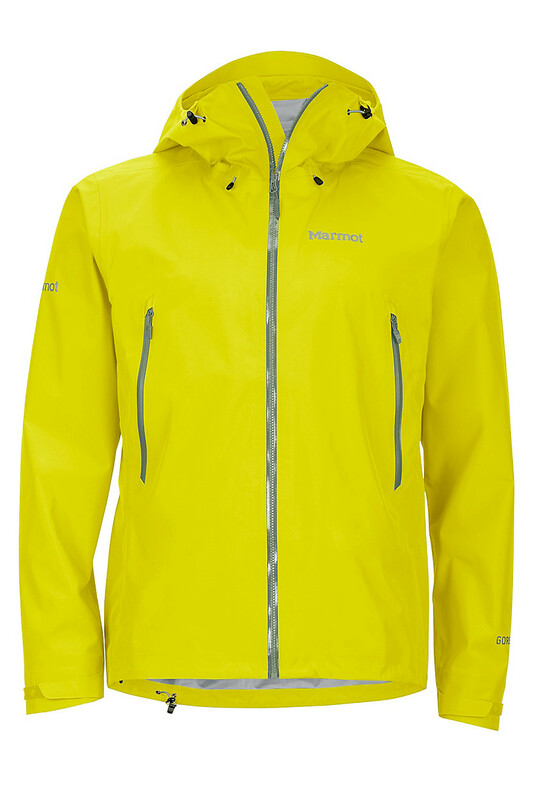 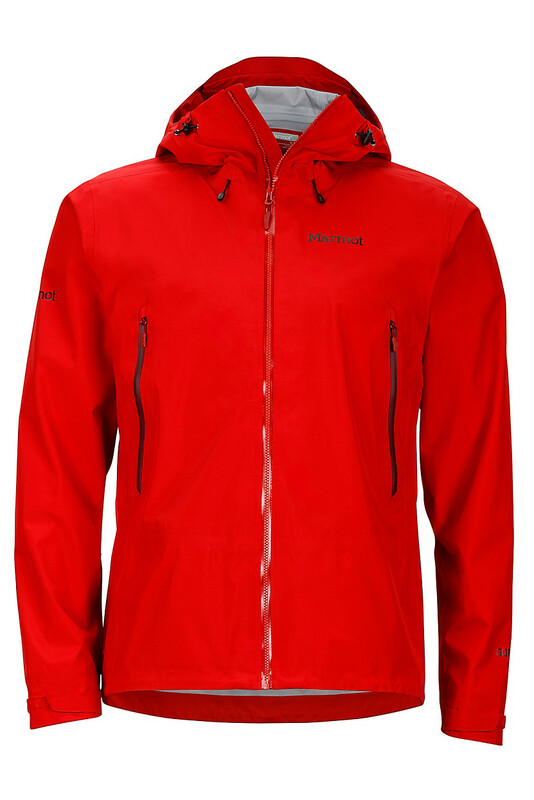 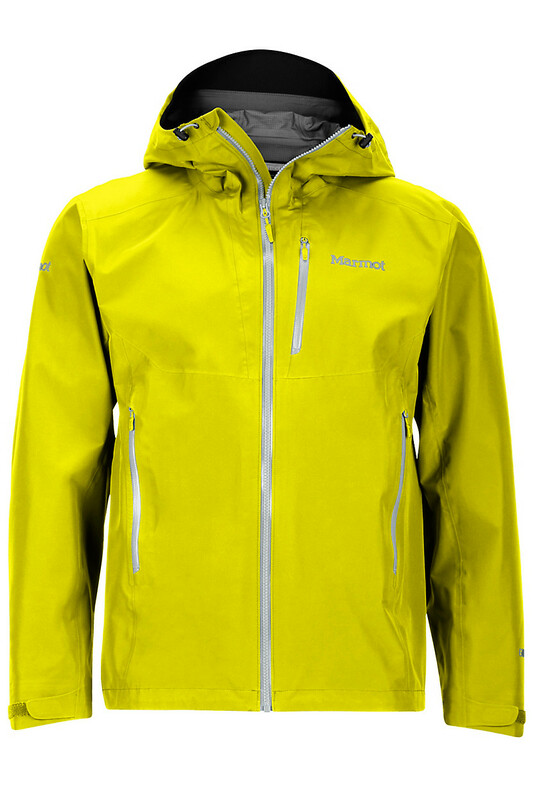 Now updated with NanoPro™our most comfortable waterproof/breathable coating technology ever. 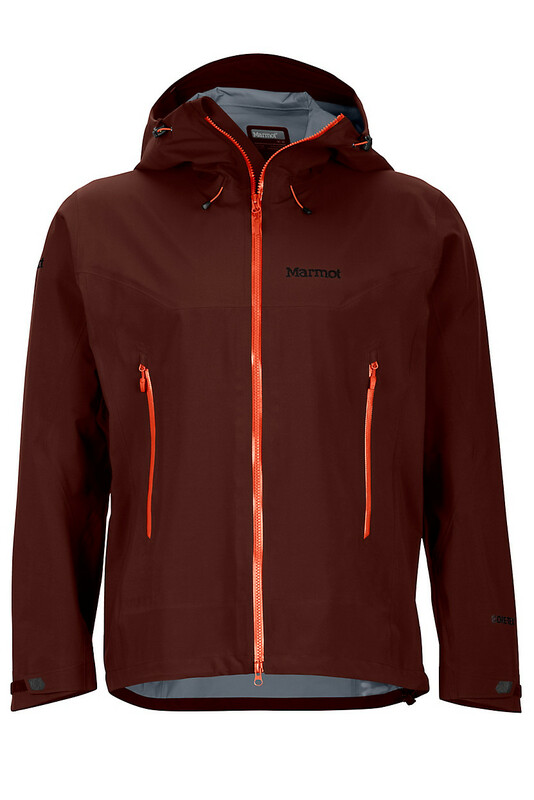 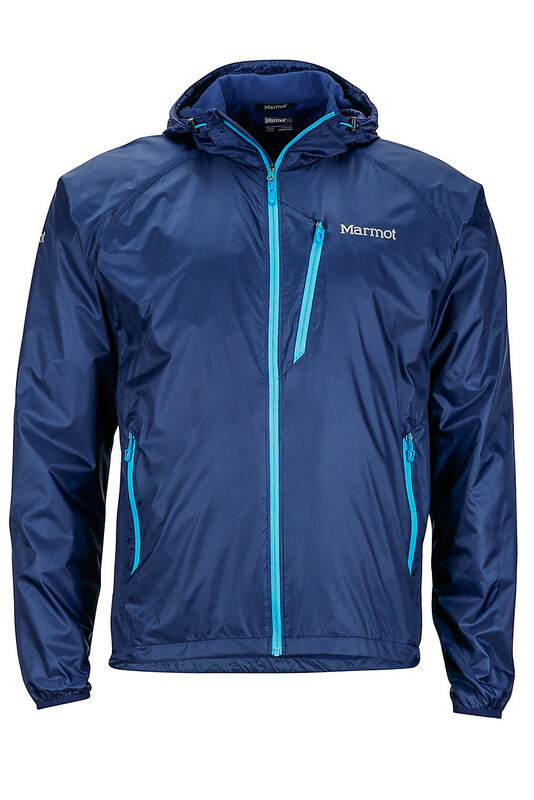 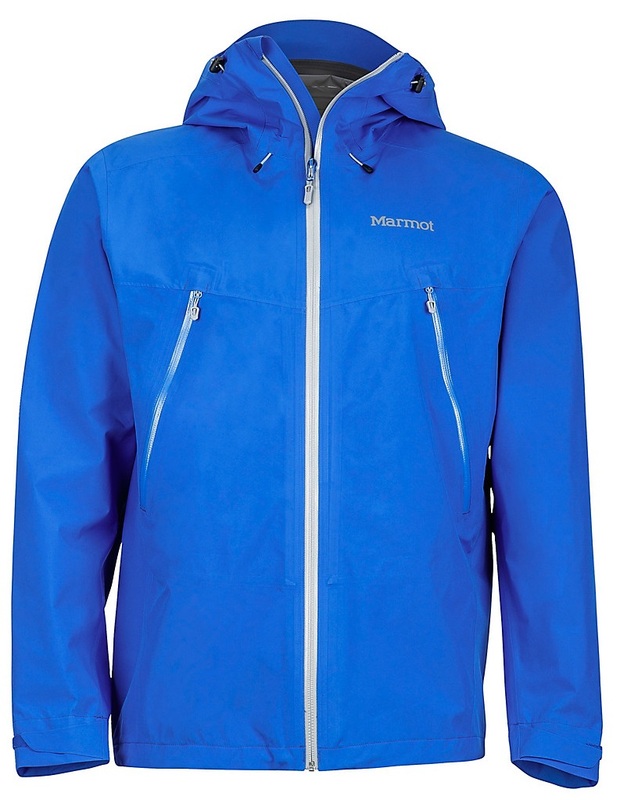 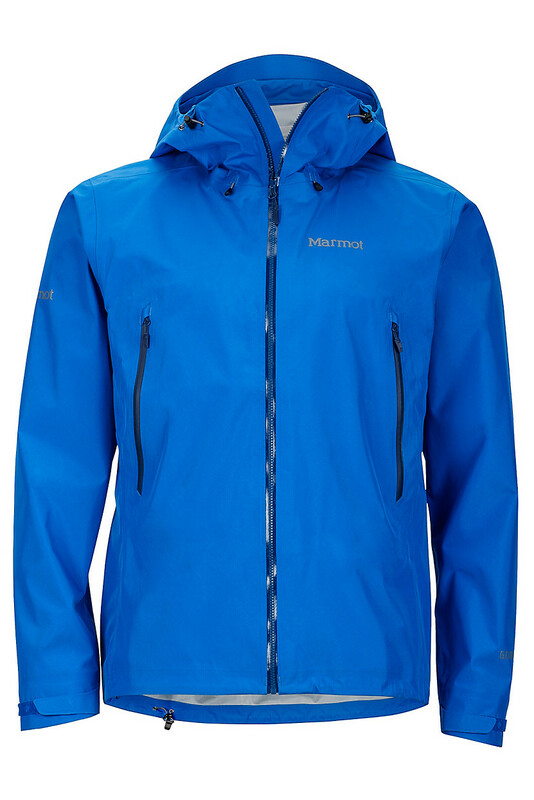 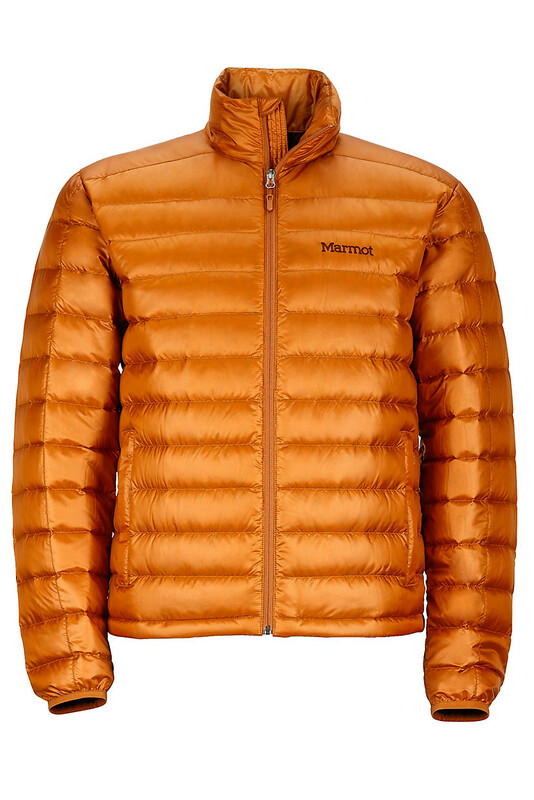 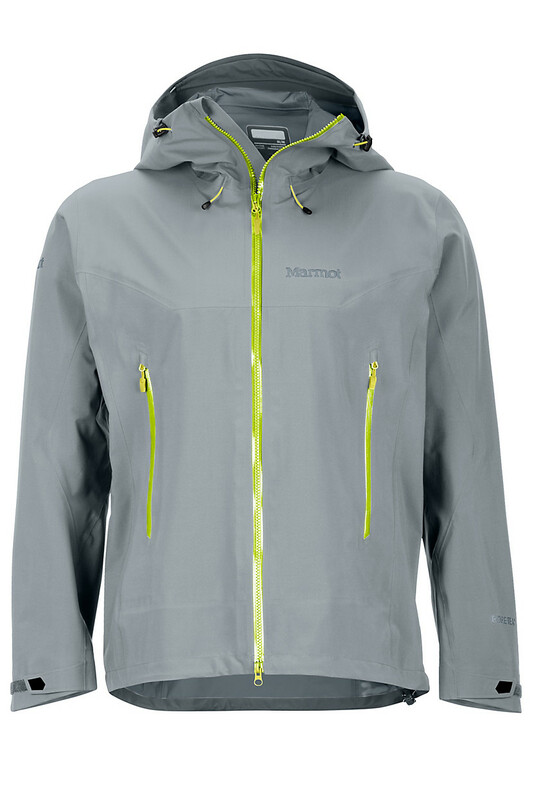 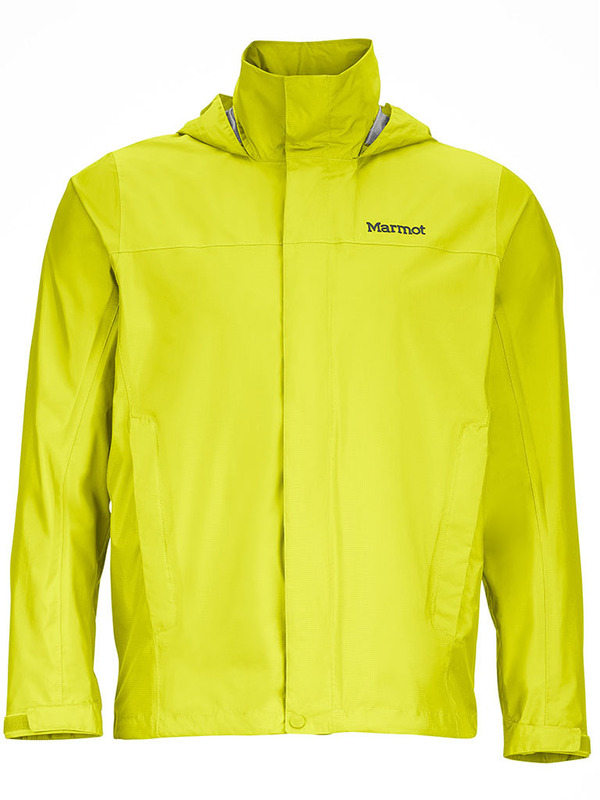 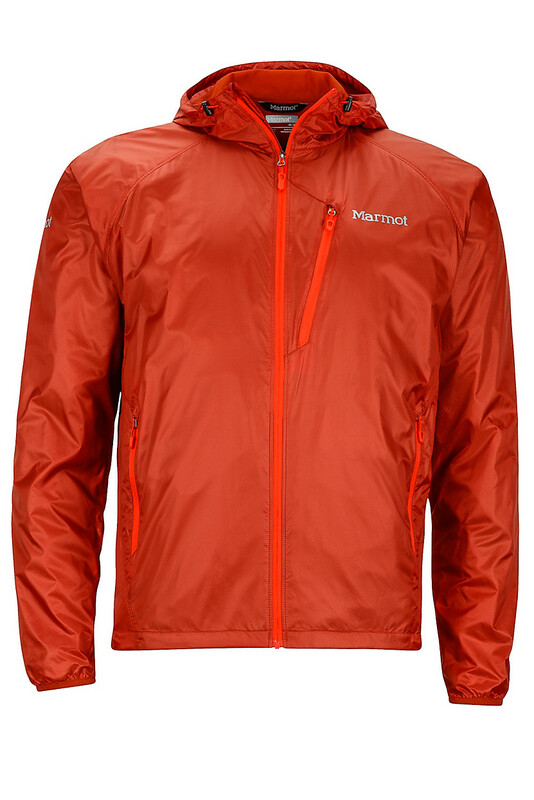 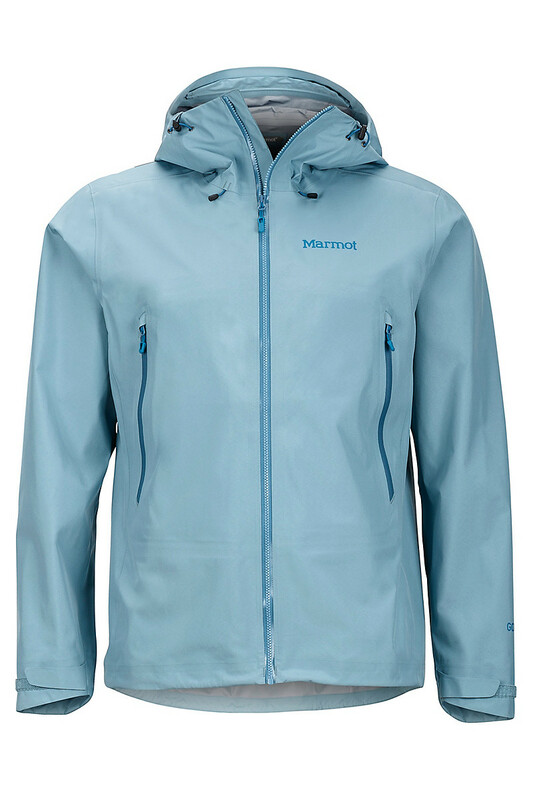 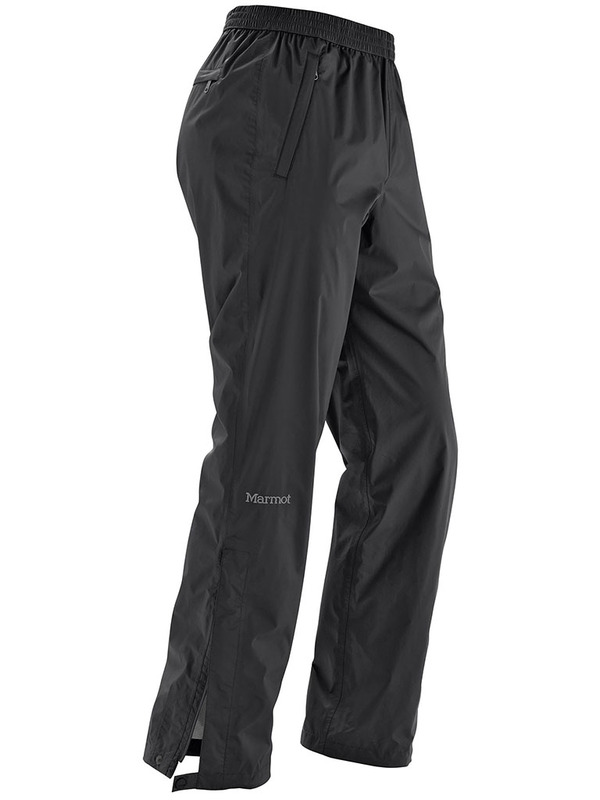 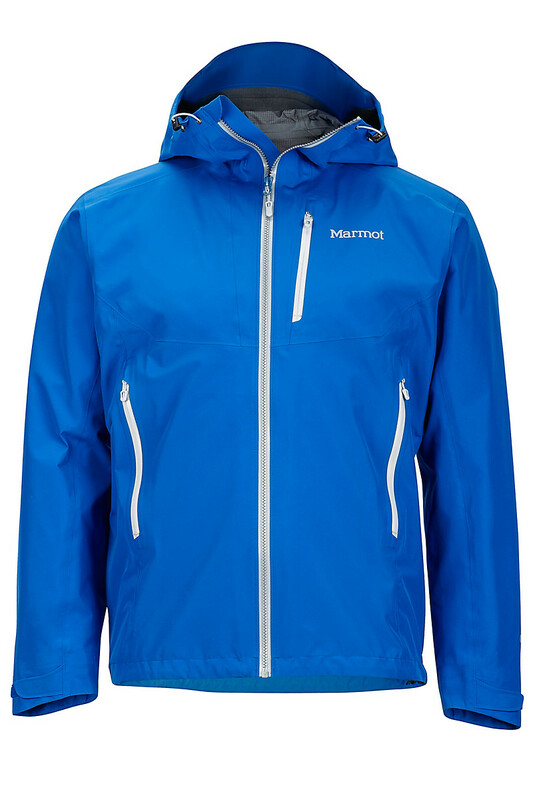 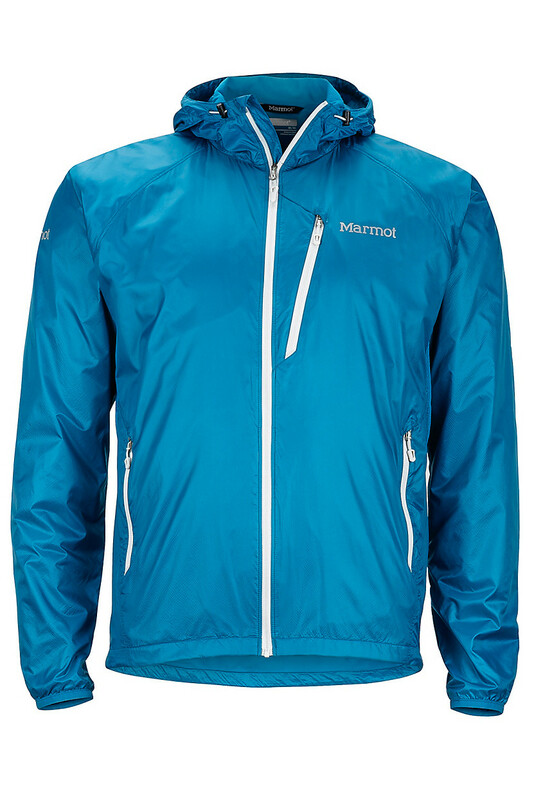 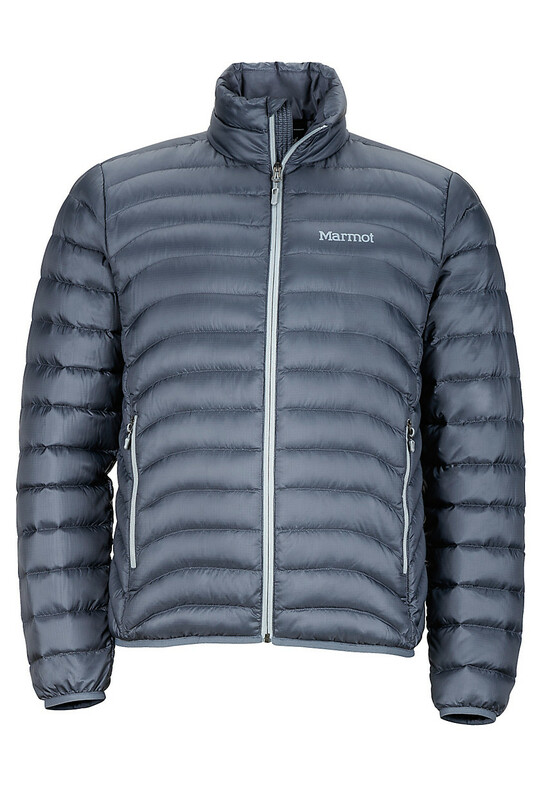 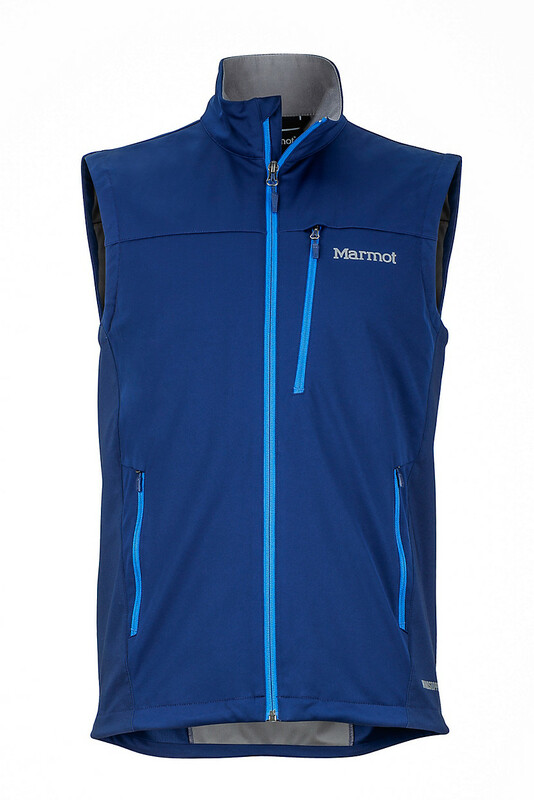 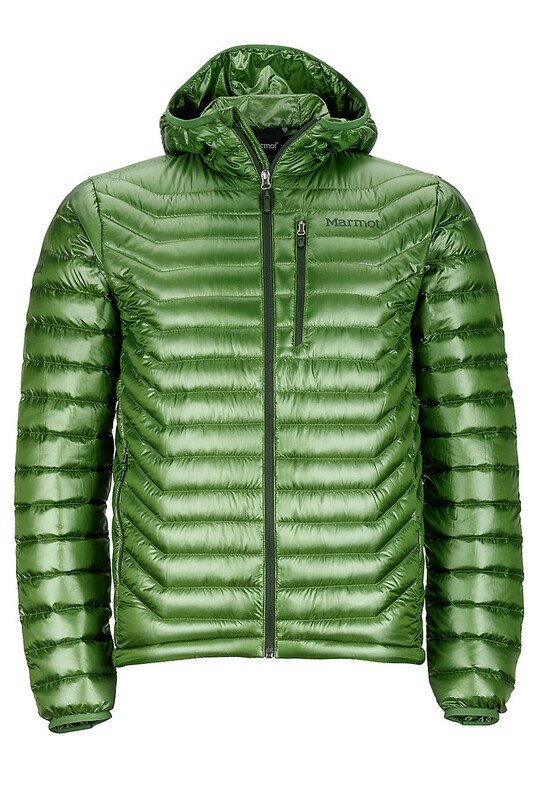 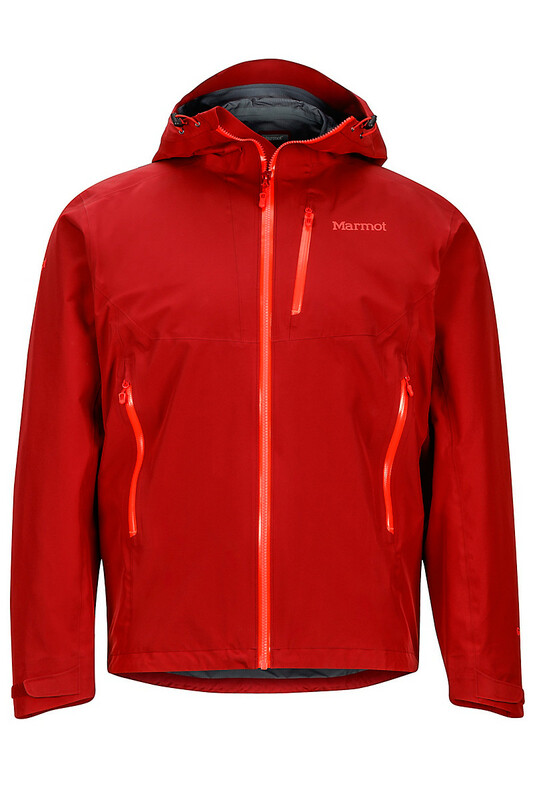 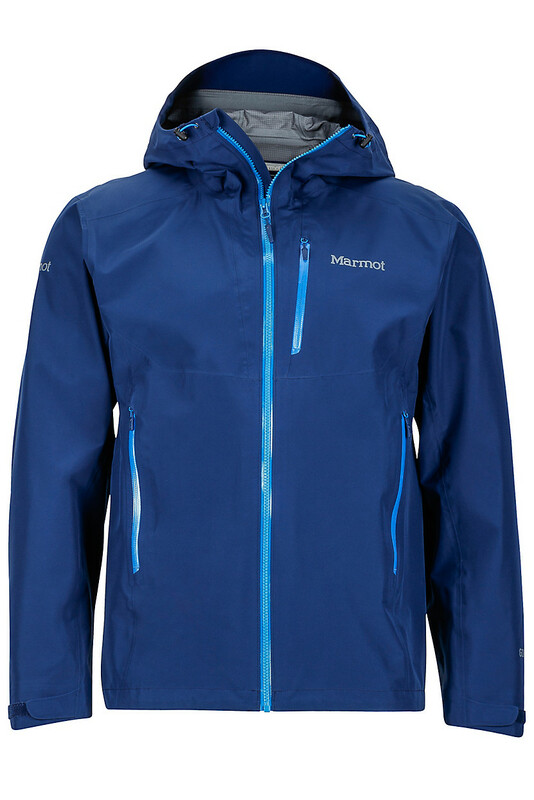 Bonded fabrics with incredible waterproof, breathable characteristics come together in an ultra-light, tour-friendly design that exemplifies Marmot’s big mountain heritage. 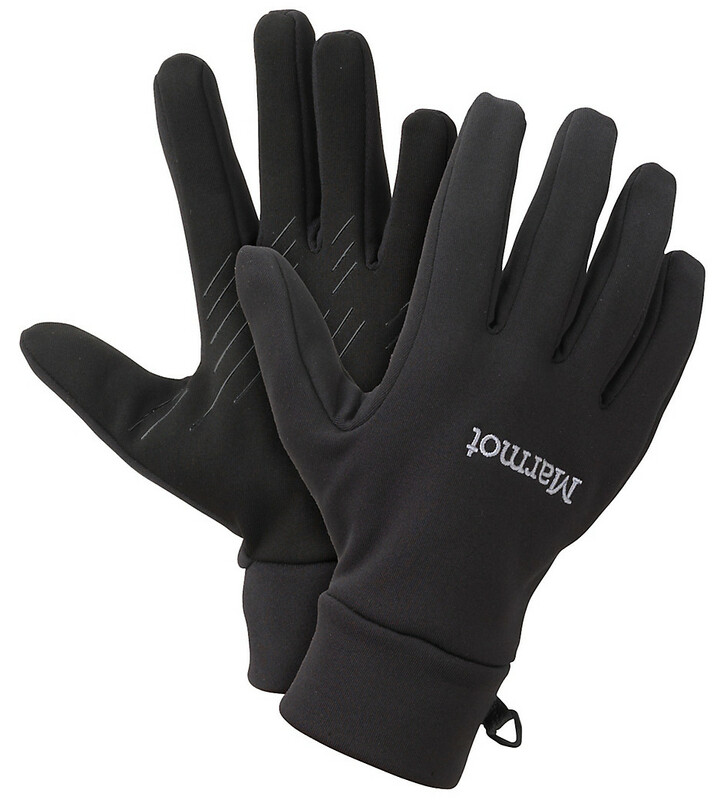 Sized to fit over a fleece liner, this glove delivers durable weather resistance and practicality at a down-to-earth price. 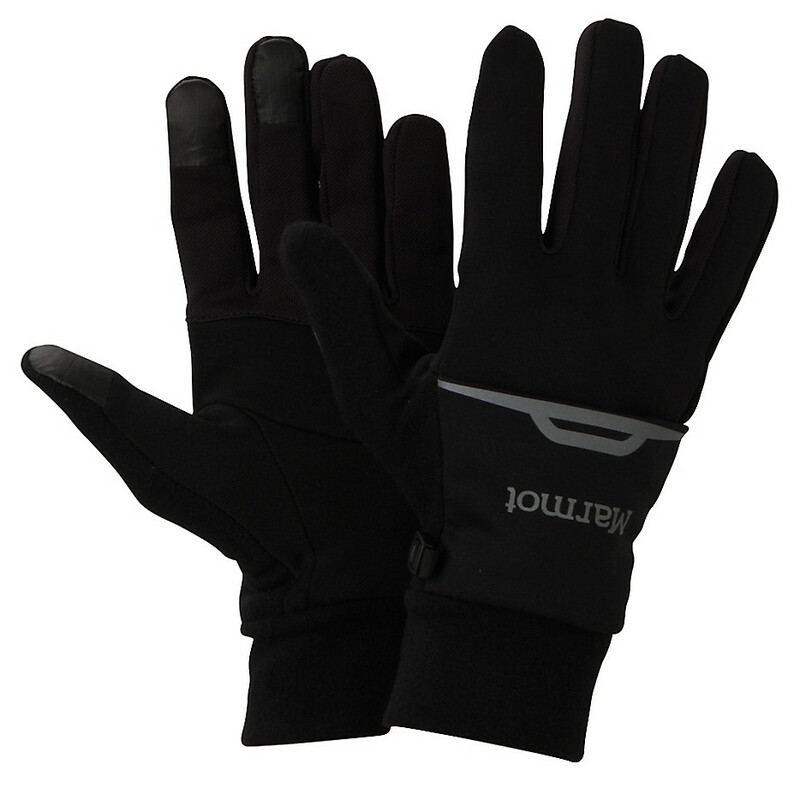 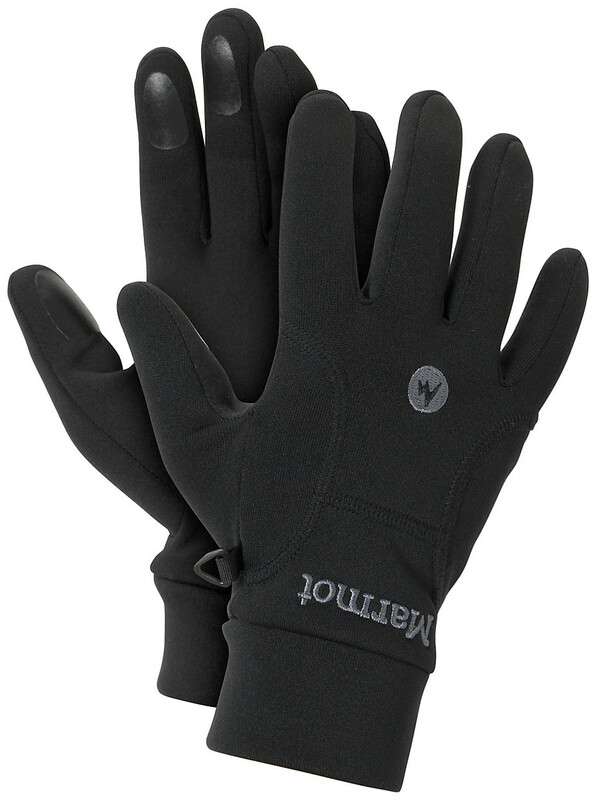 A tough, stretchy, weather-resistant glove that's ideal for a variety of activities, with great tactility and just the right amount of warmth. 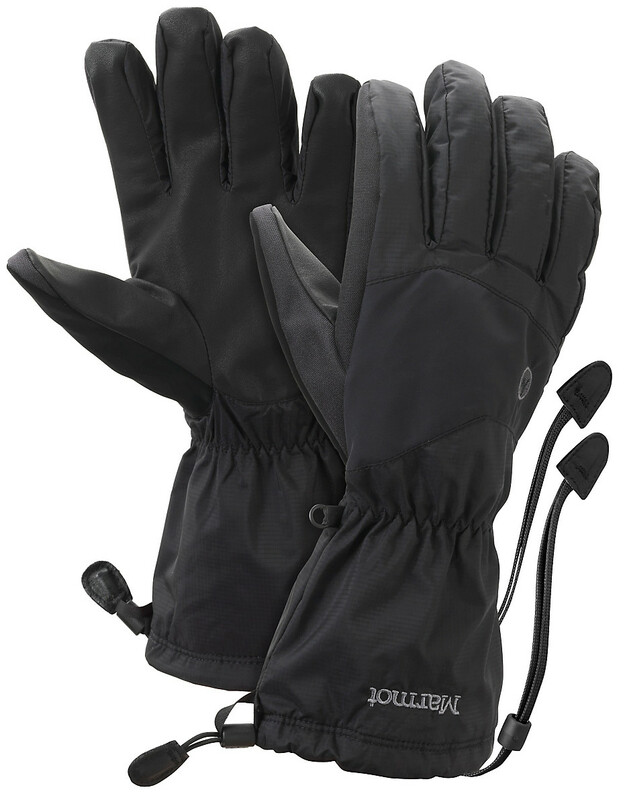 The Evolution utilizes top-quality GORE-TEX® WINDSTOPPER® fabric to make a light, wind-blocking, water-resistant glove for everything from cross-country skiing to running and biking. 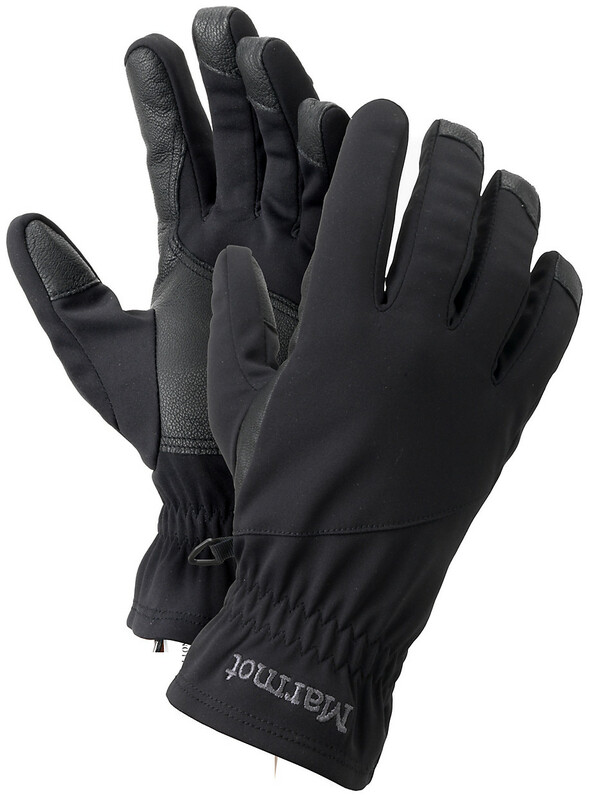 The silver- and metal-free conductive palm and fingers of the Connect Stretch Glove allow you to make calls or change tunes on a smartphone touchscreen without wasting precious time removing you gloves. 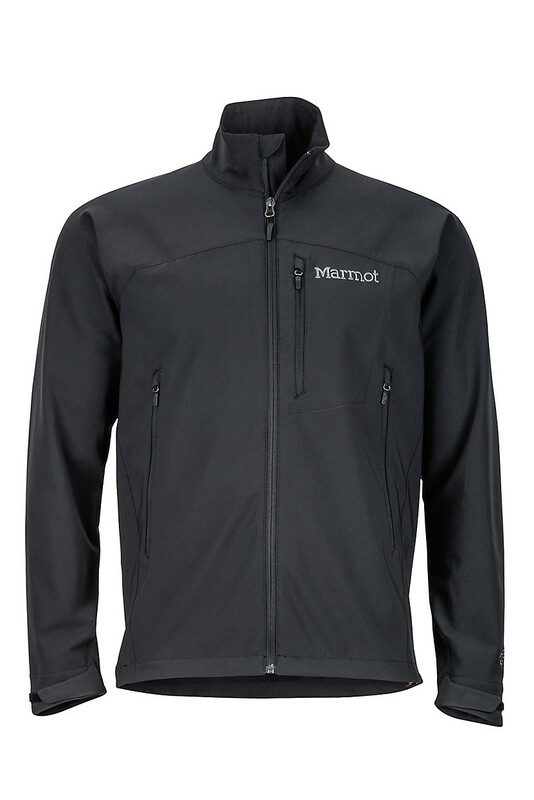 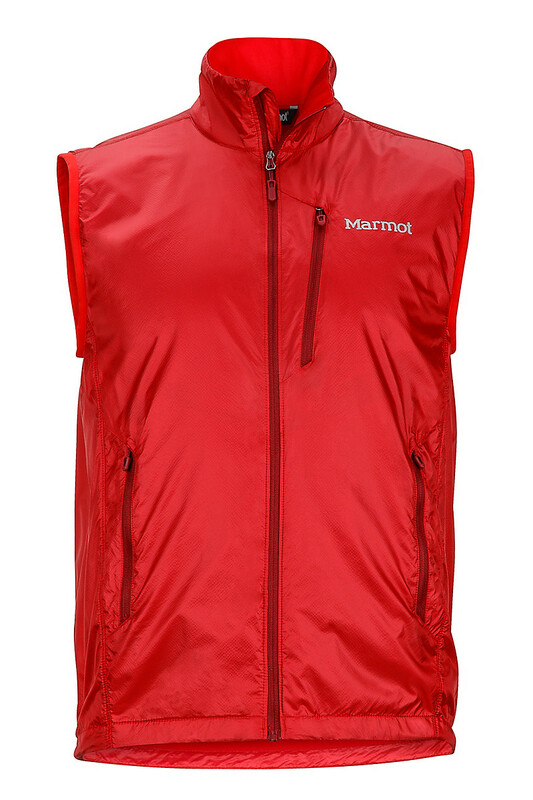 The soft stretch polyester fleece is warm and cozy with a printed plan for better grip. 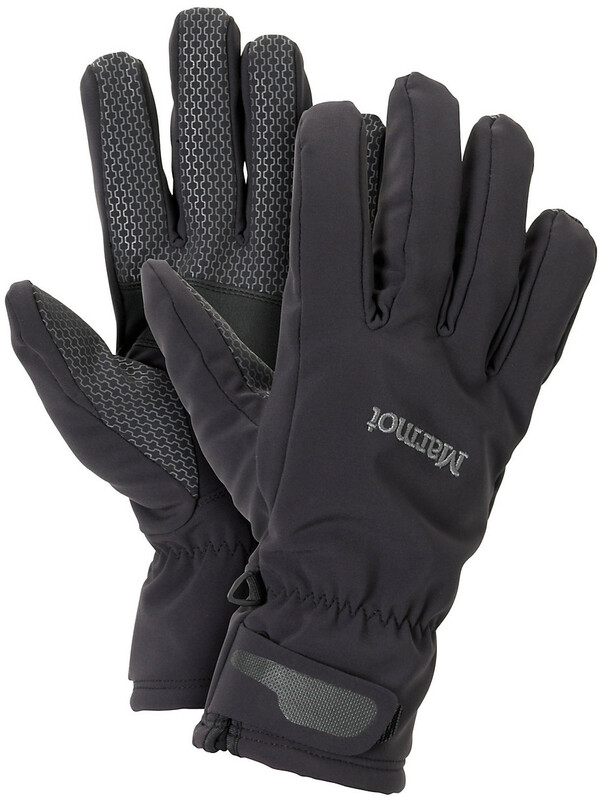 The Connect Trail Glove incorporates lightweight stretch fleece, breathable mesh and a durable Pertex Quantum® stowable mitten to complete a functional, warm and cozy trail glove. 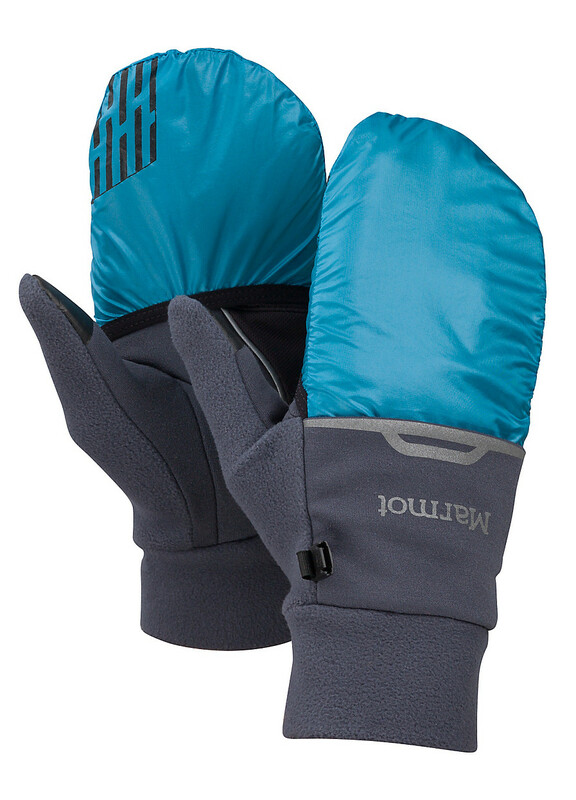 Touch-screen compatible, this glove is still conductive when the mitten is pulled on. 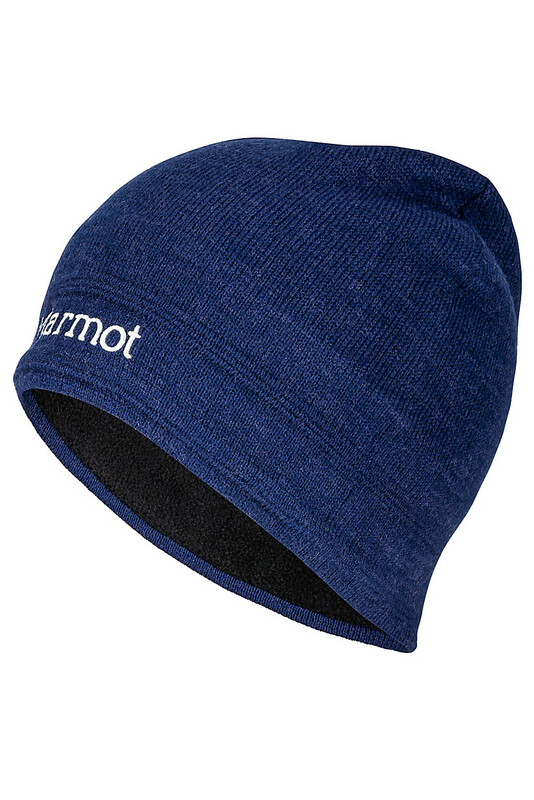 Lightweight, weather-fighting armor for your head: GORE® WINDSTOPPER® fabric and a flexible Polartec® panel make up this sturdy, amazingly warm beanie. A classic style in soft wool blend fabric. 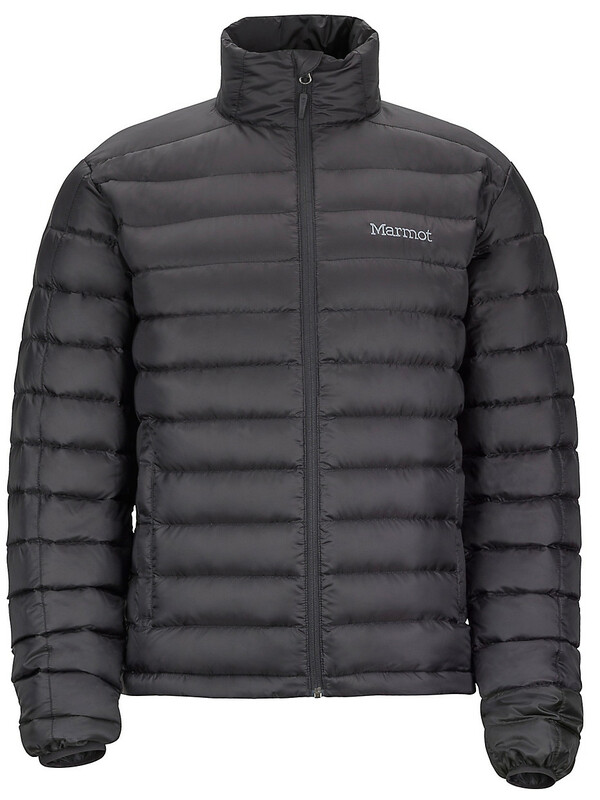 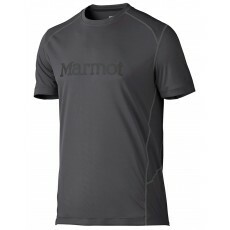 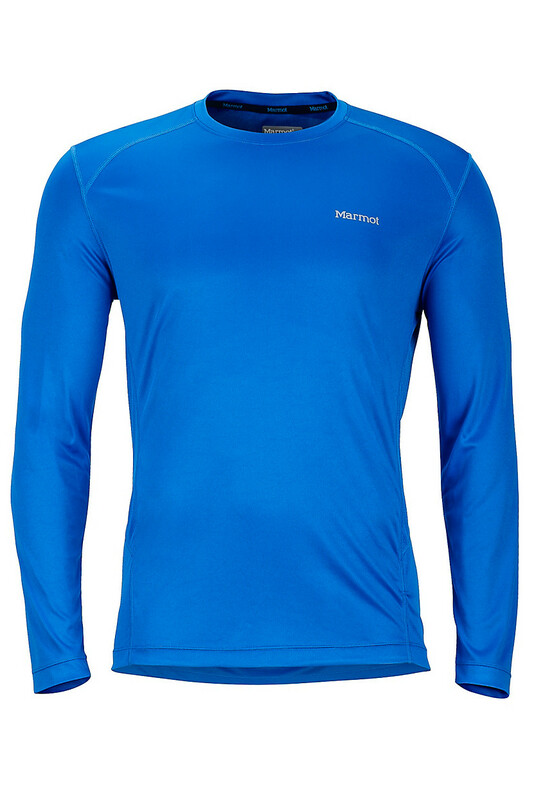 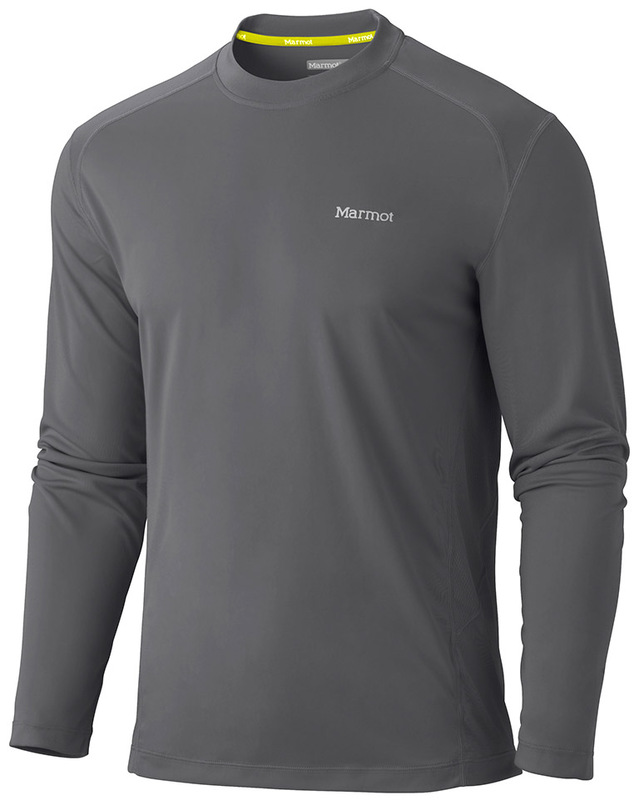 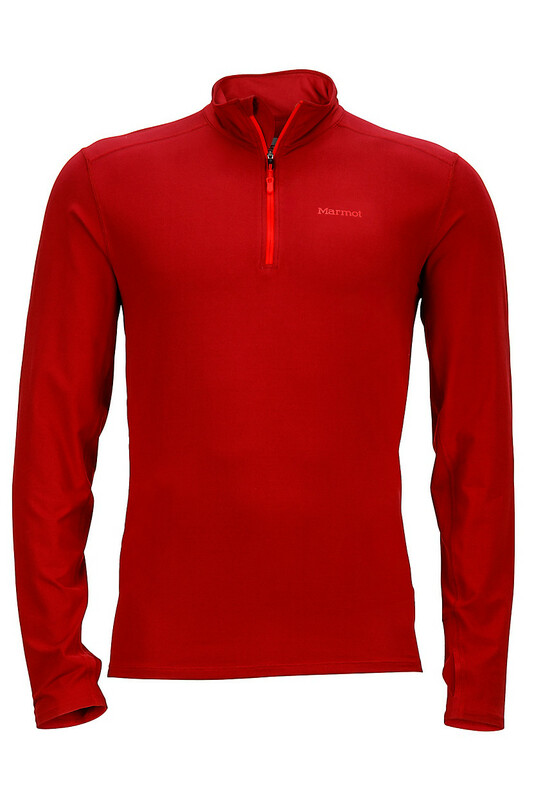 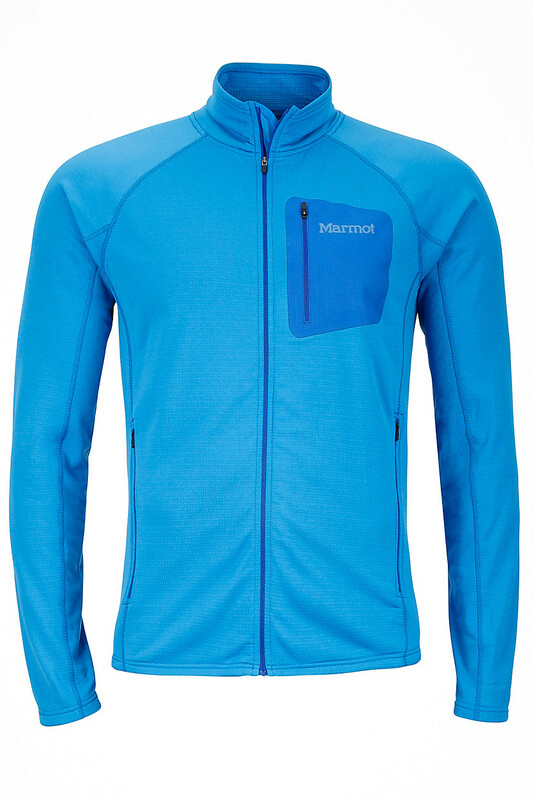 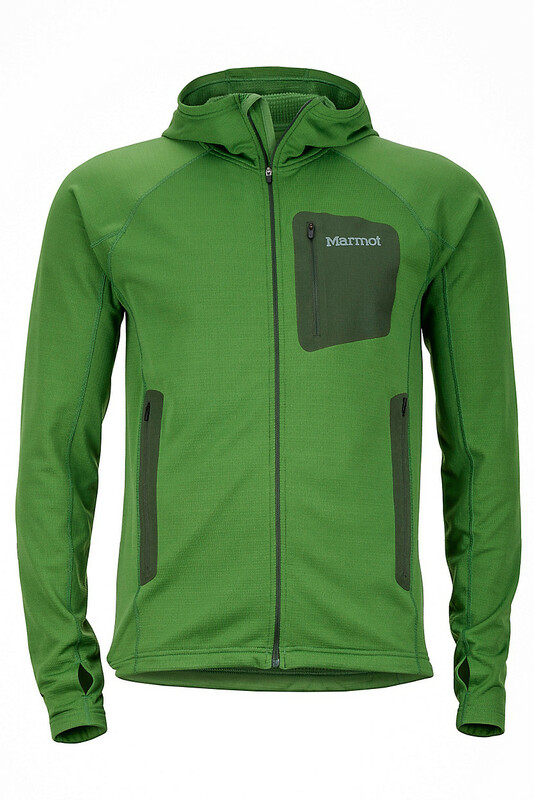 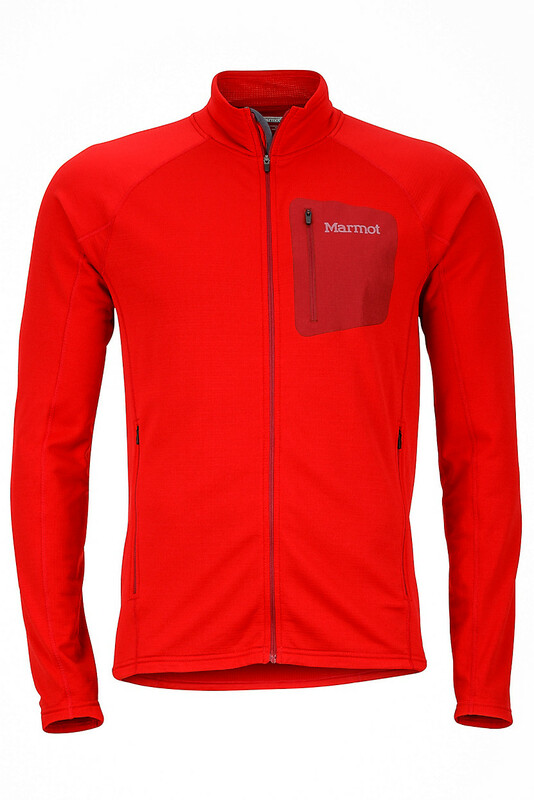 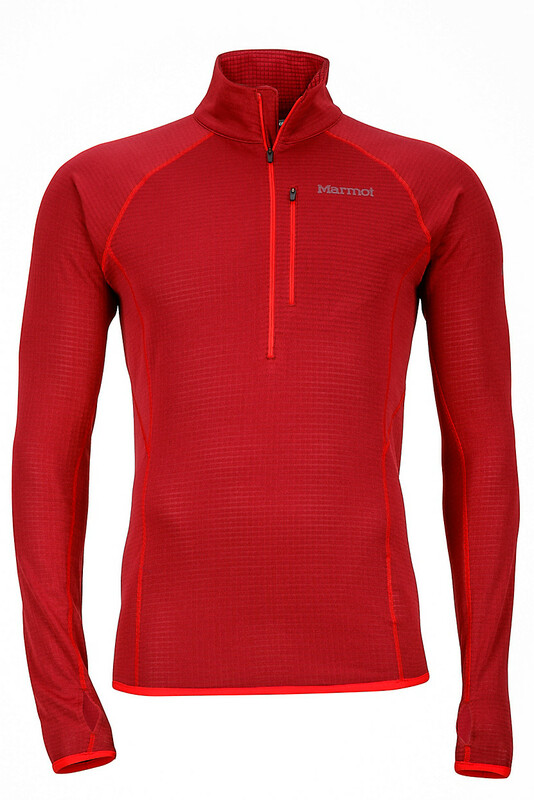 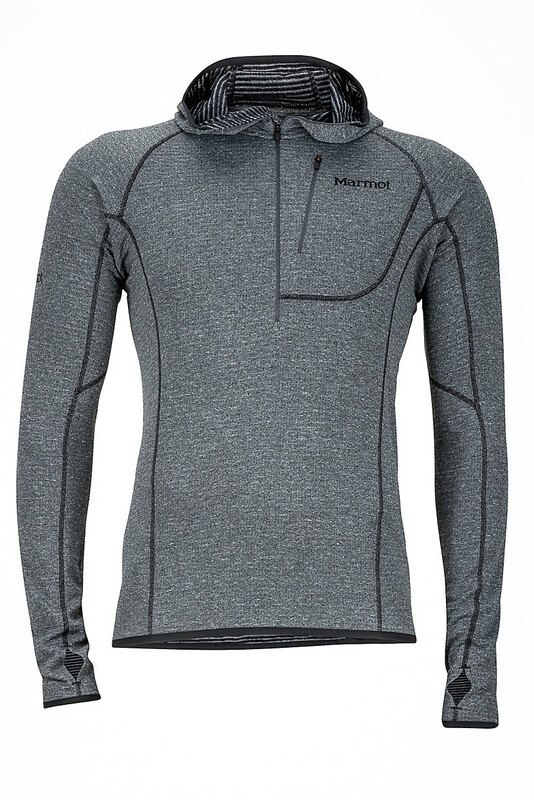 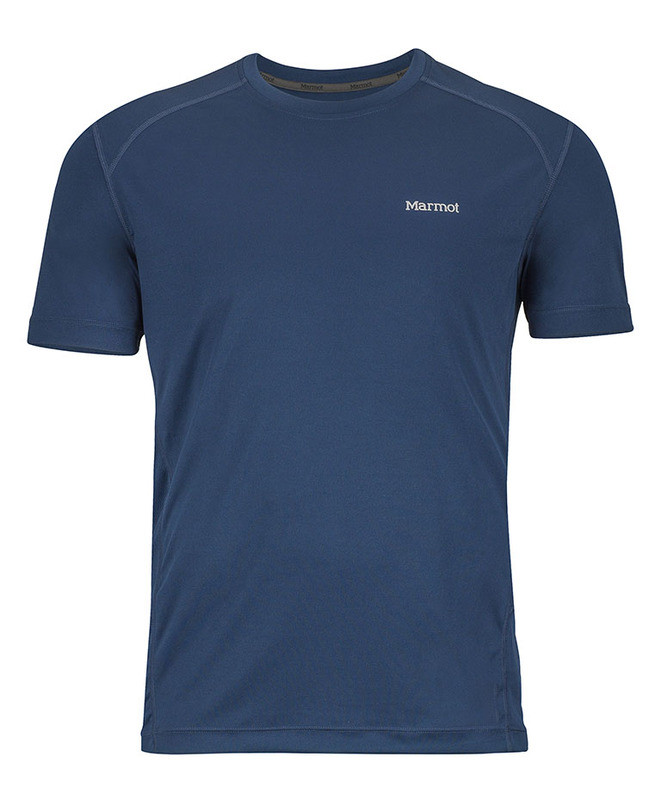 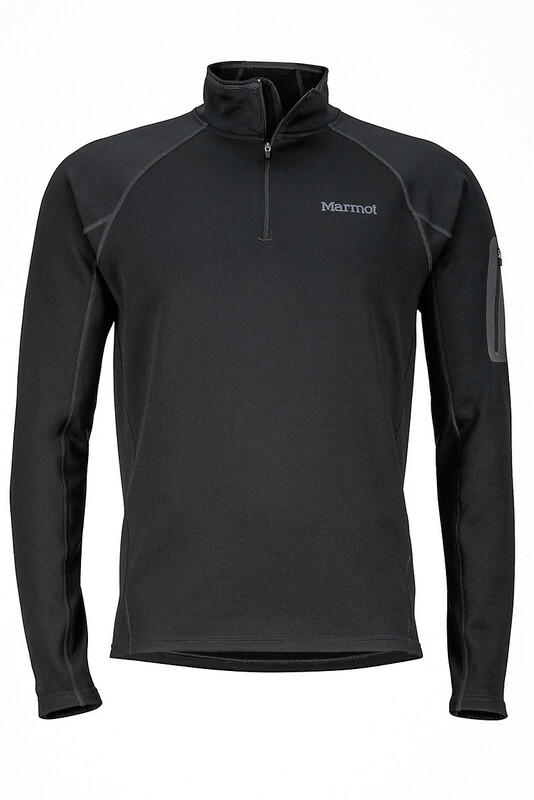 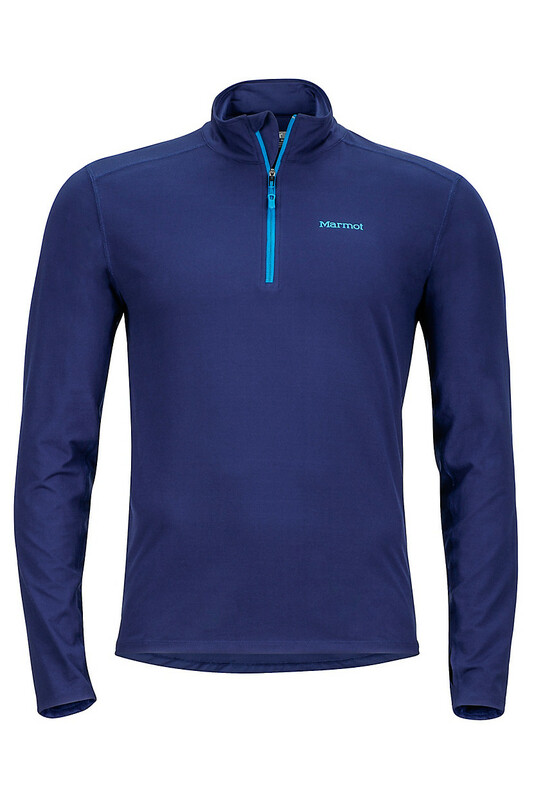 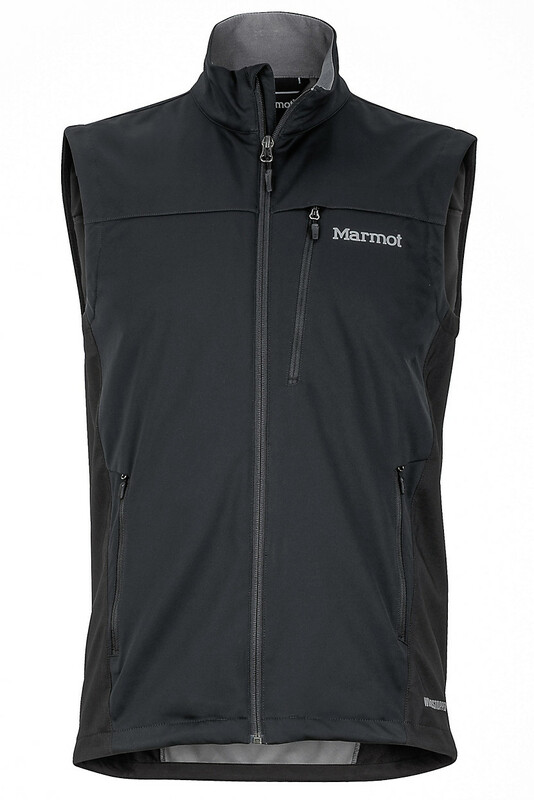 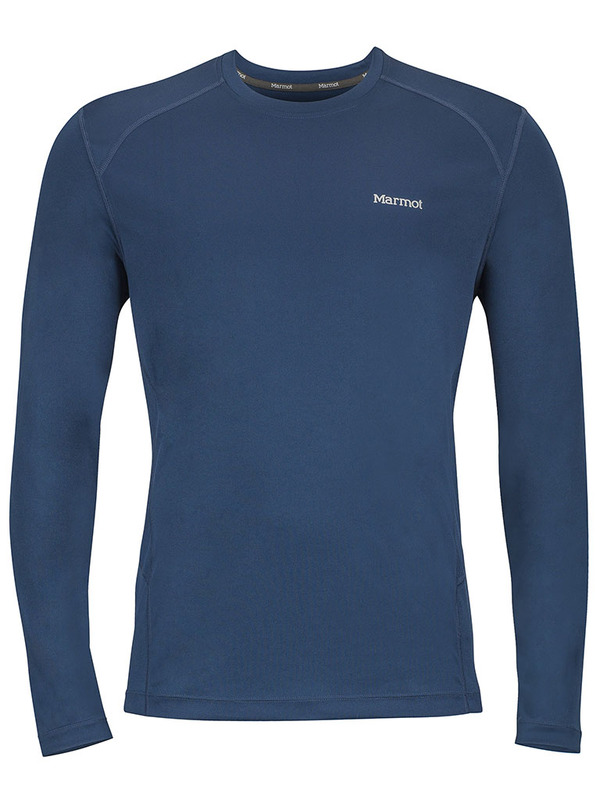 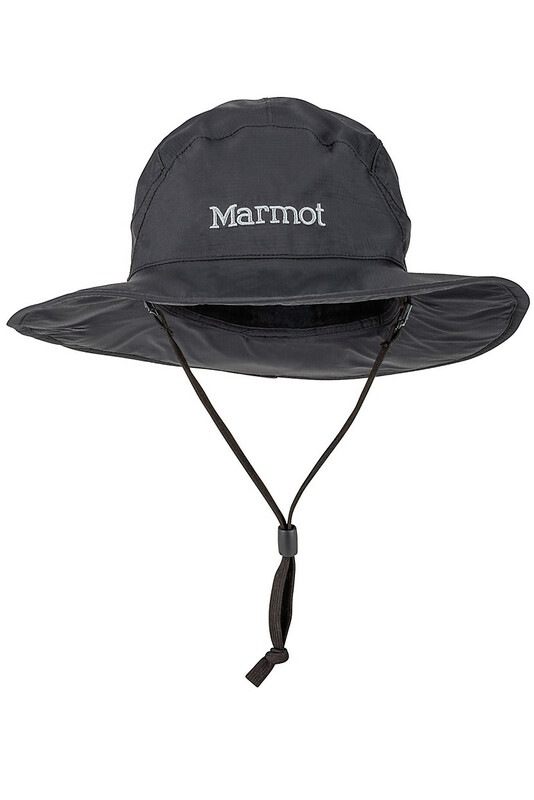 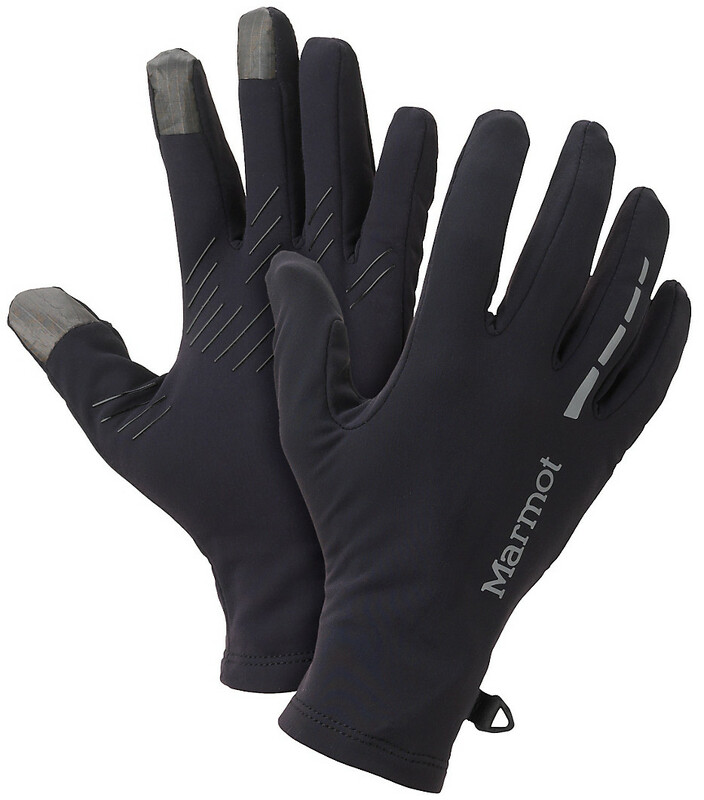 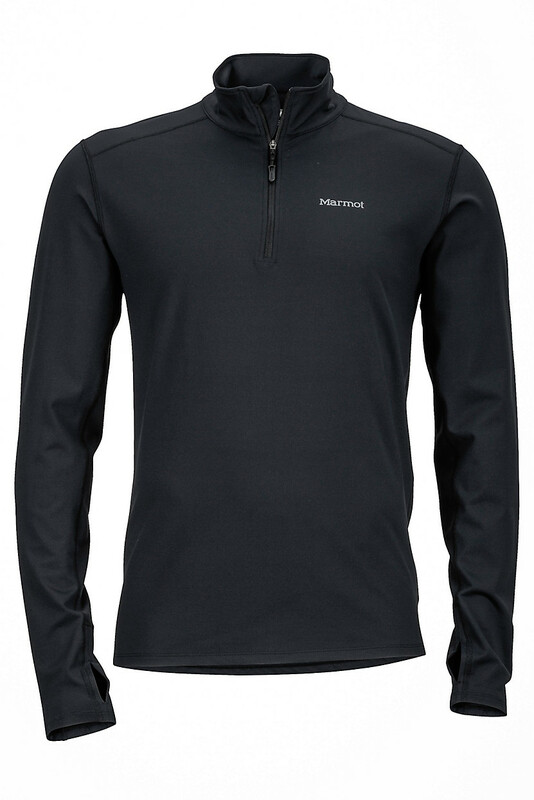 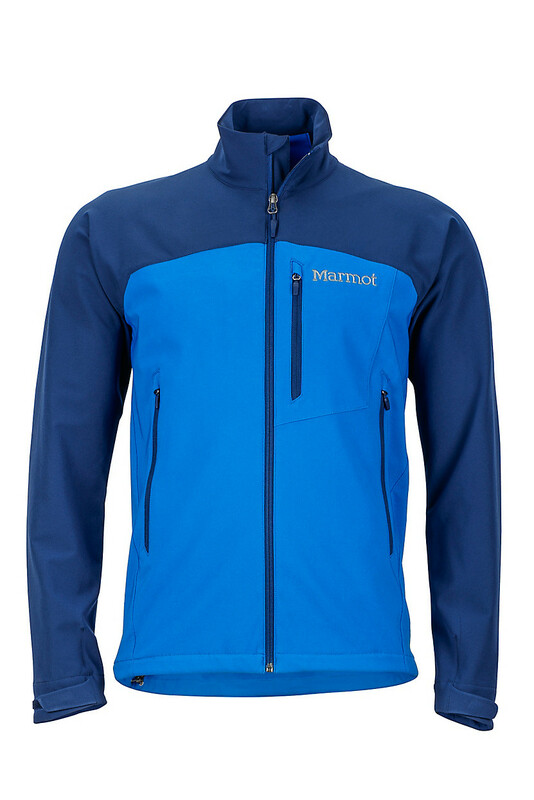 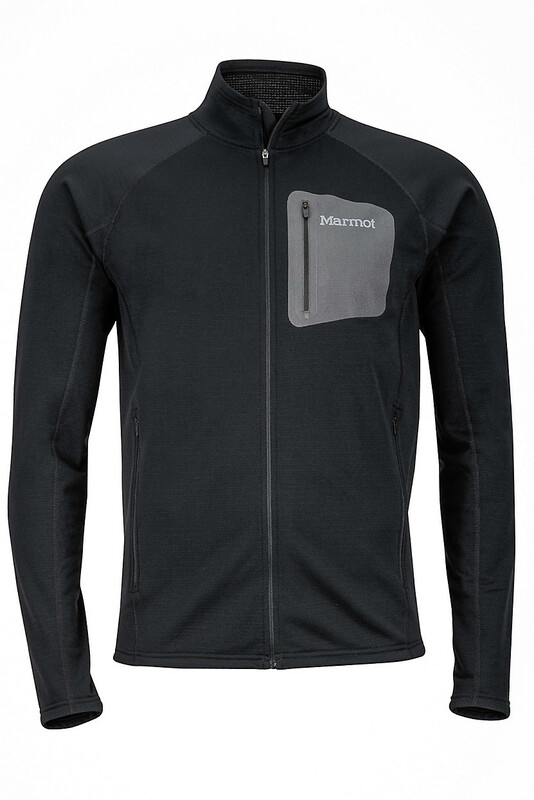 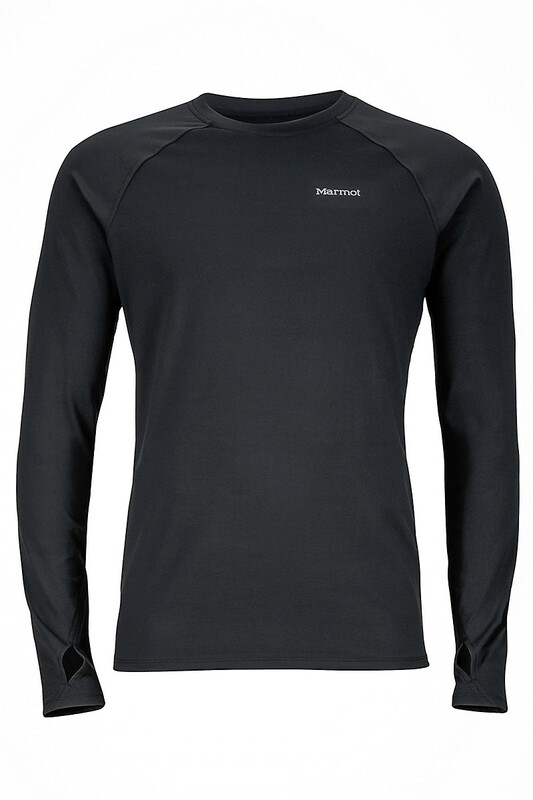 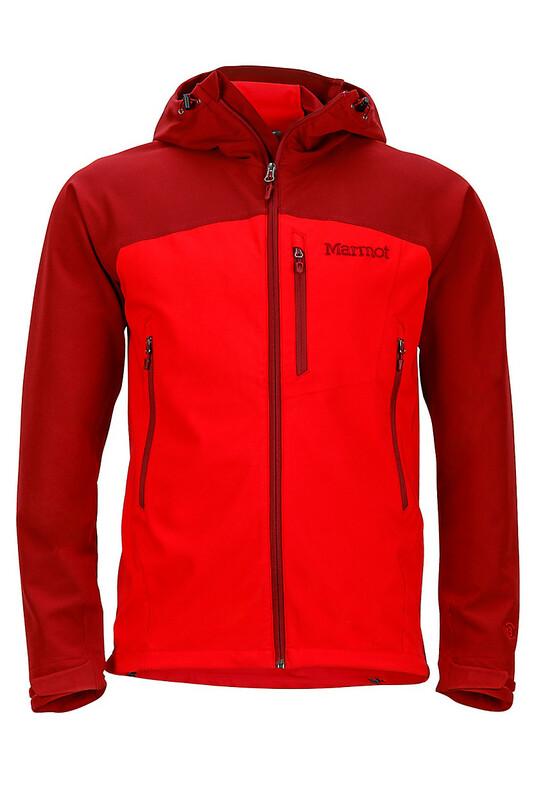 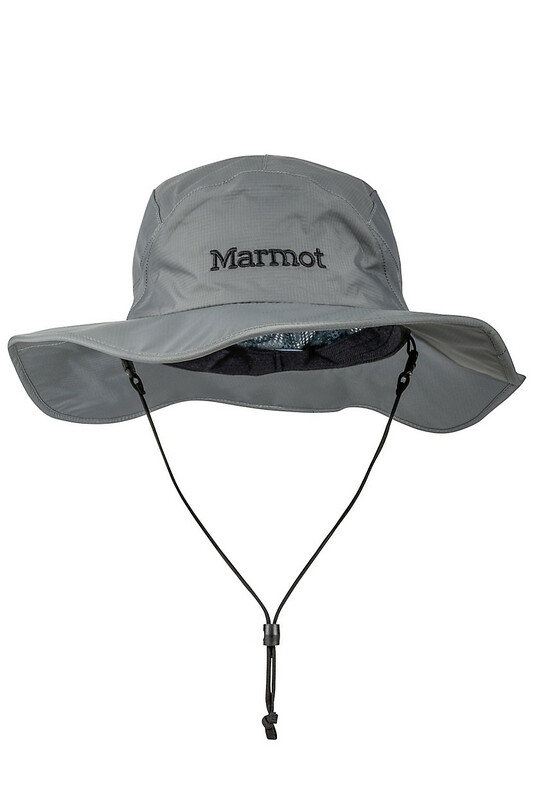 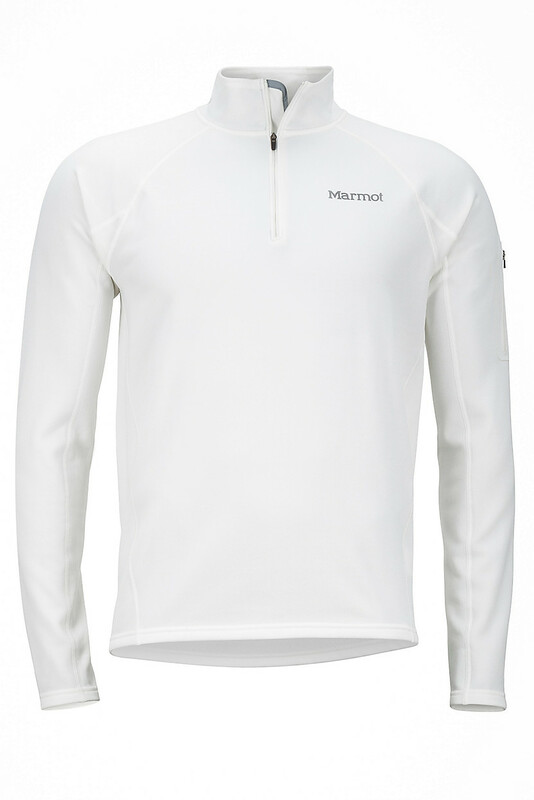 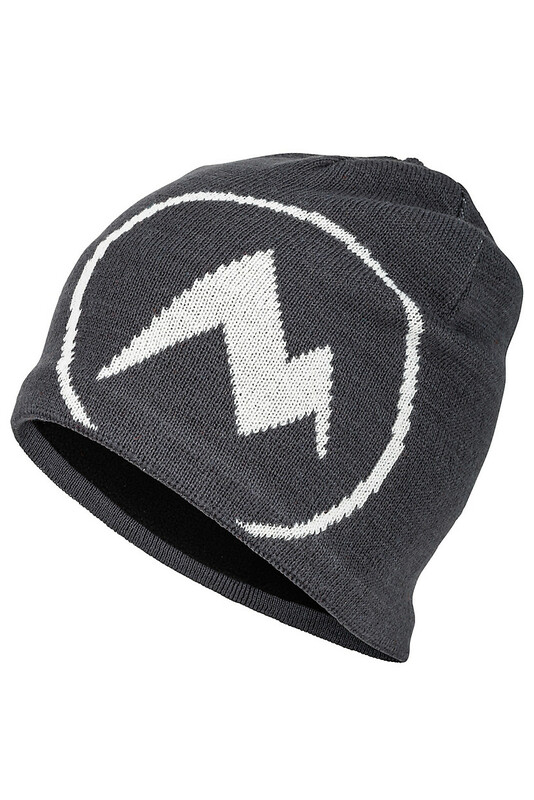 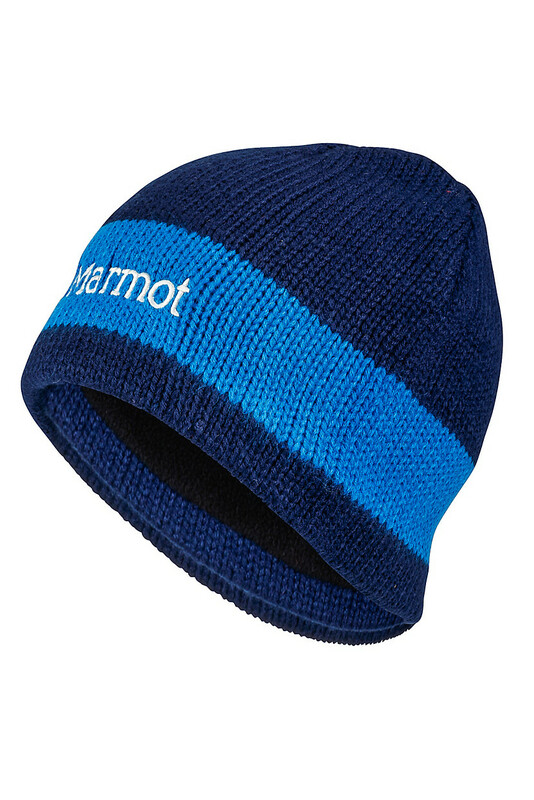 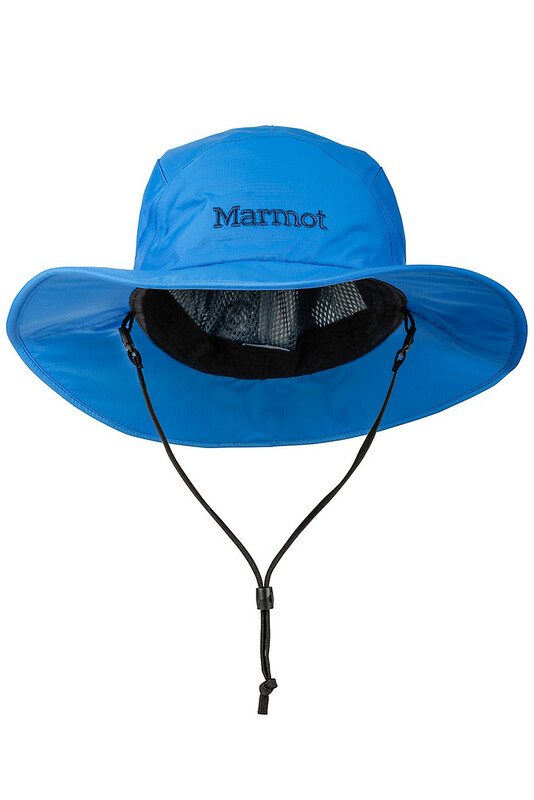 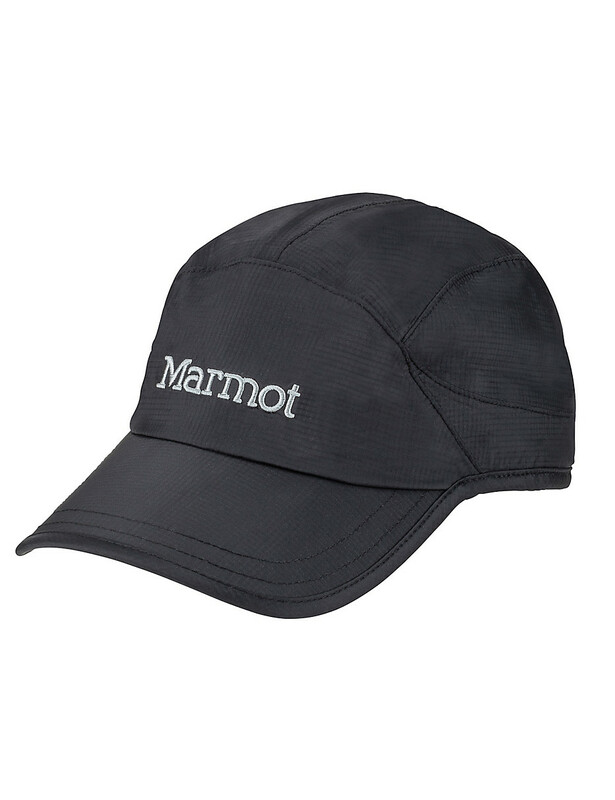 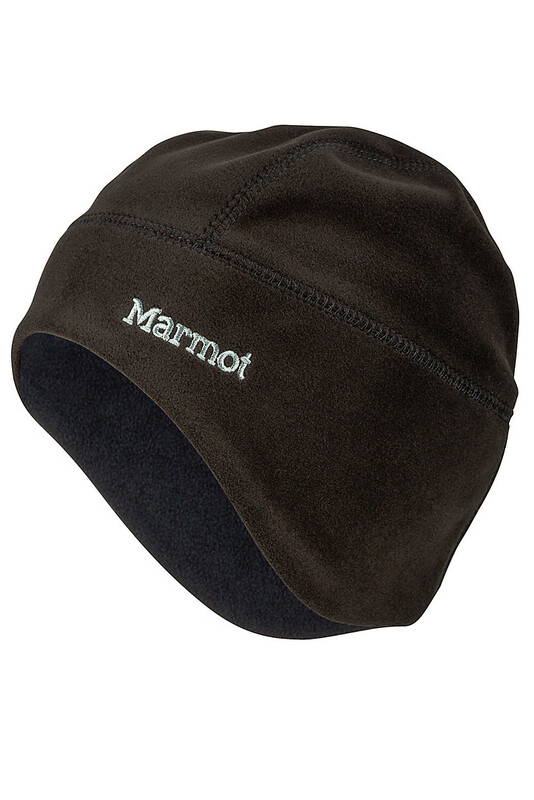 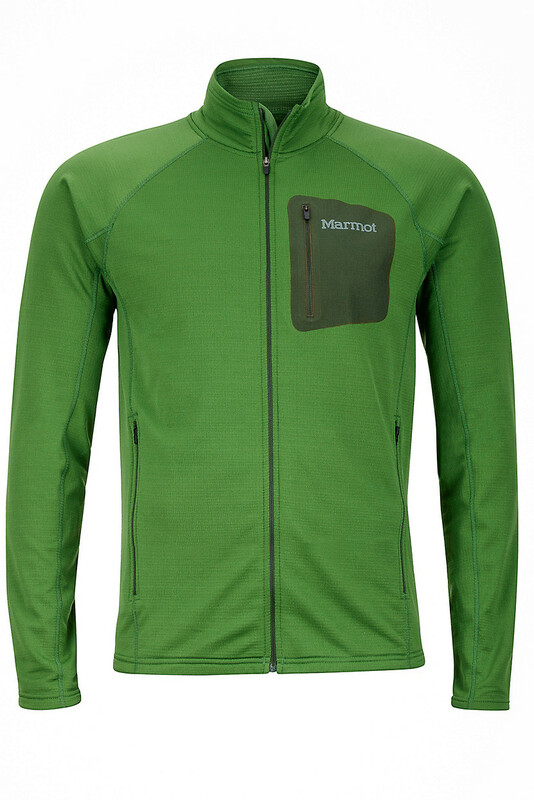 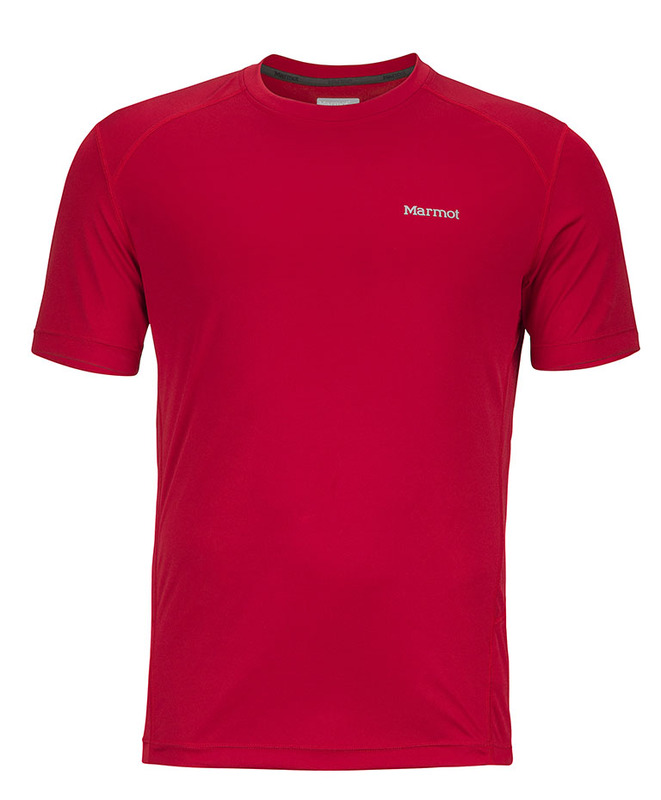 Features the Marmot logo and a micro fleece sweatband for comfort, no itchy forehead. 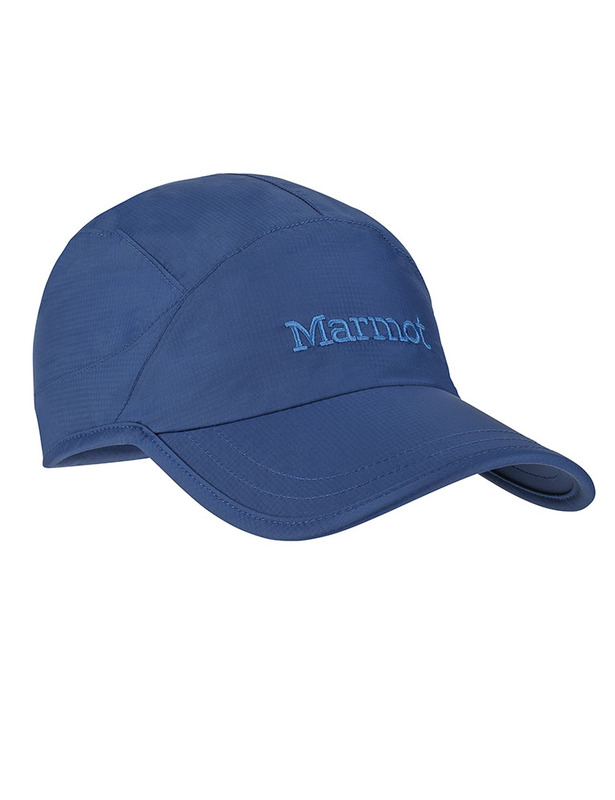 Available in five colors for endless mix and match possibilities, durable and quick-drying acrylic is enhanced with soft and warm micro fleece lining. 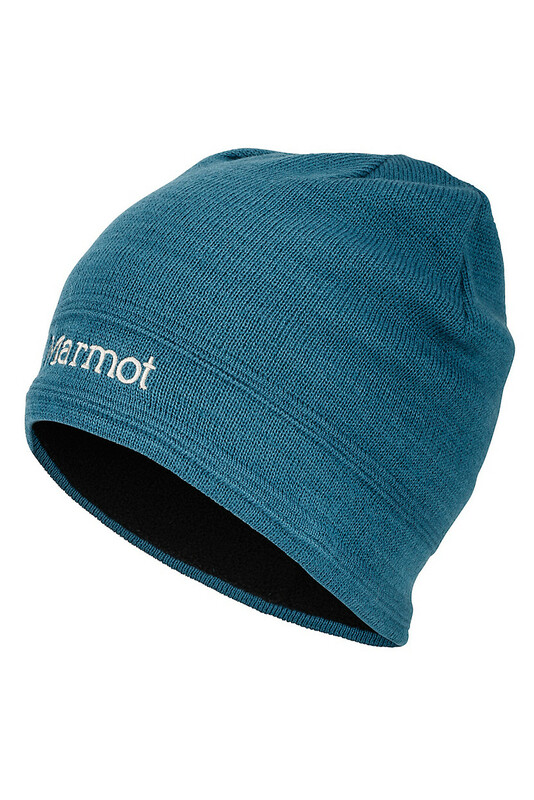 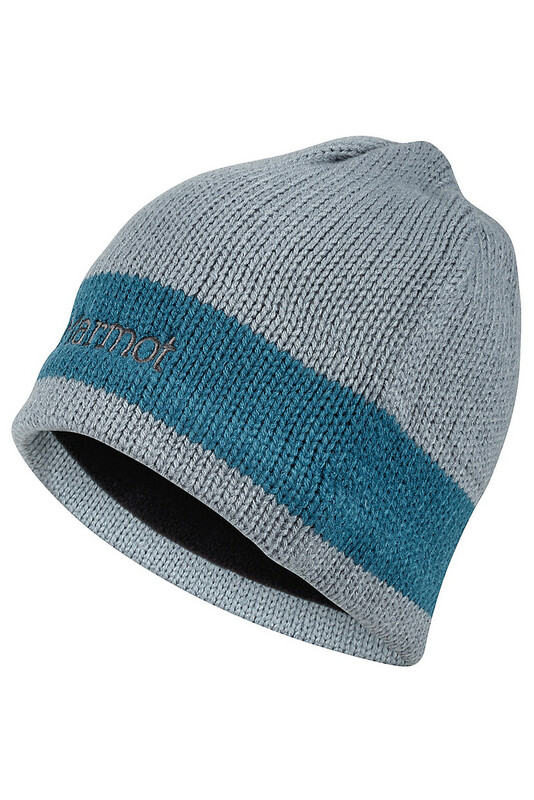 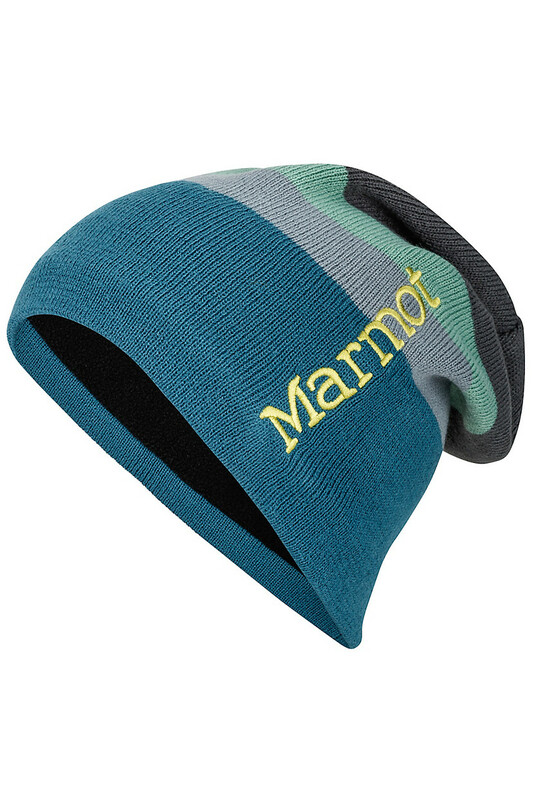 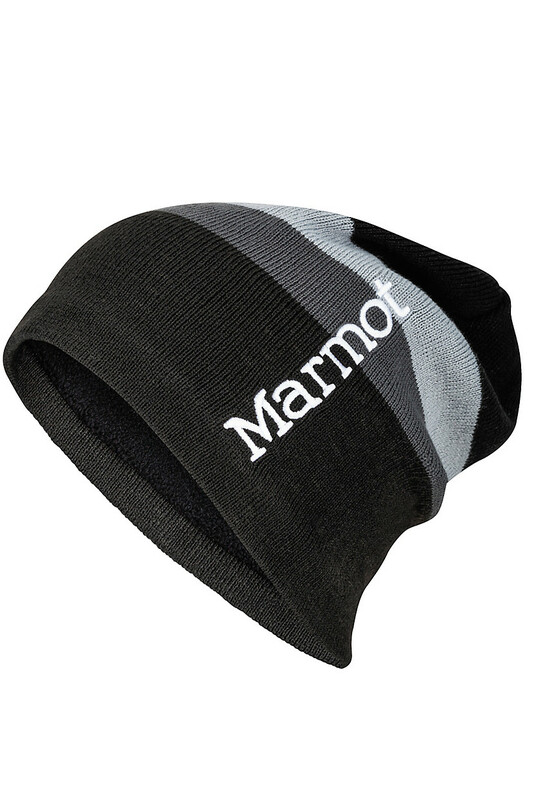 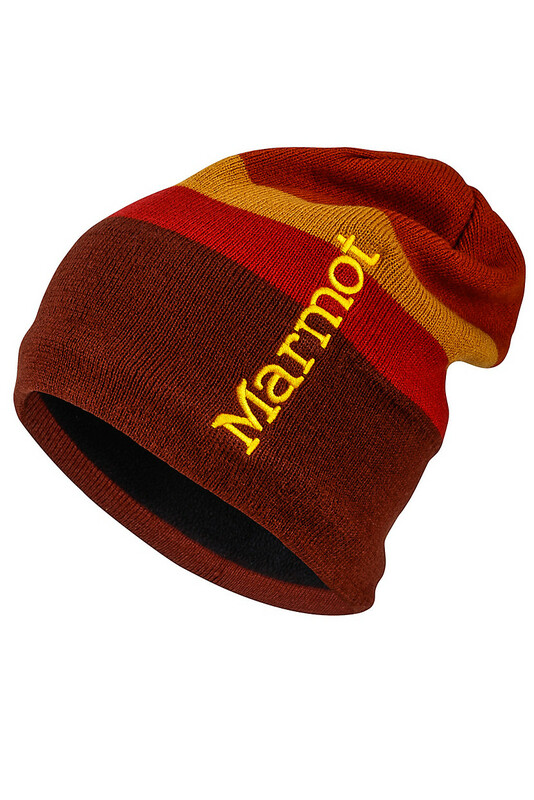 Classic beanie style with subtle detail and Marmot logo. This durable, soft and warm wool blend hat has a low profile and features a micro fleece sweatband for comfort. 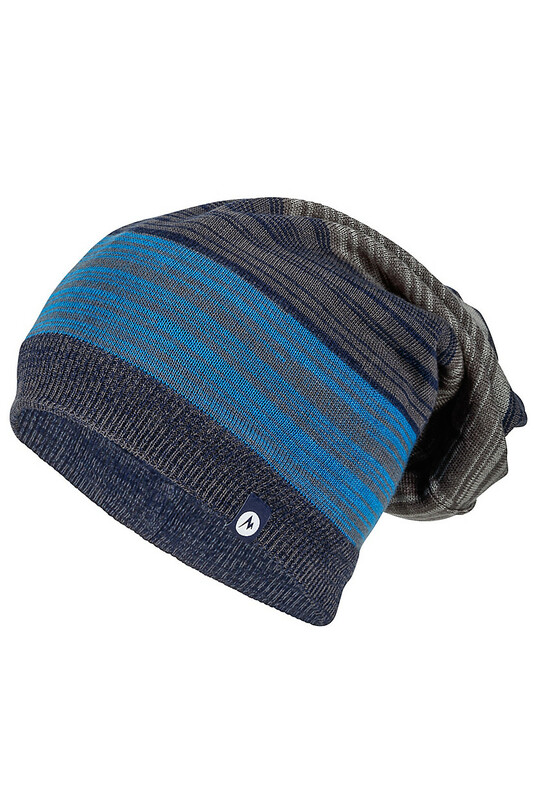 After a nonstop weekend on the slopes, chill out on Monday afternoon in the Ryan Hat. This beanie has the right amount of warmth and the right amount of chill to accompany you out on a cold winter day. 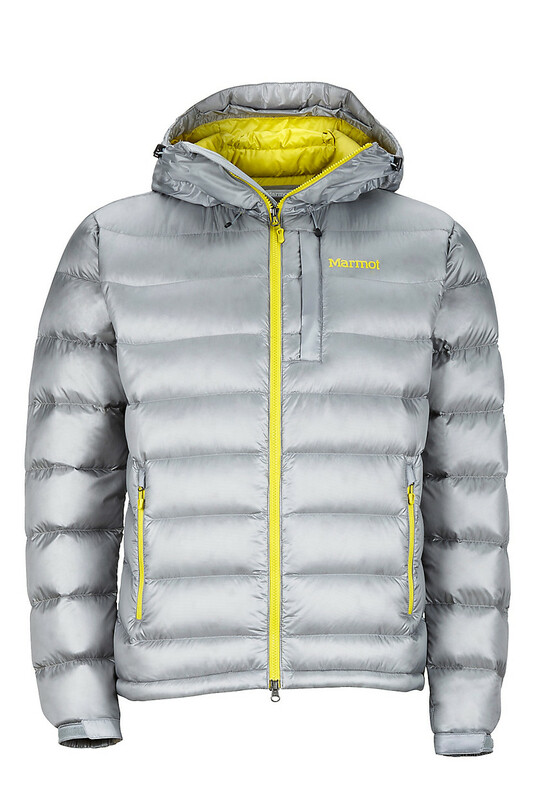 A versatile piece of gear that belongs in your winter kit, the Convertible Slouch is a three-in-one piece. 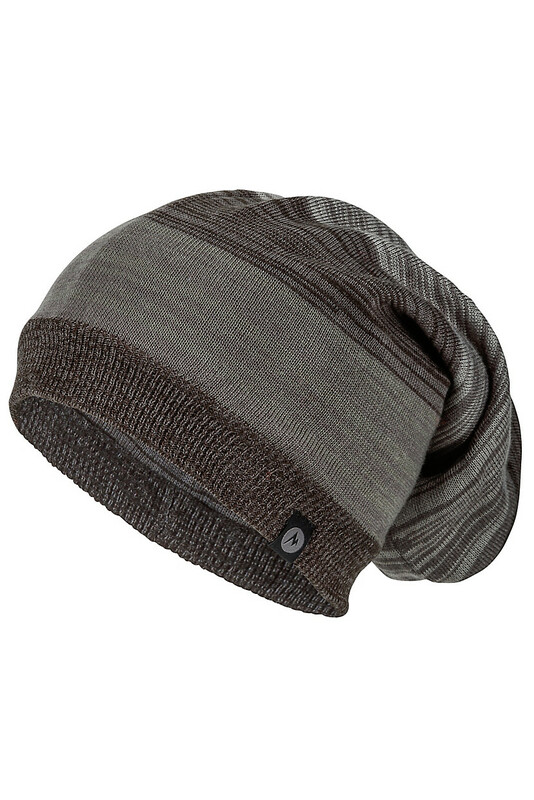 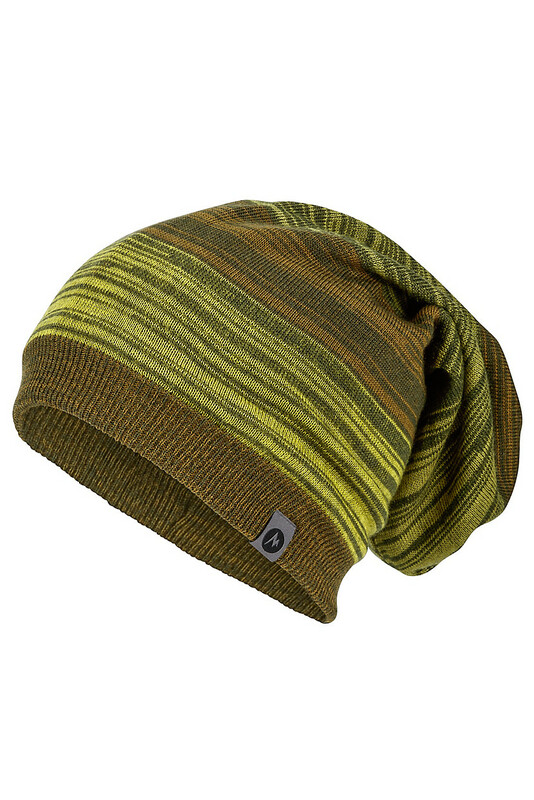 Turn this solid colored beanie inside out for a different look or give it a twist and pull on as a gaiter.